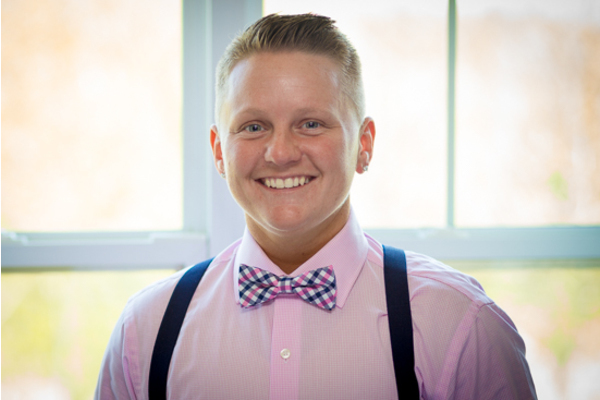 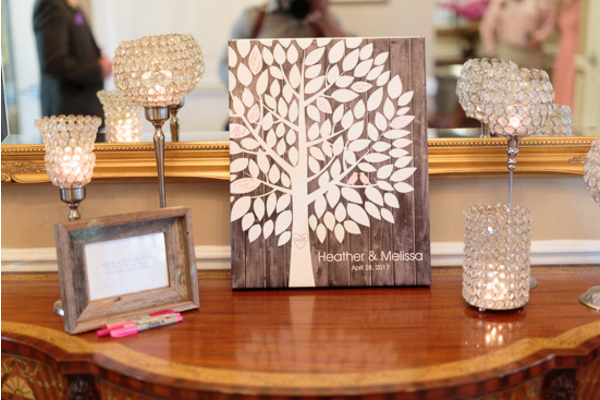 Congratulations to Heather and Melissa on their recent marriage! 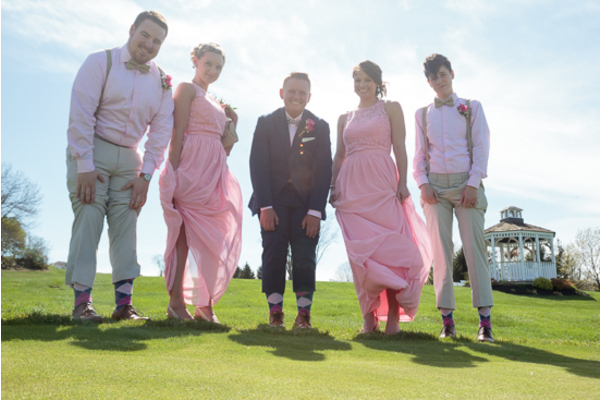 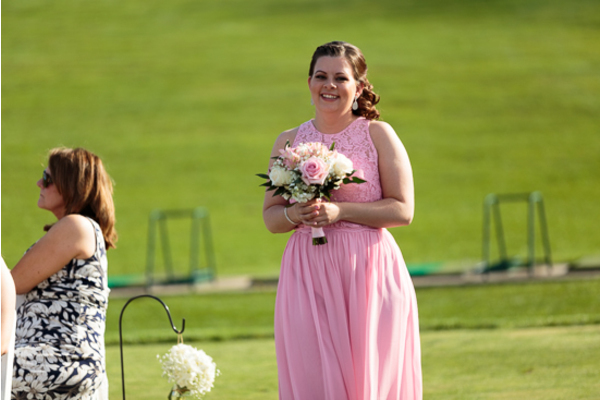 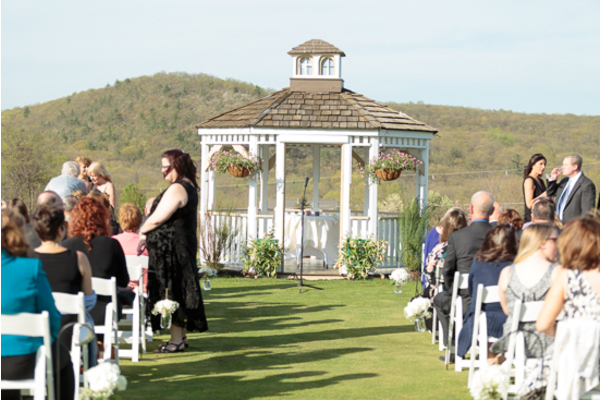 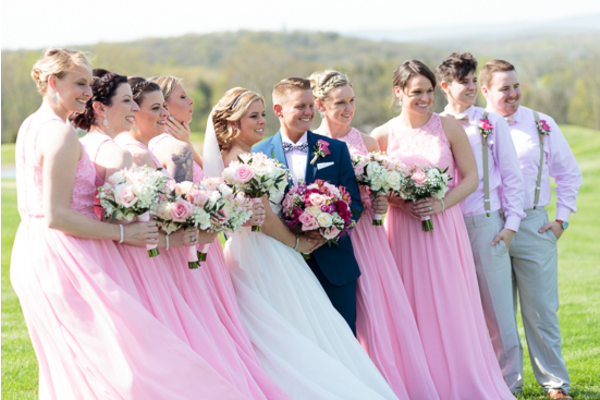 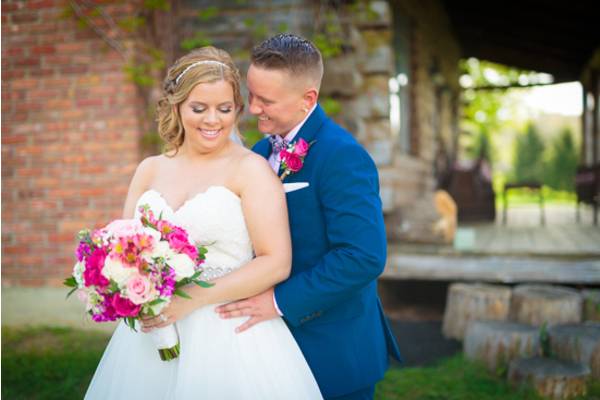 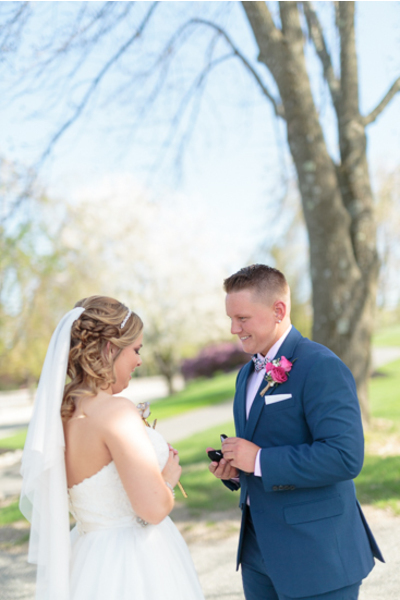 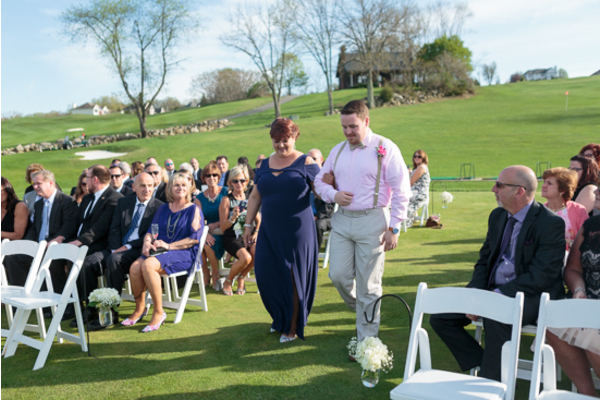 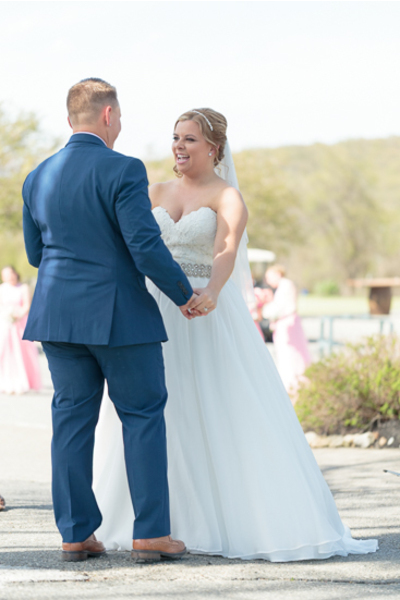 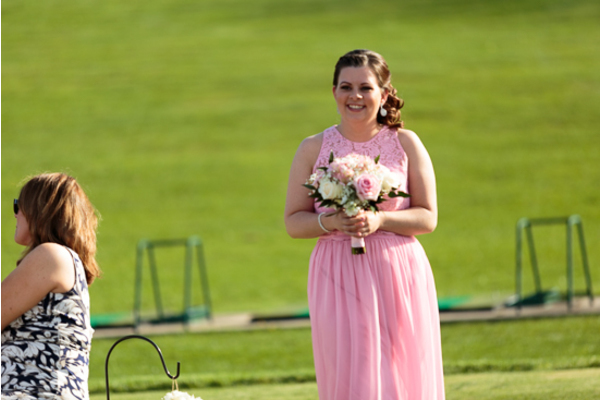 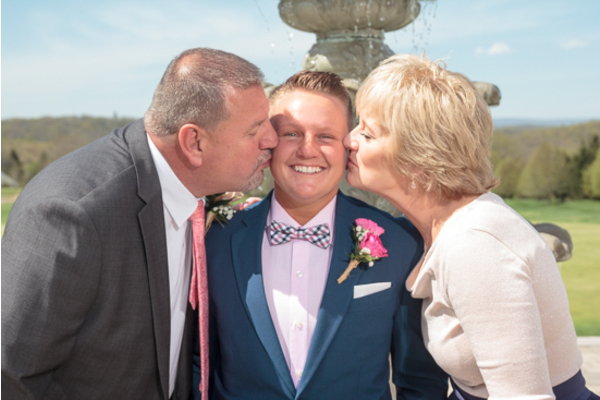 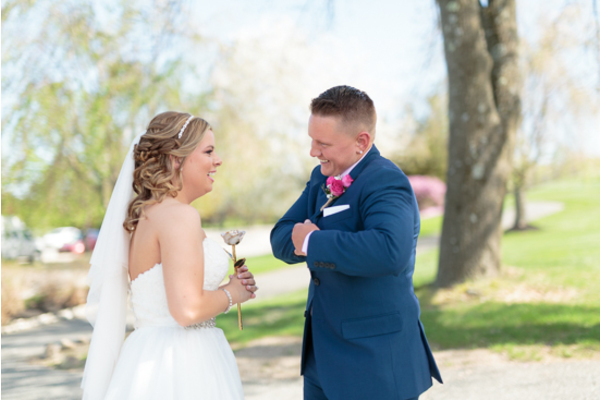 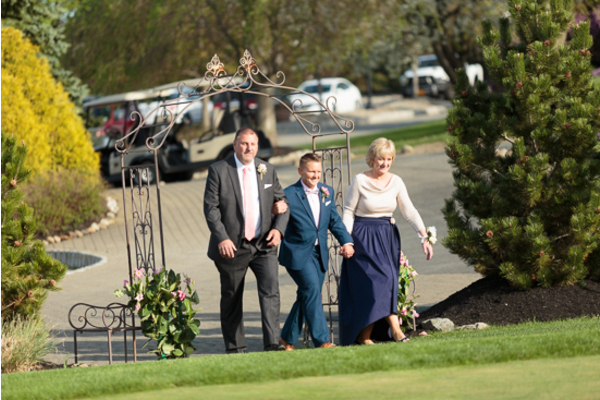 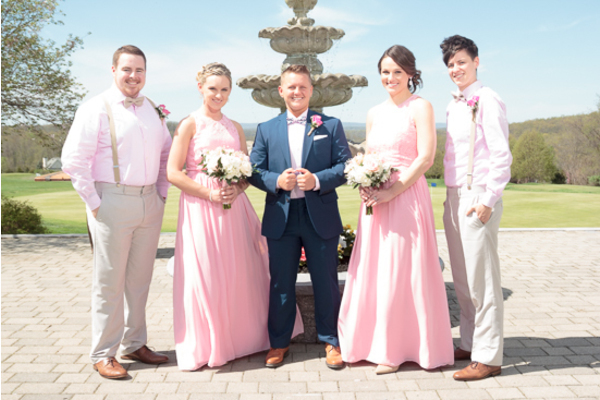 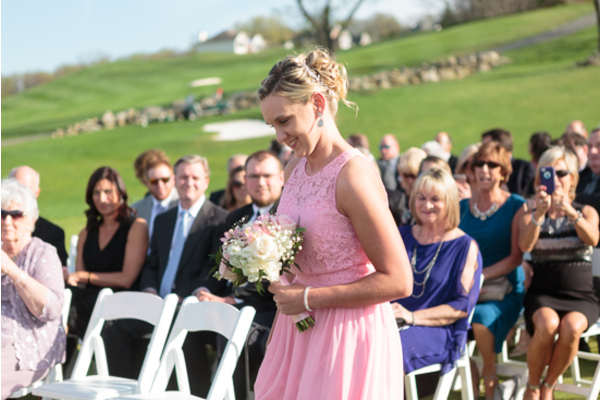 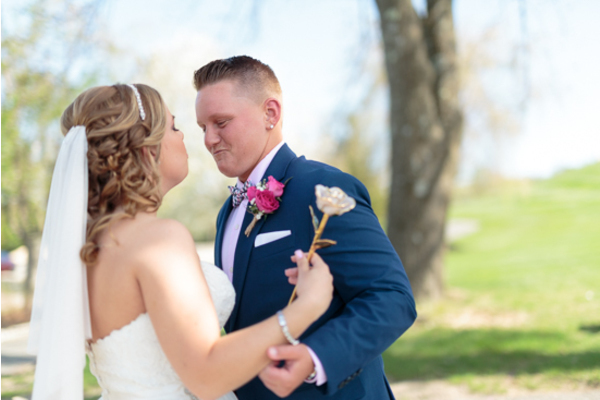 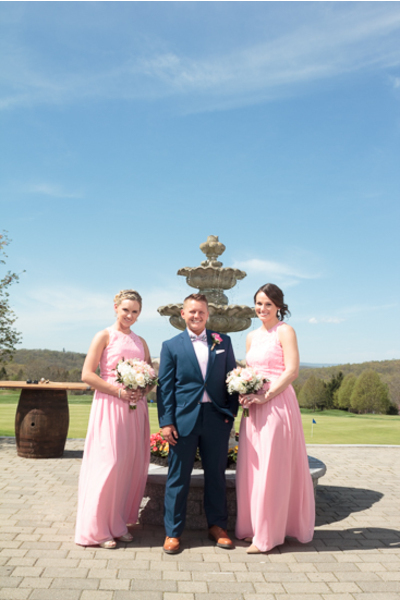 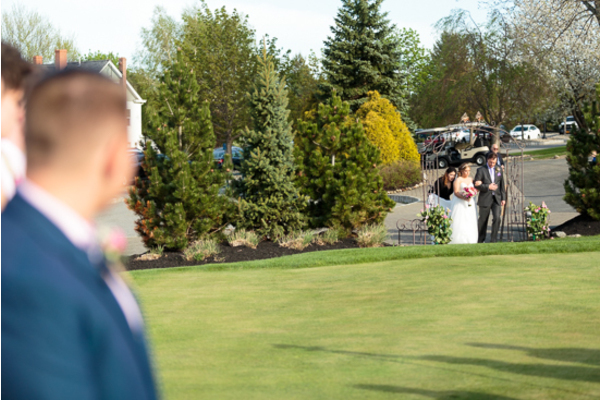 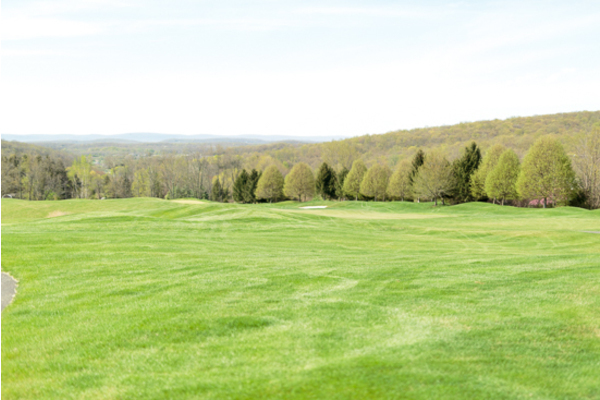 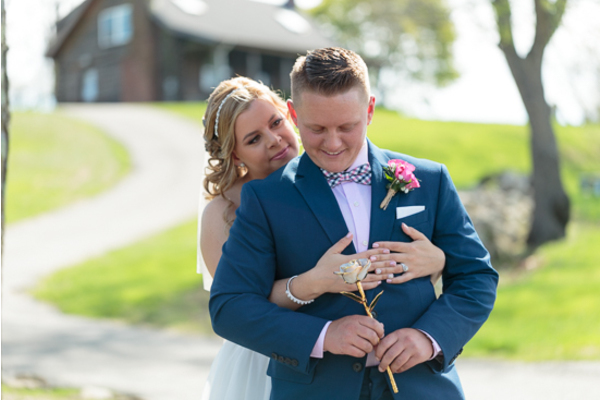 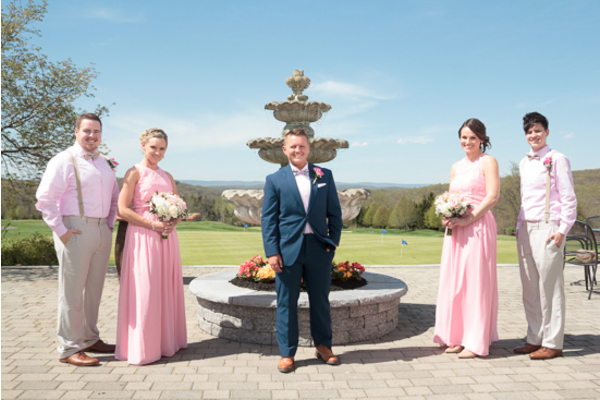 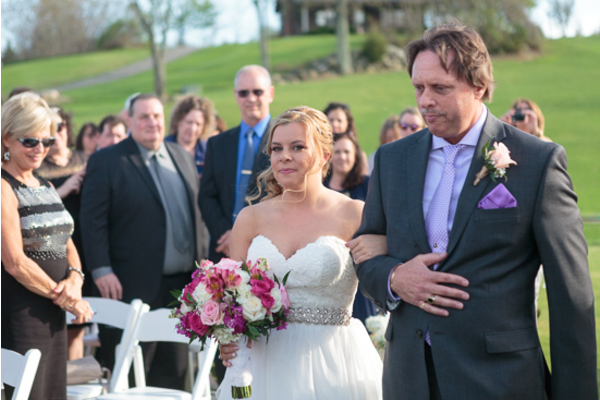 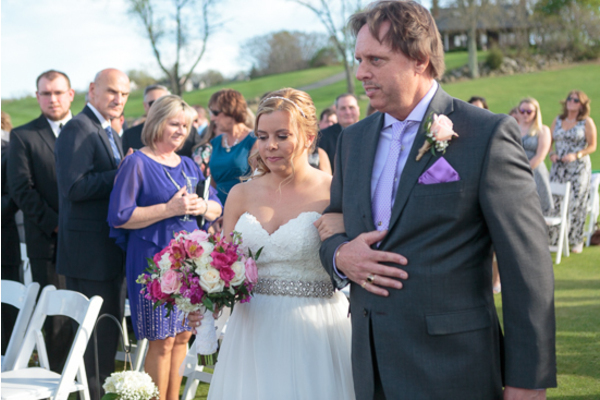 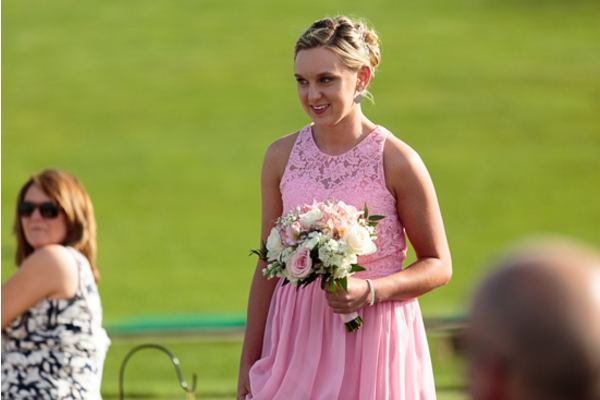 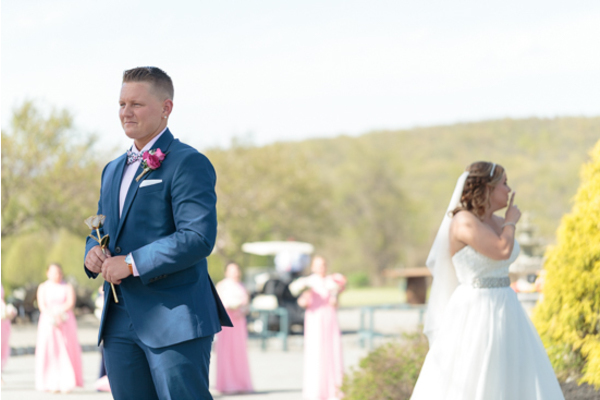 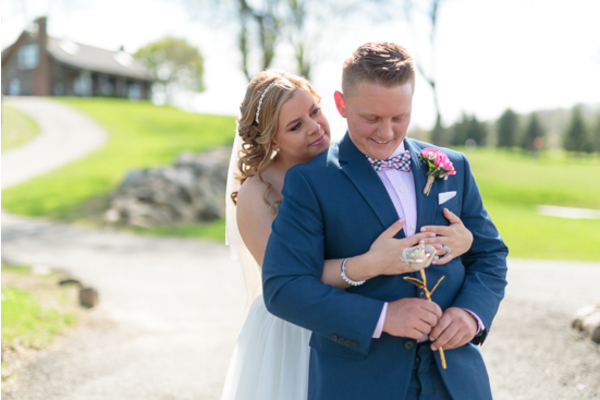 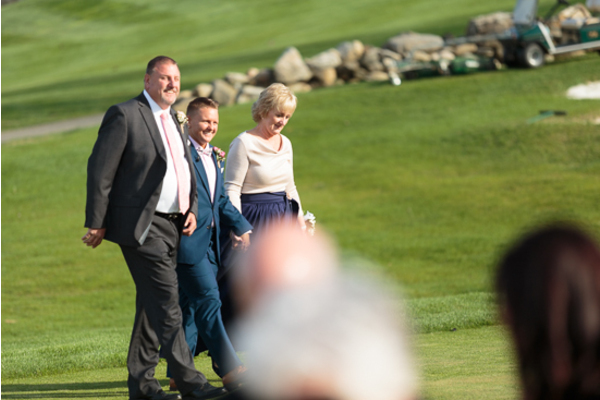 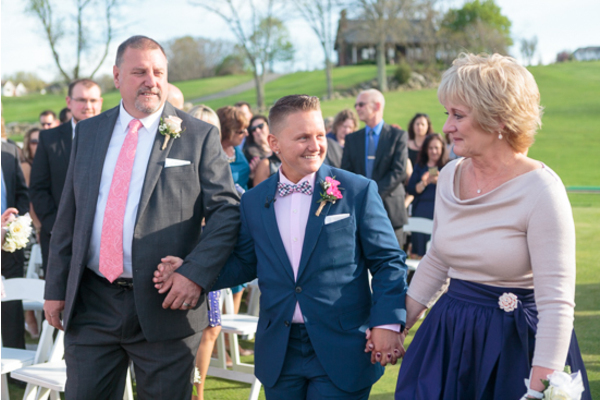 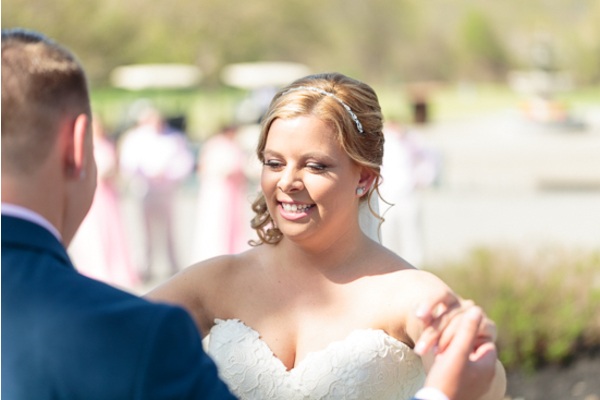 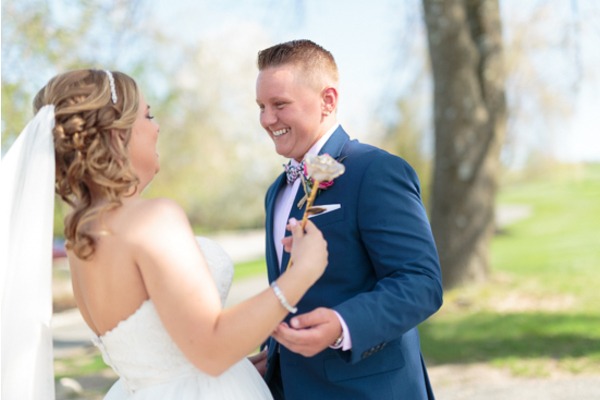 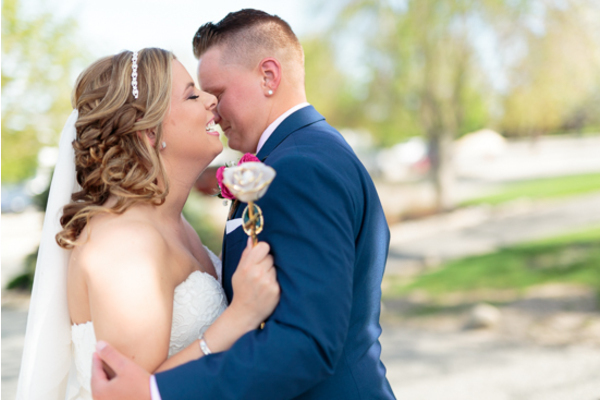 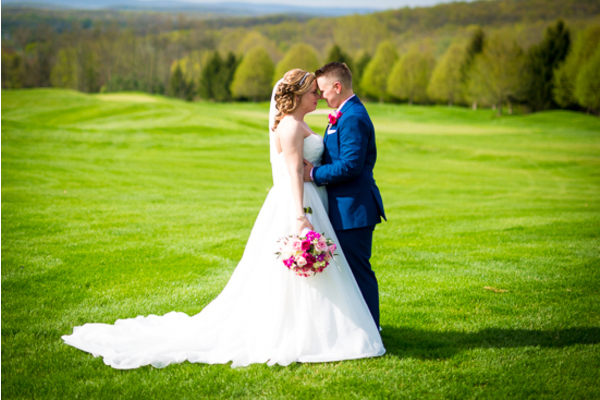 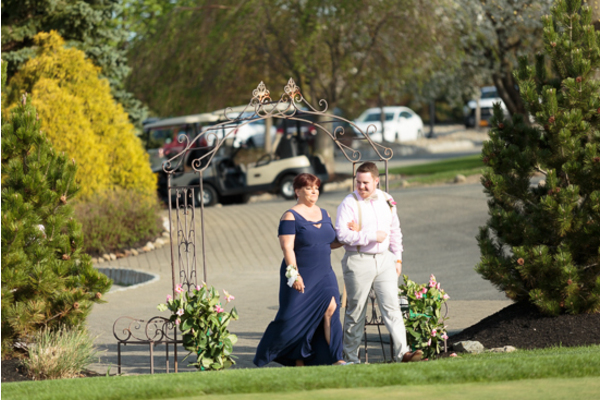 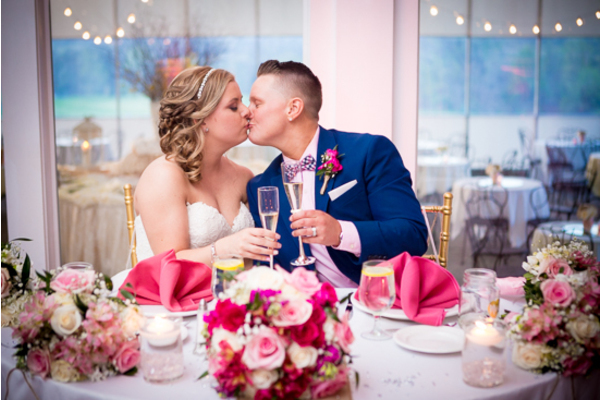 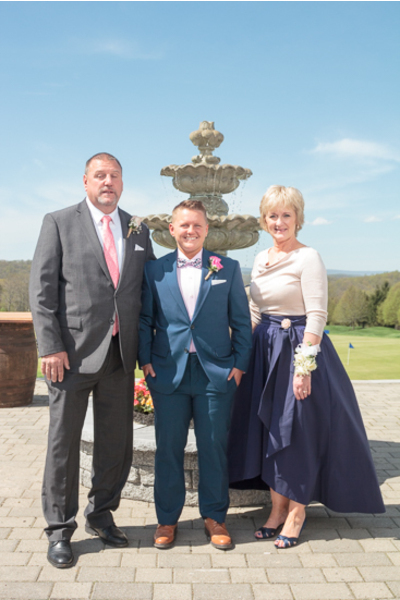 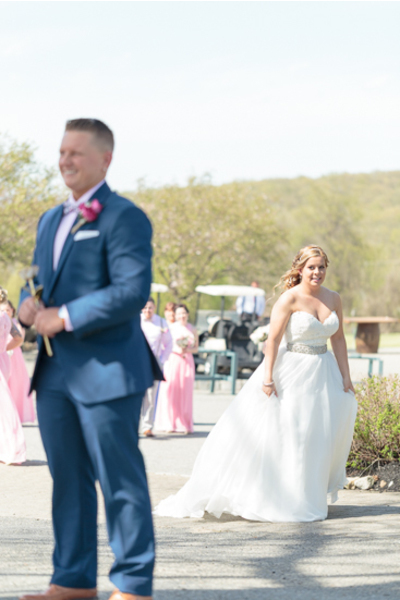 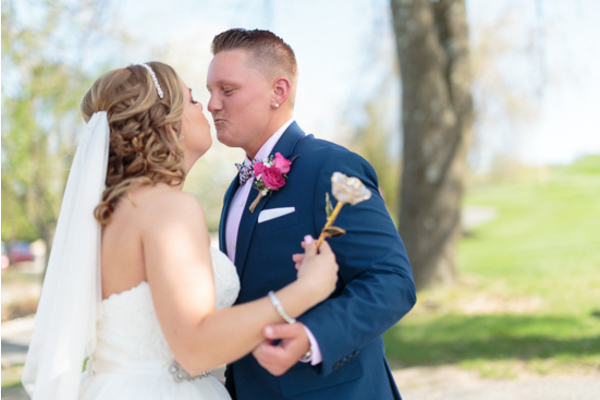 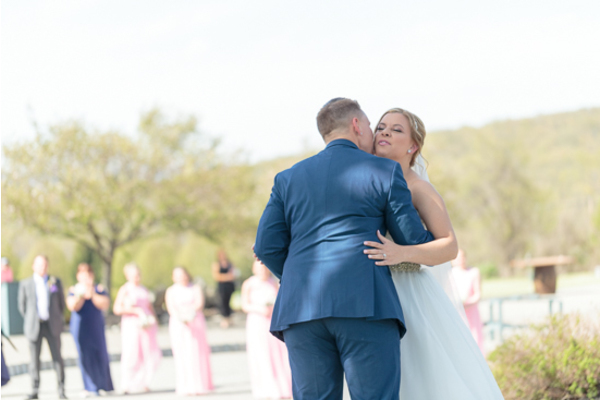 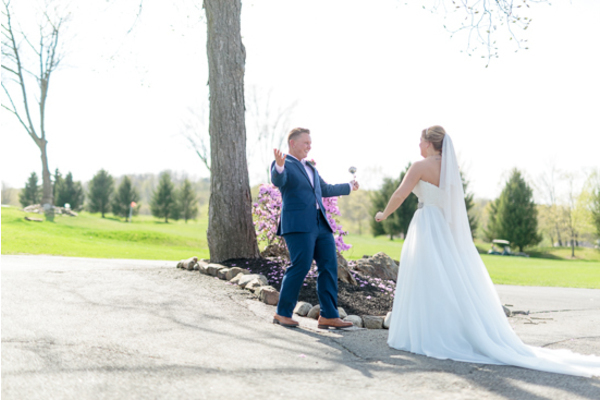 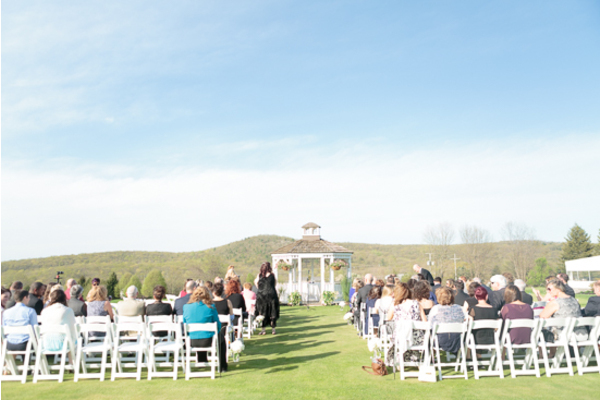 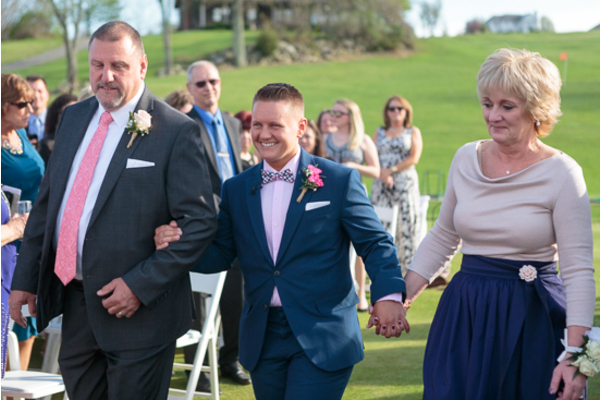 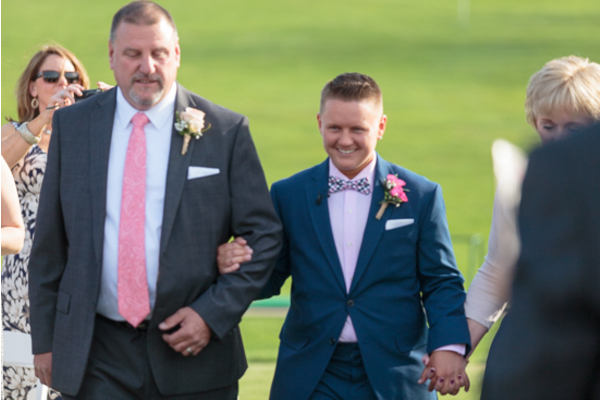 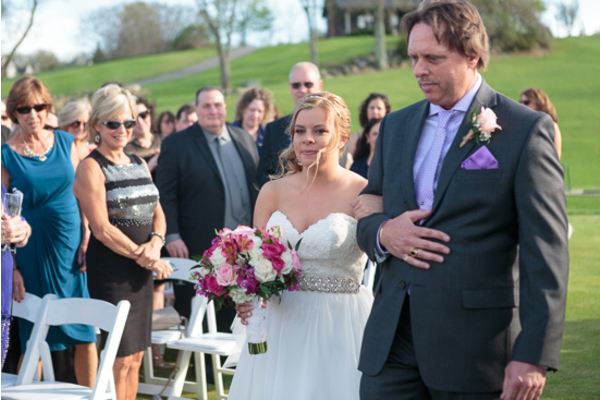 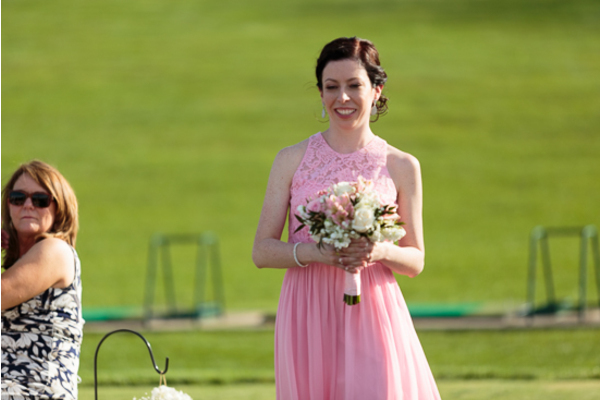 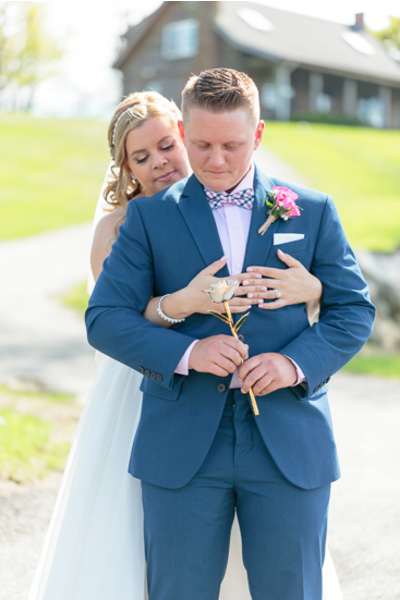 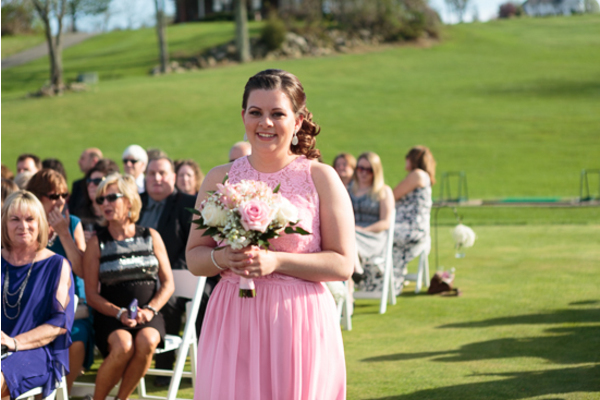 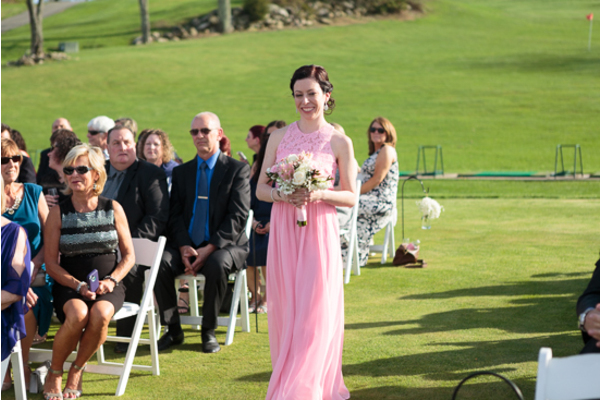 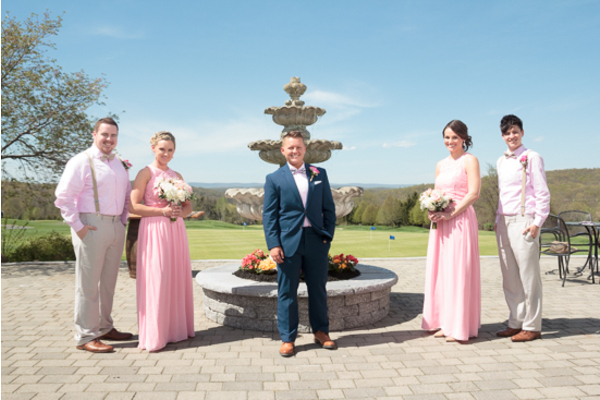 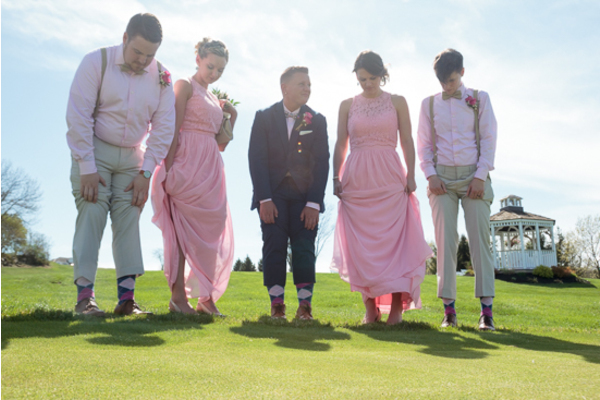 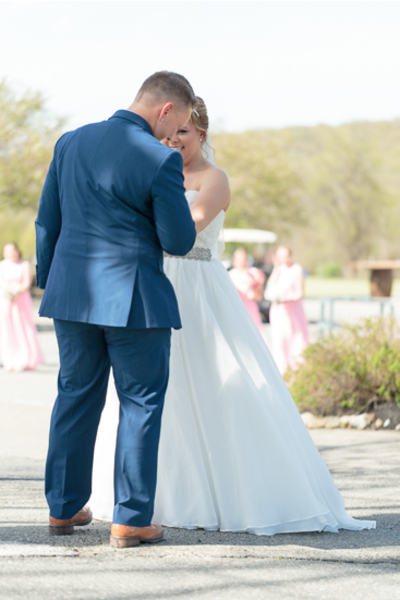 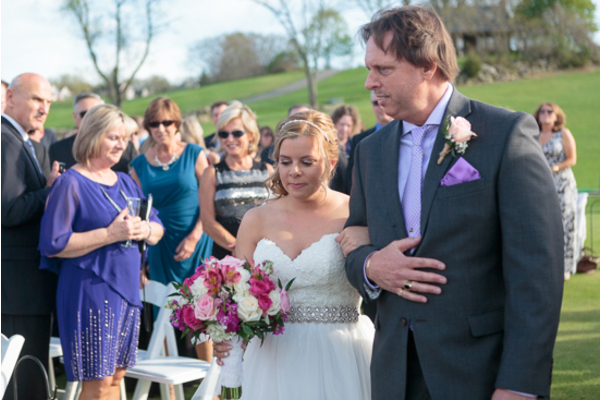 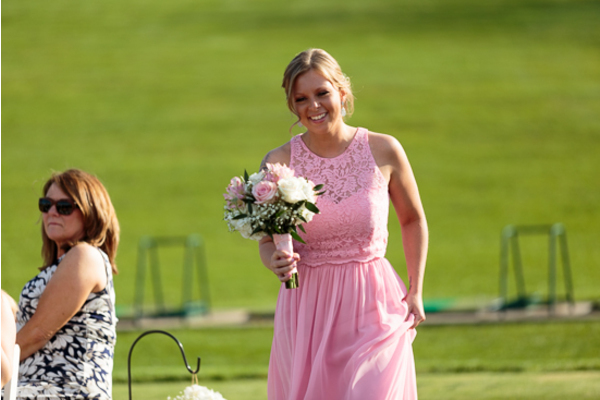 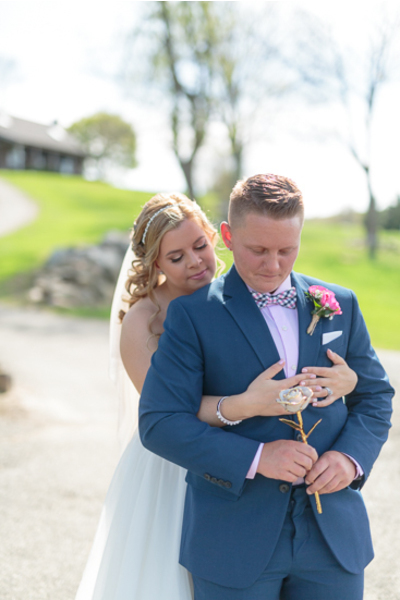 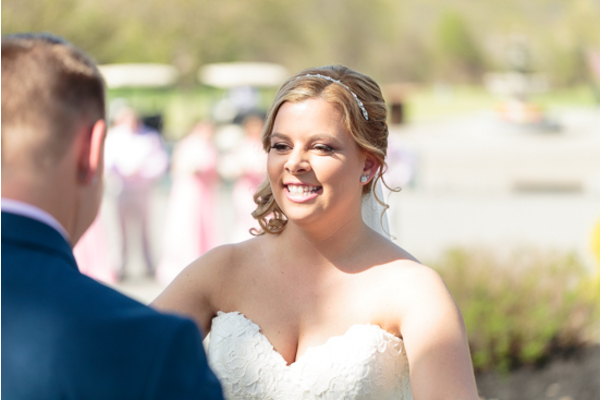 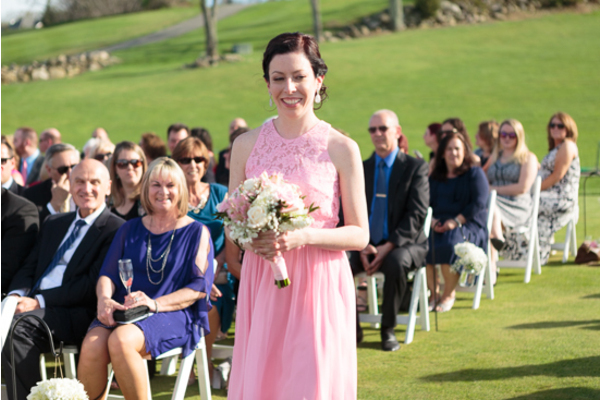 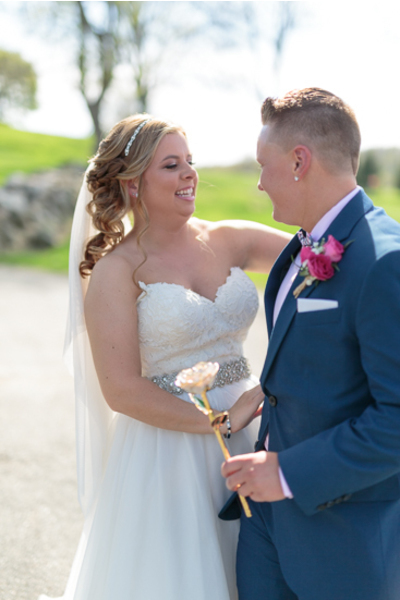 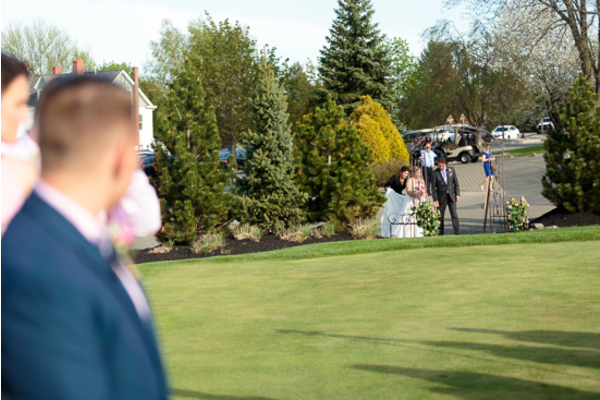 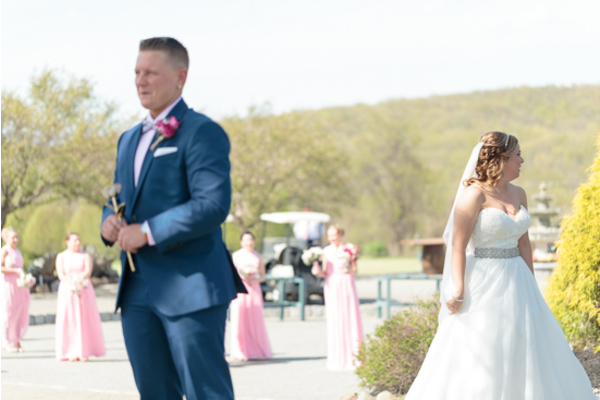 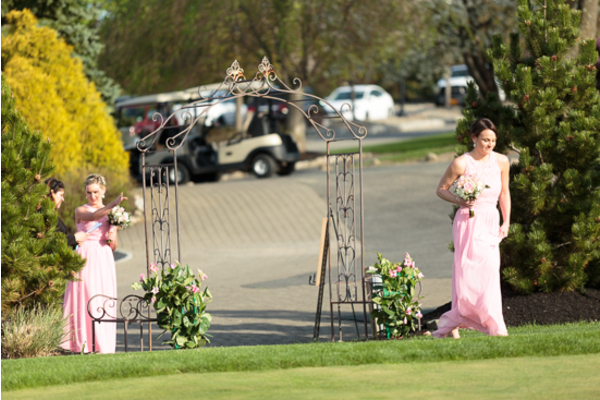 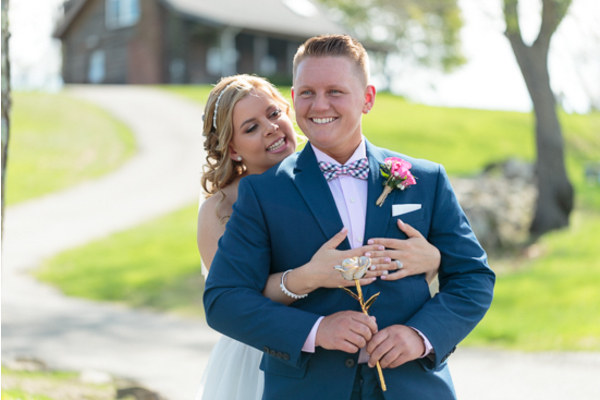 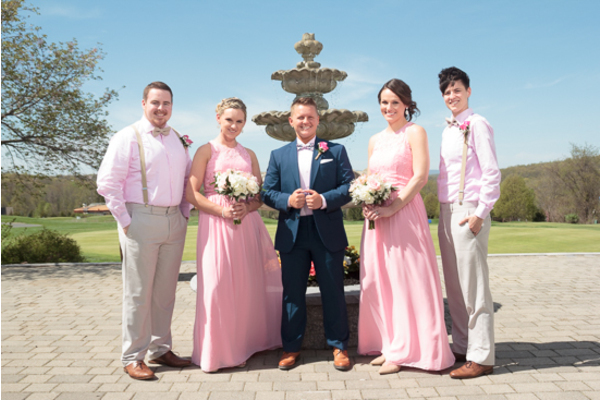 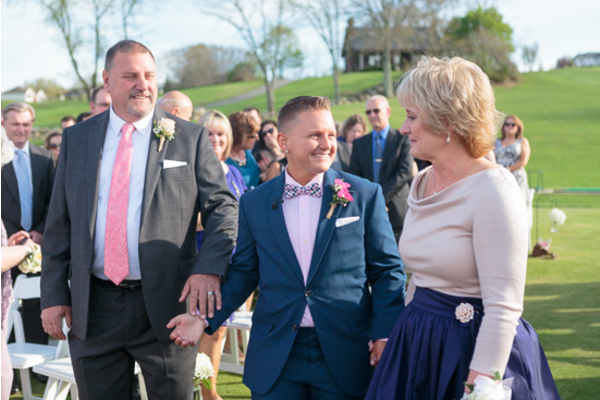 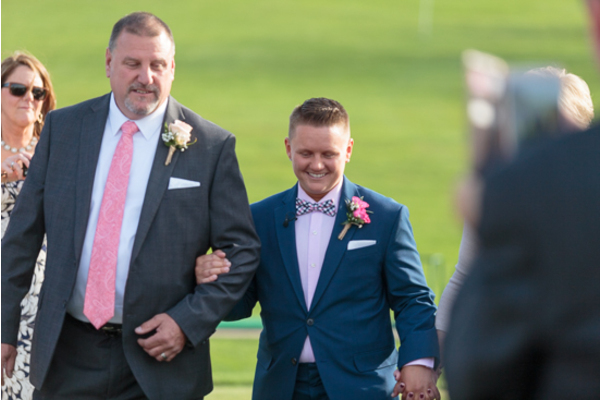 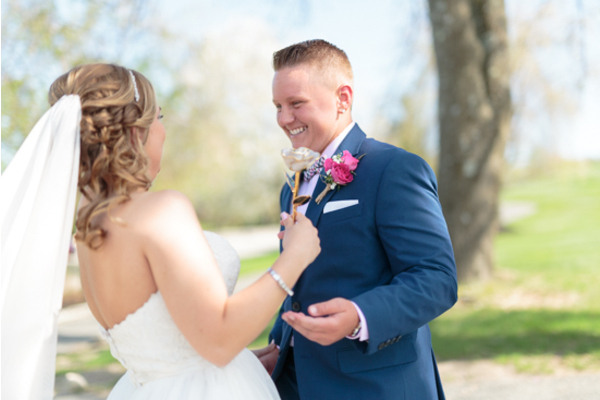 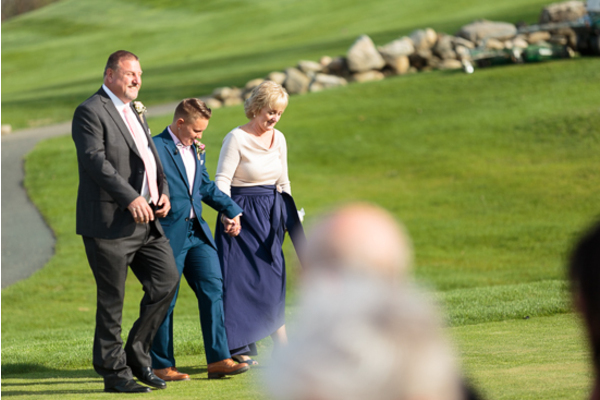 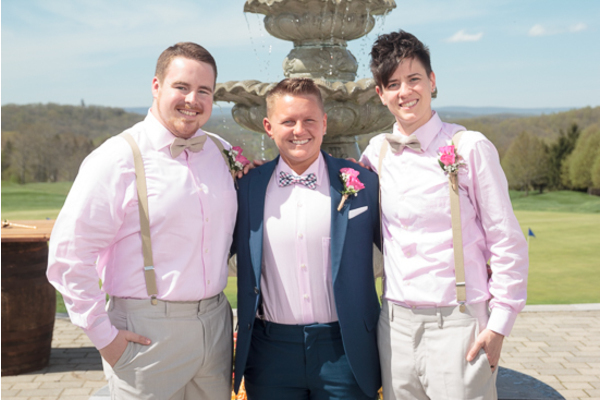 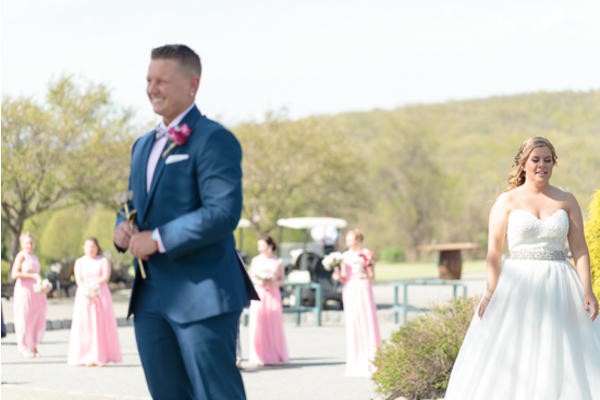 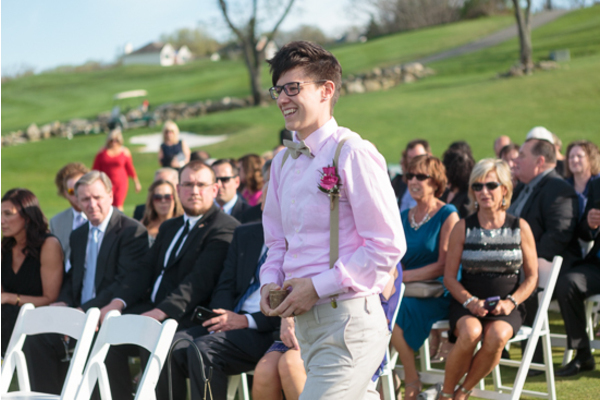 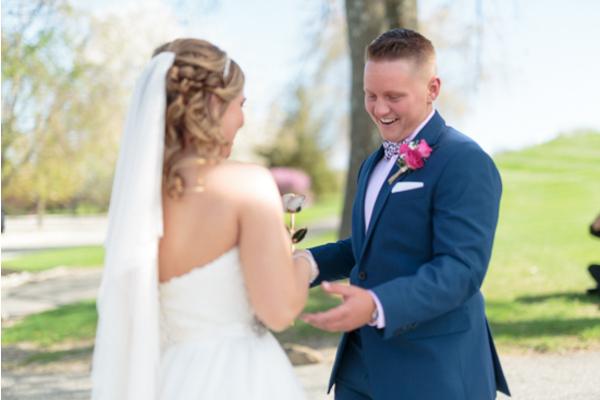 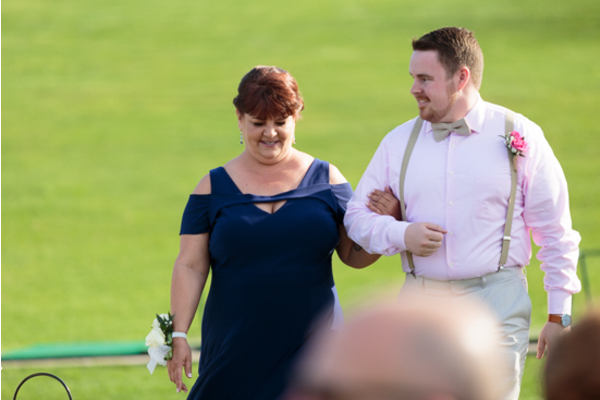 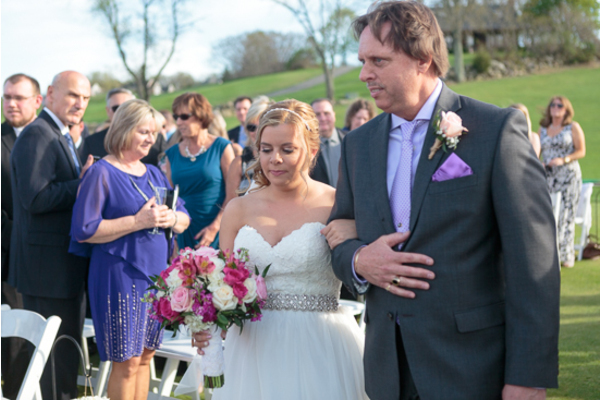 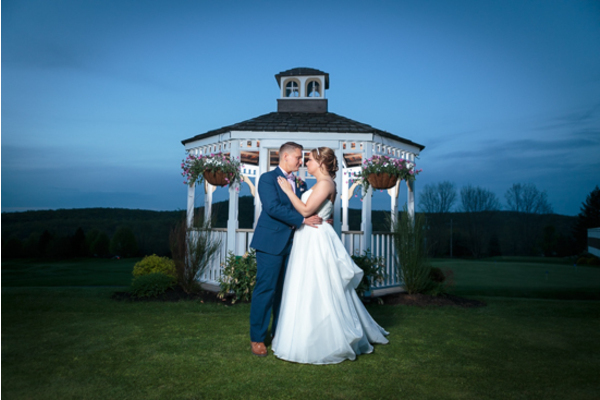 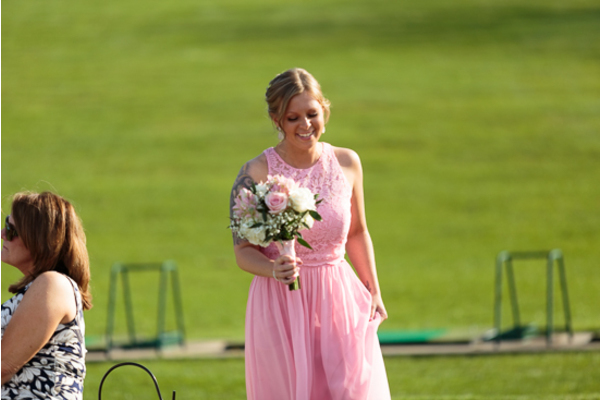 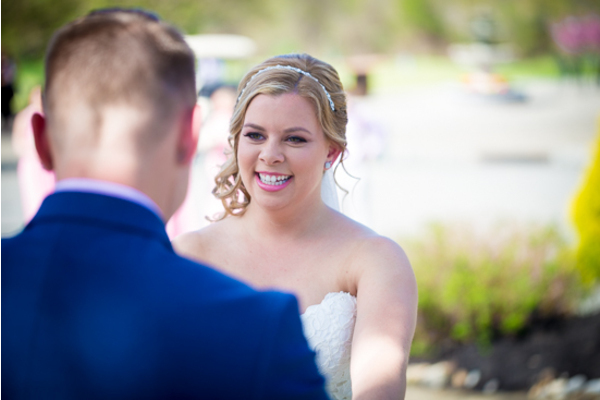 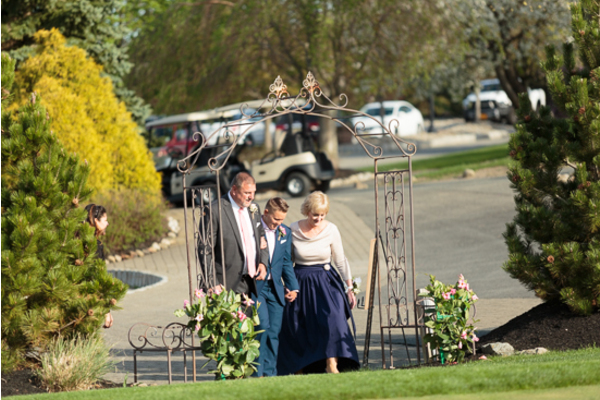 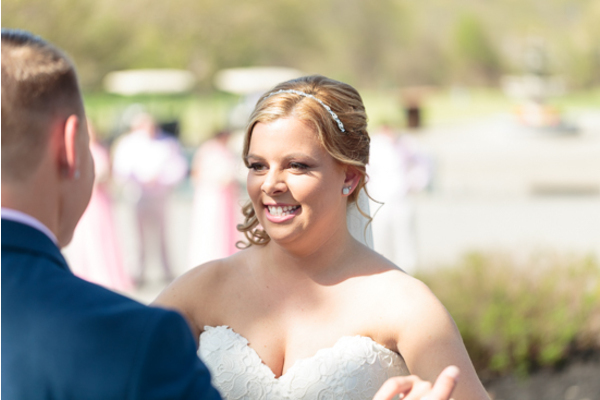 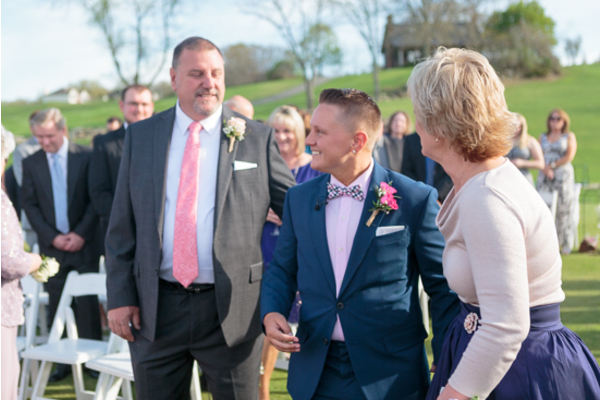 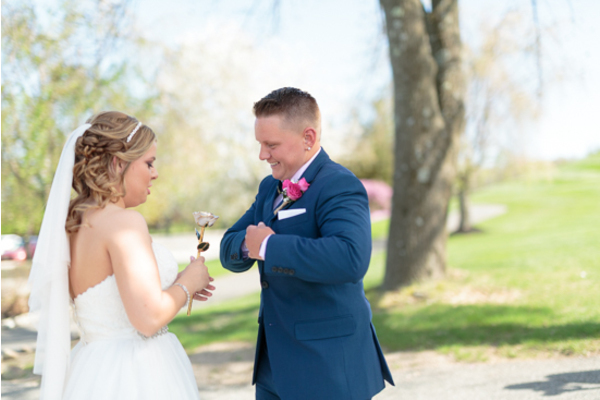 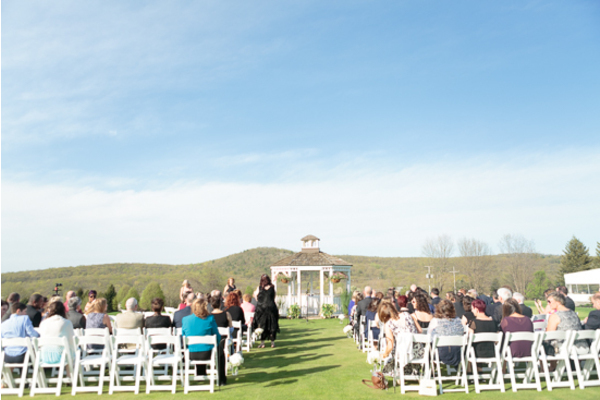 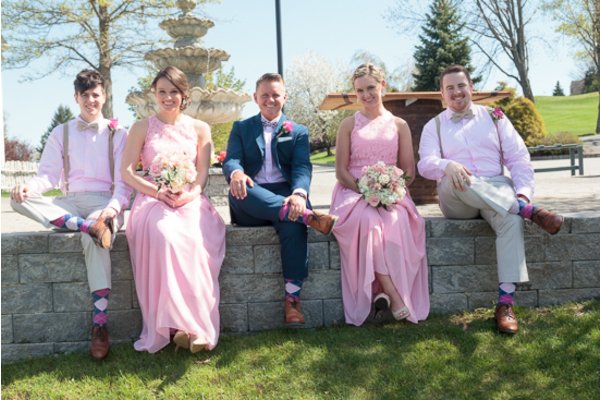 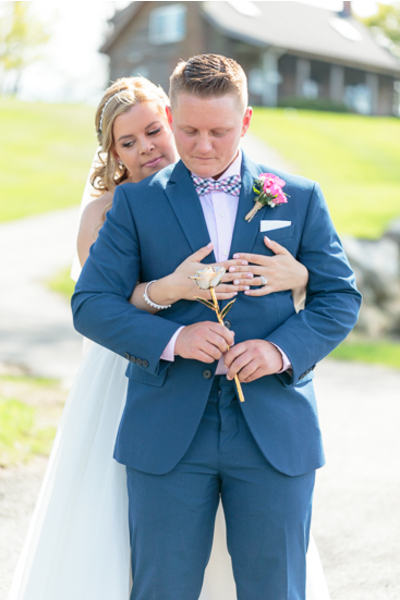 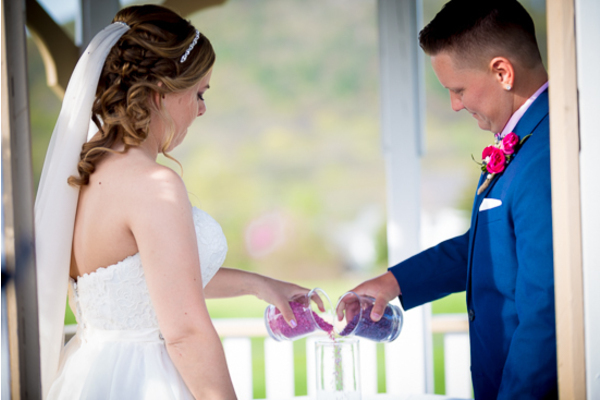 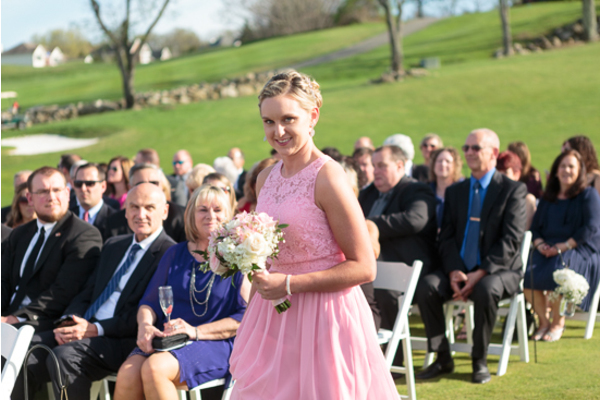 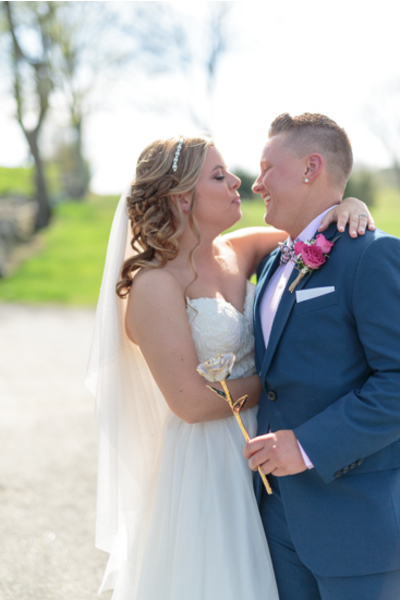 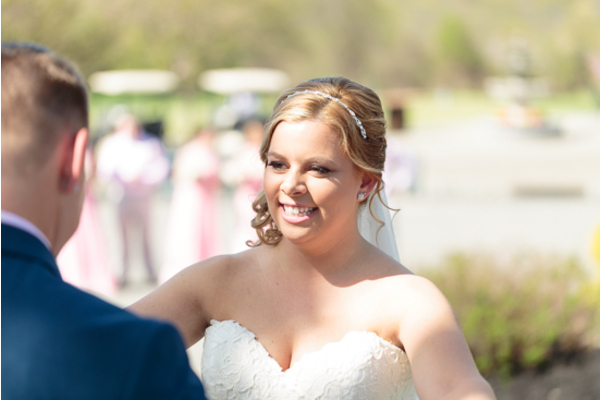 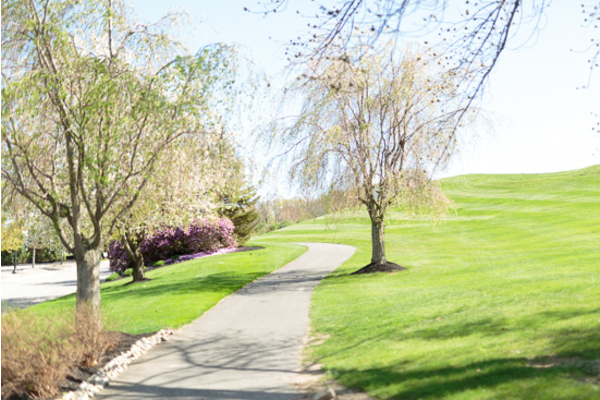 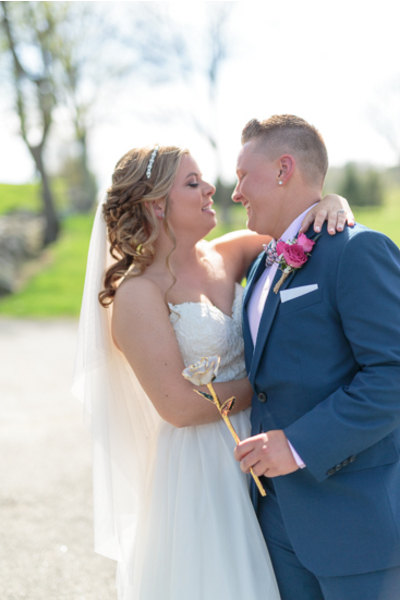 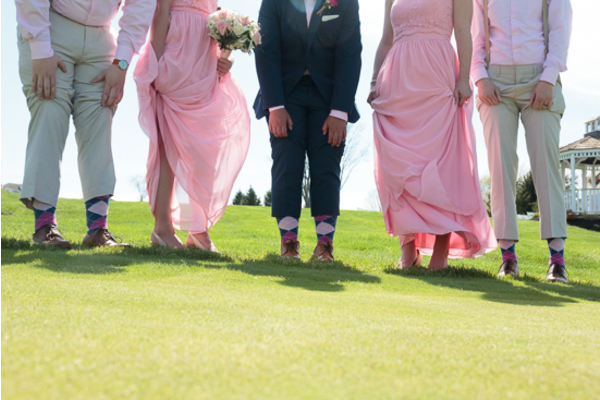 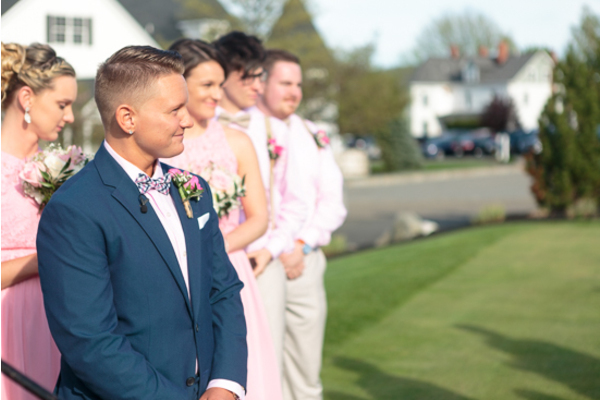 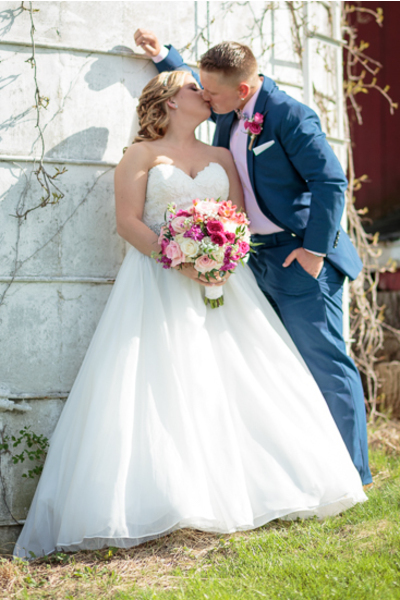 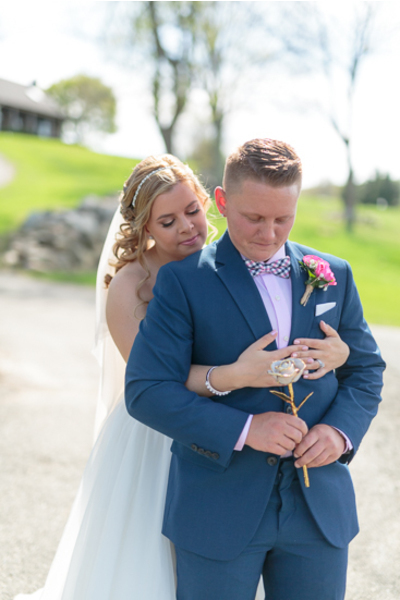 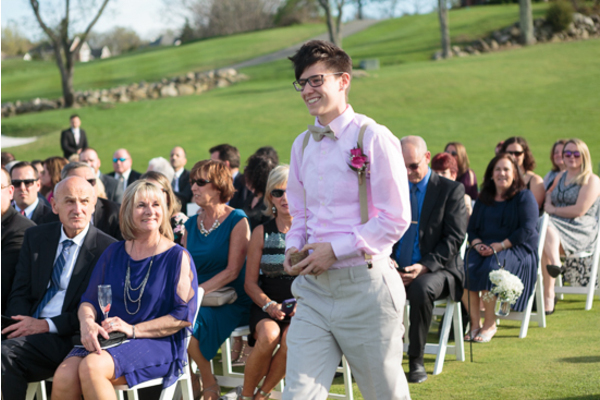 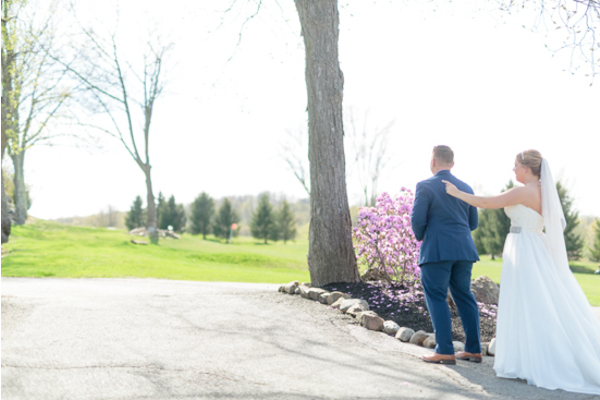 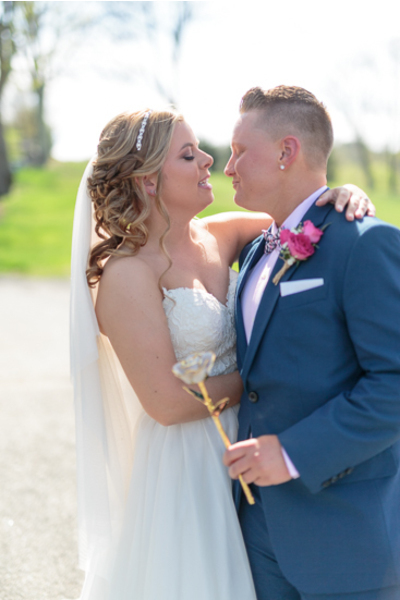 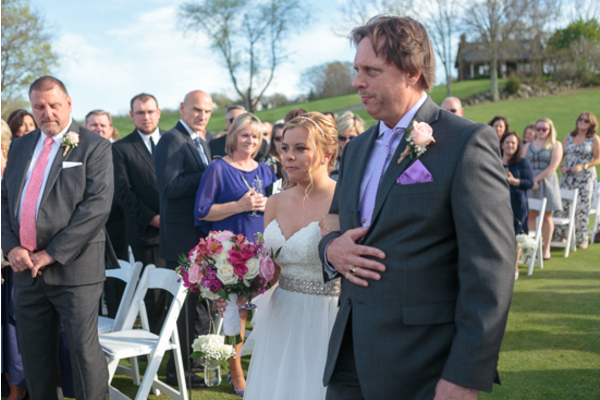 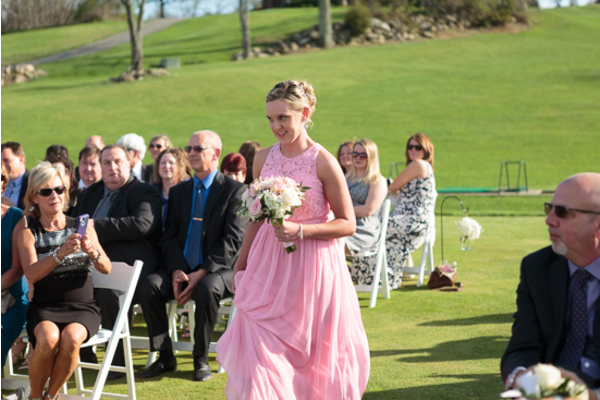 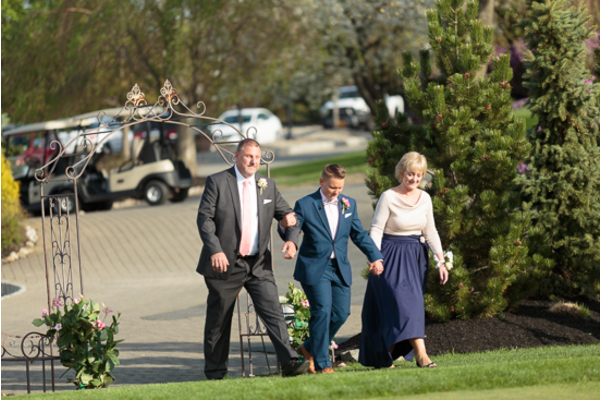 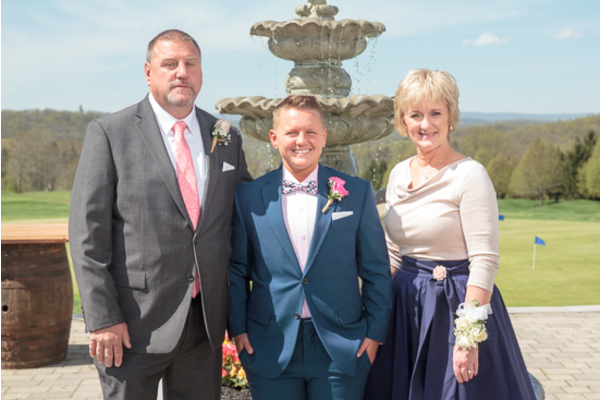 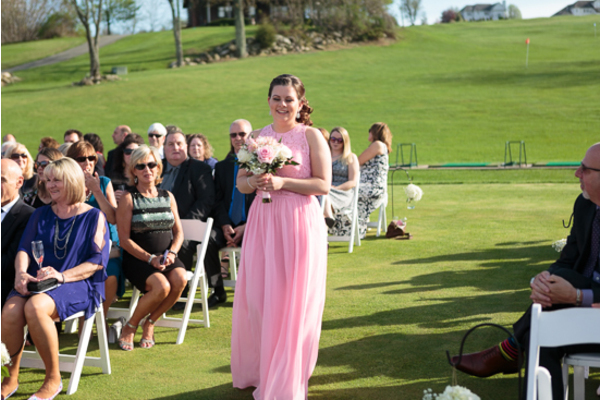 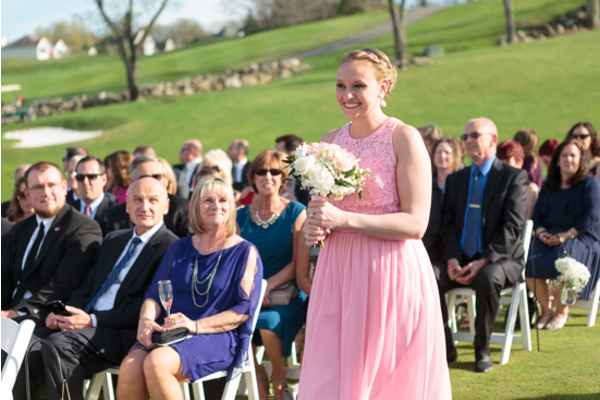 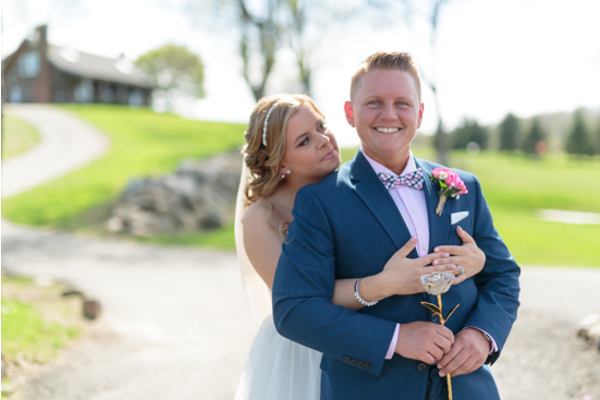 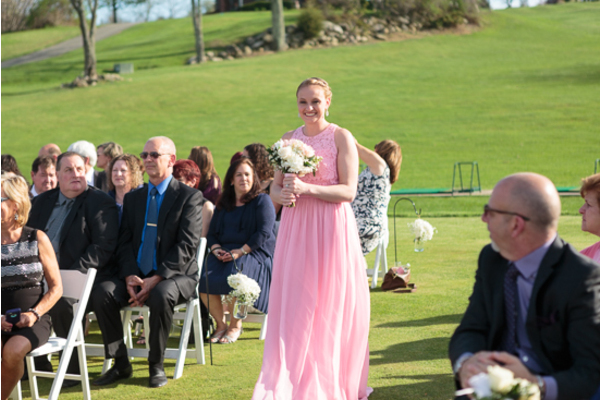 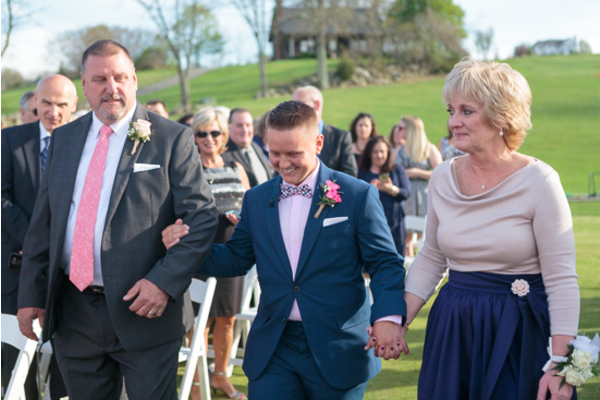 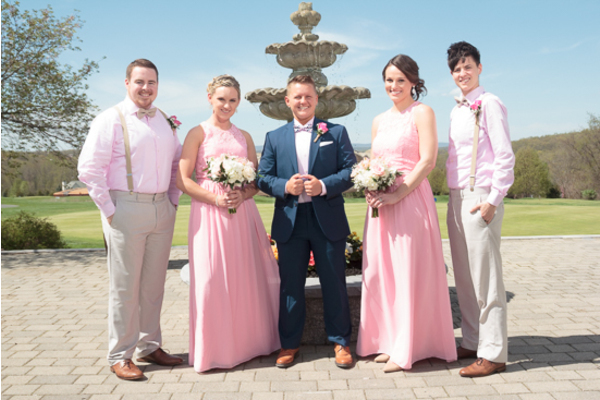 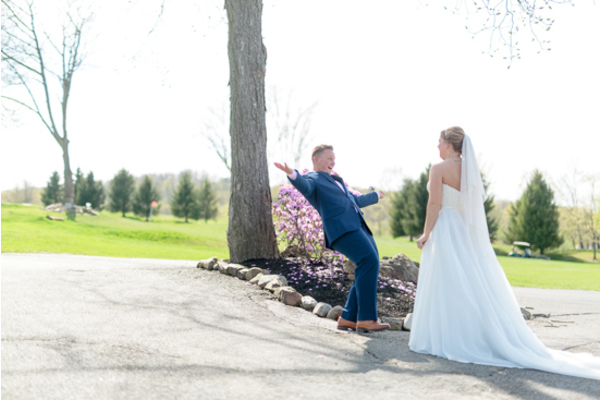 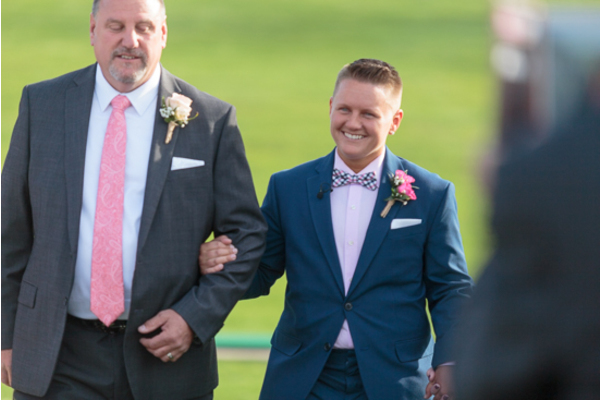 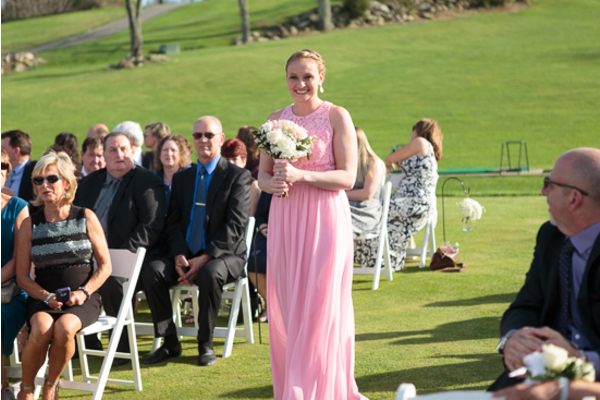 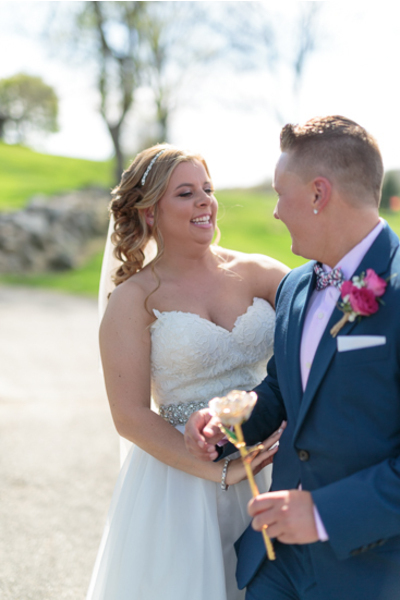 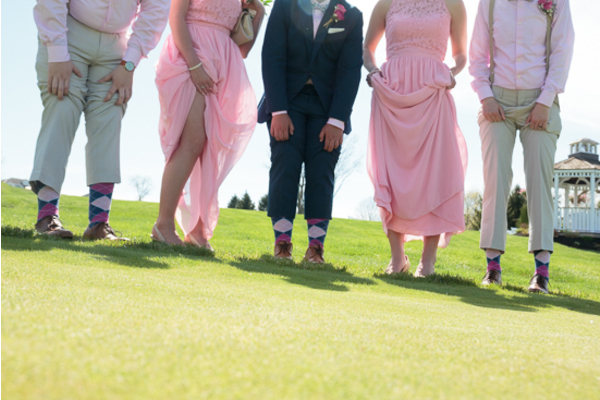 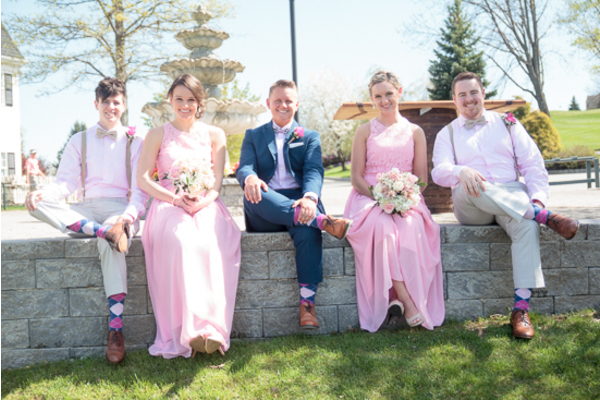 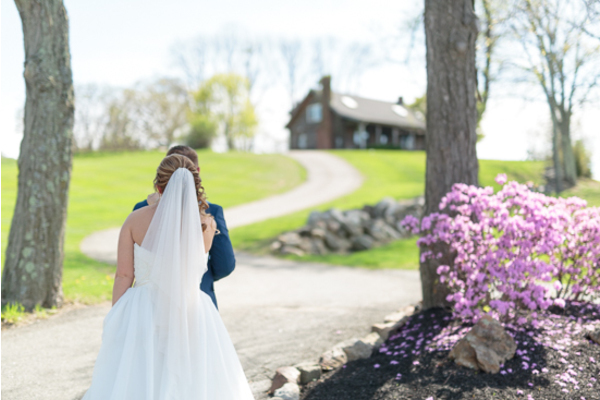 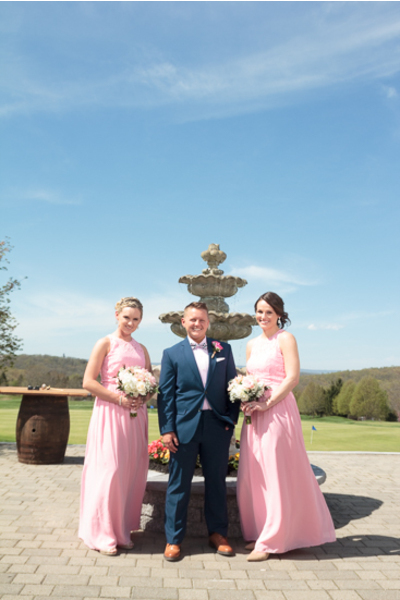 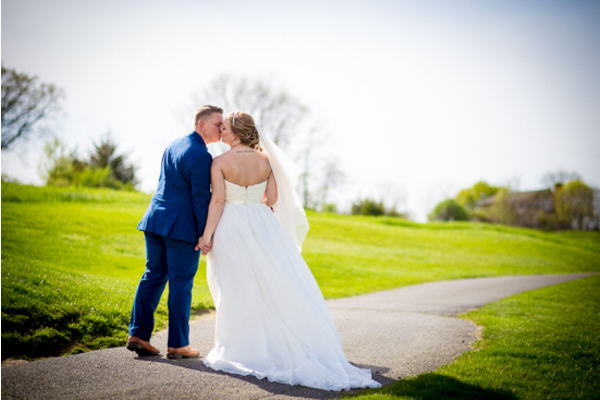 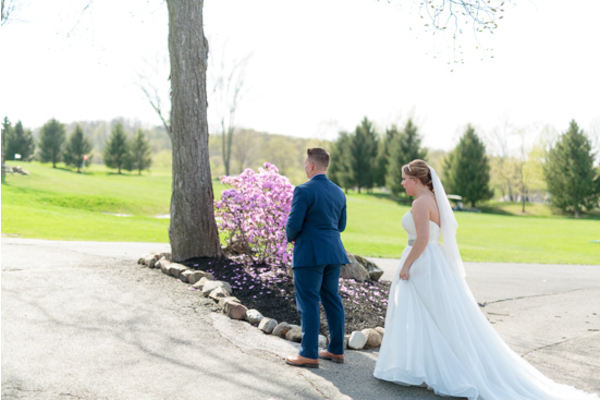 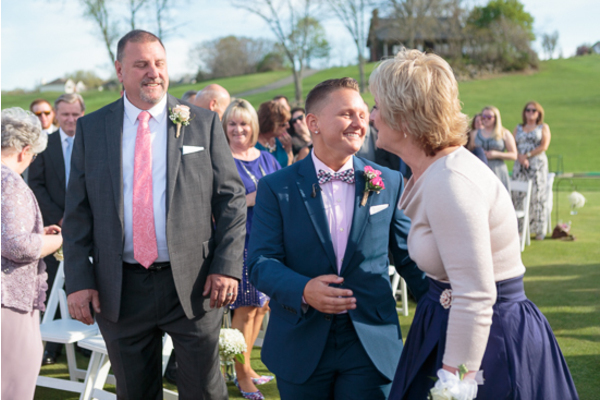 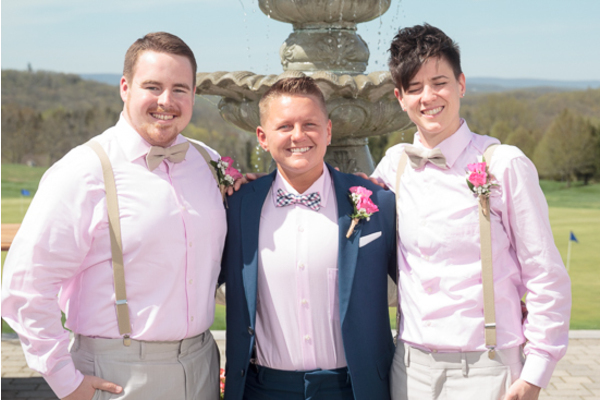 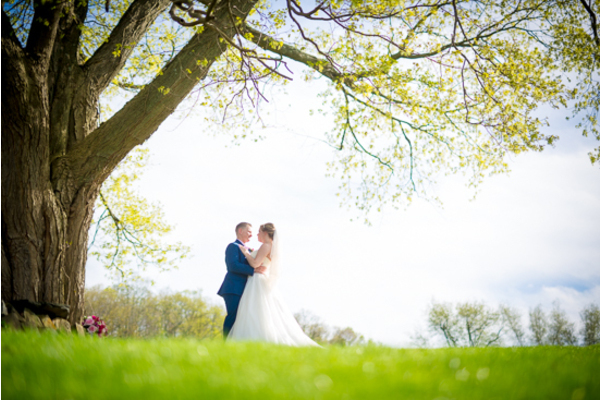 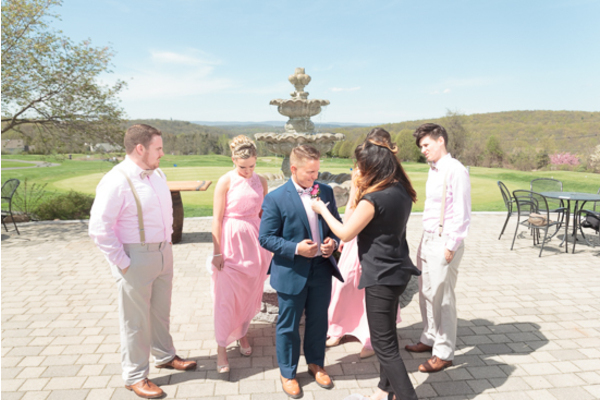 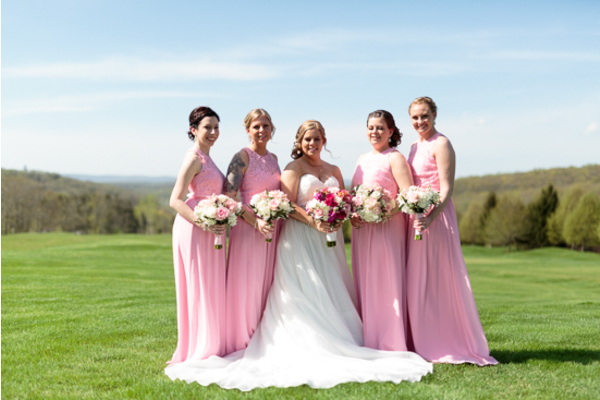 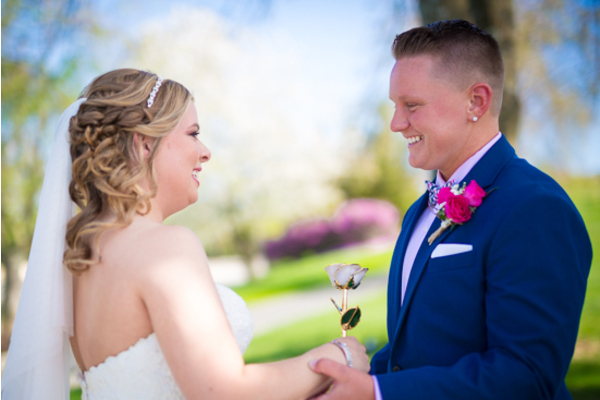 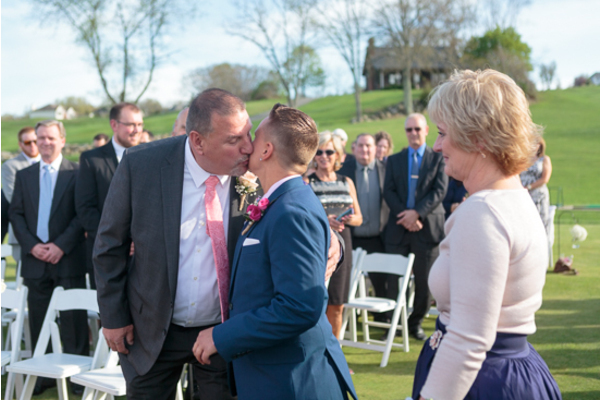 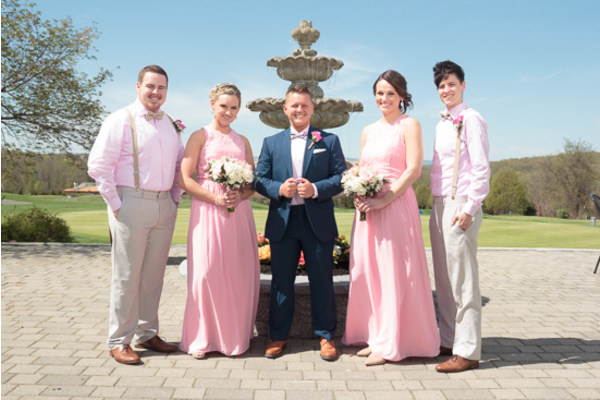 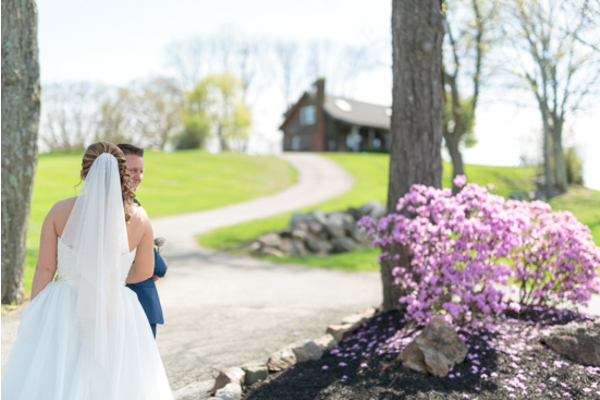 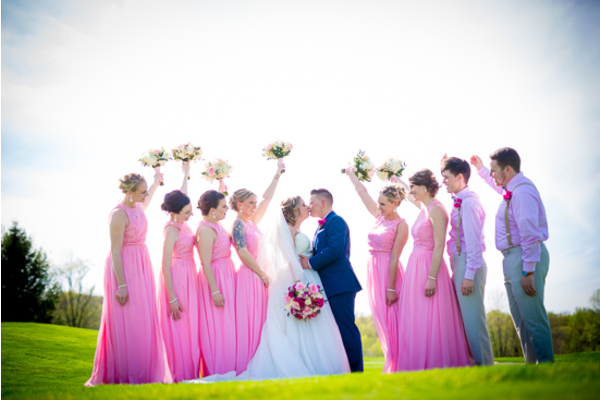 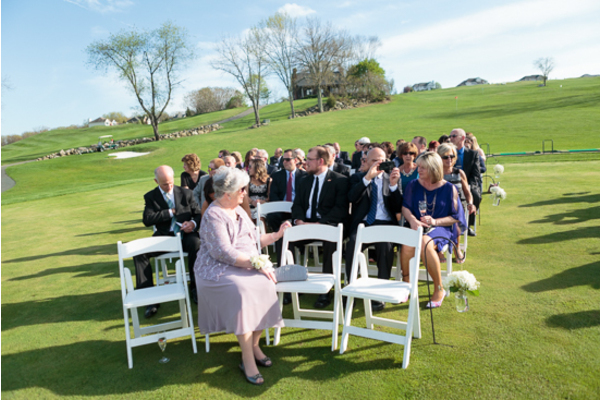 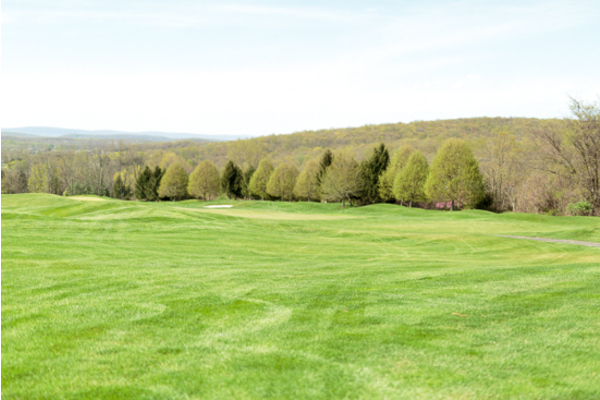 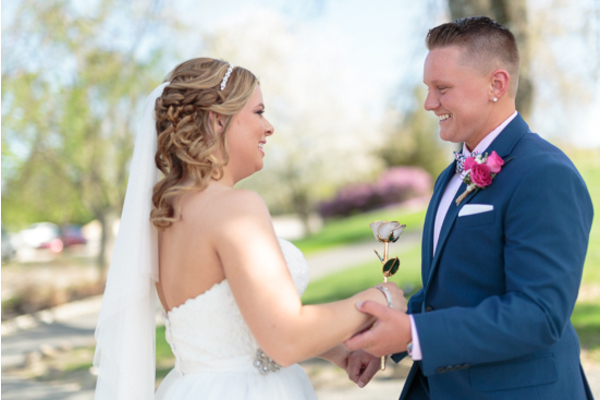 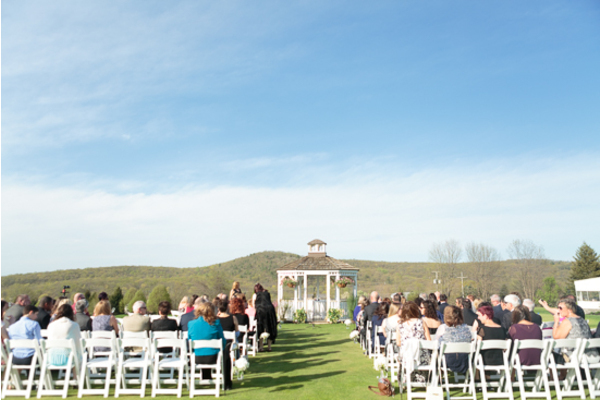 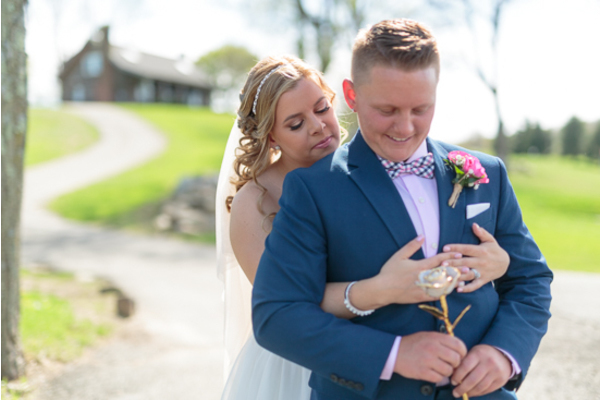 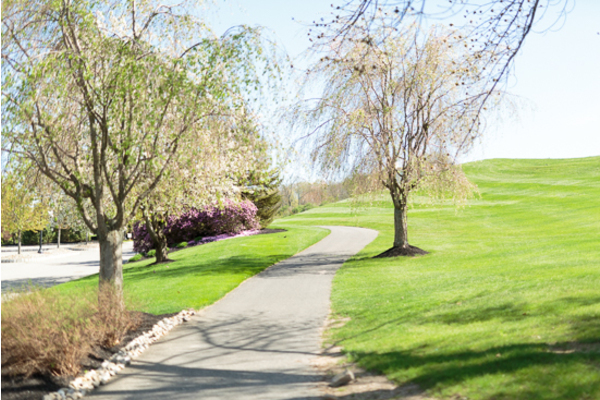 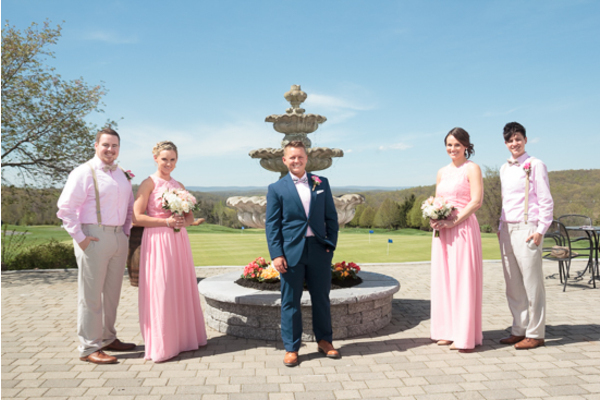 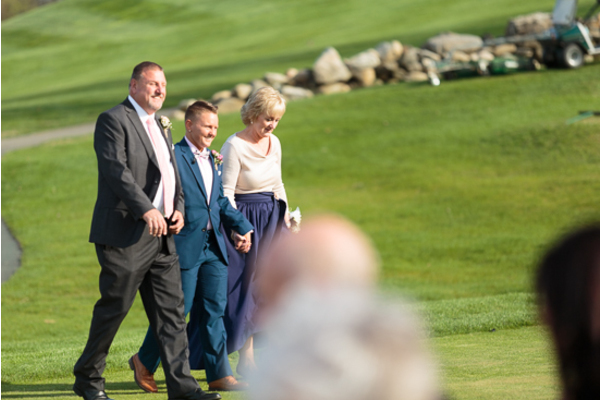 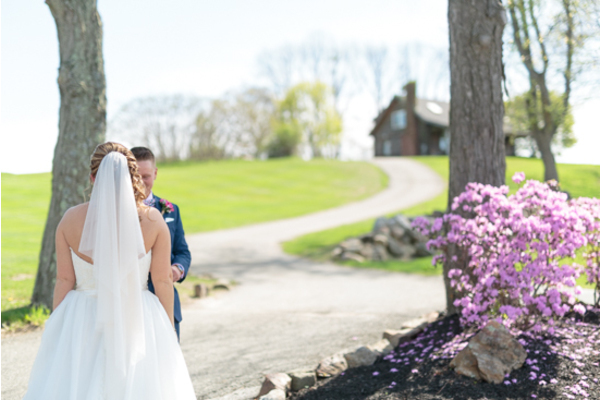 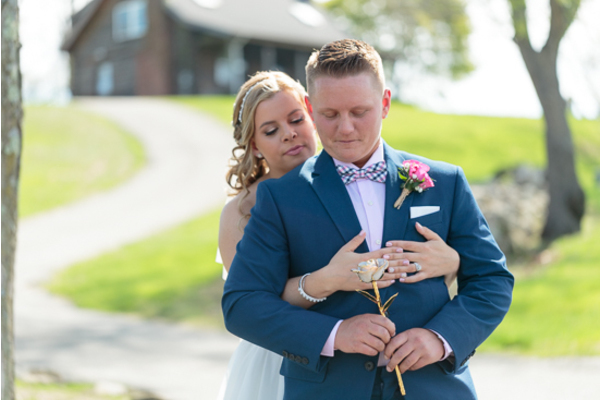 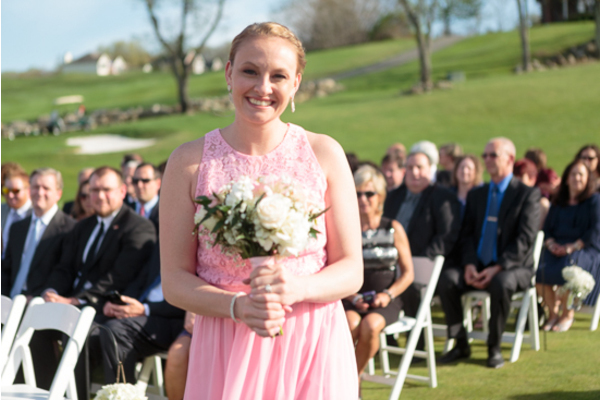 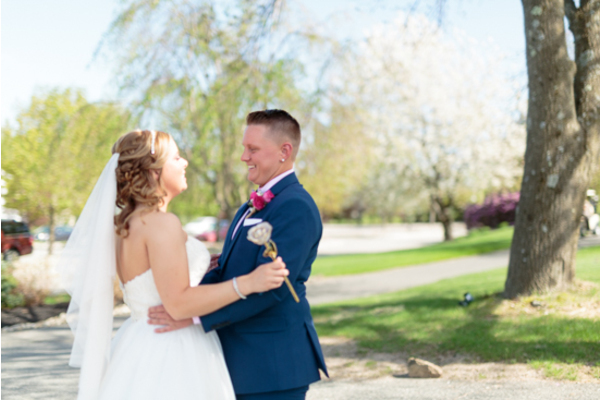 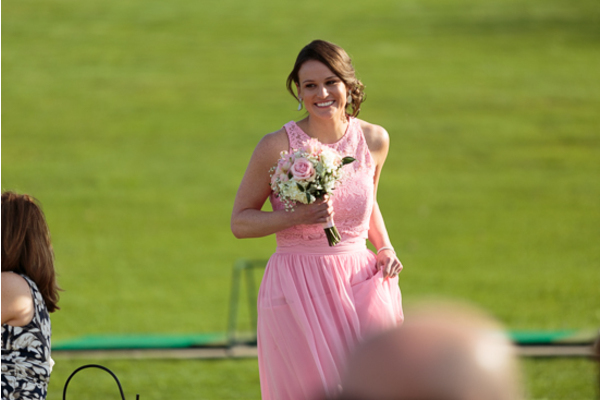 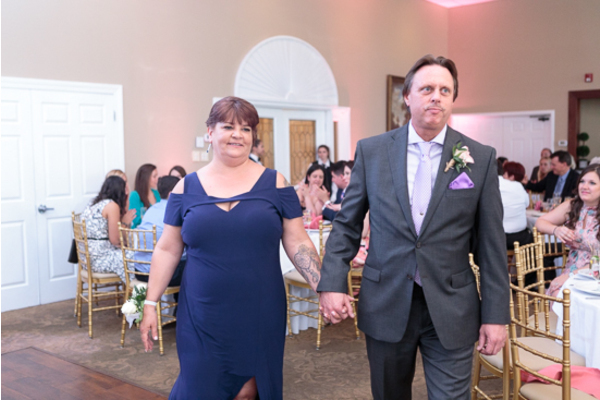 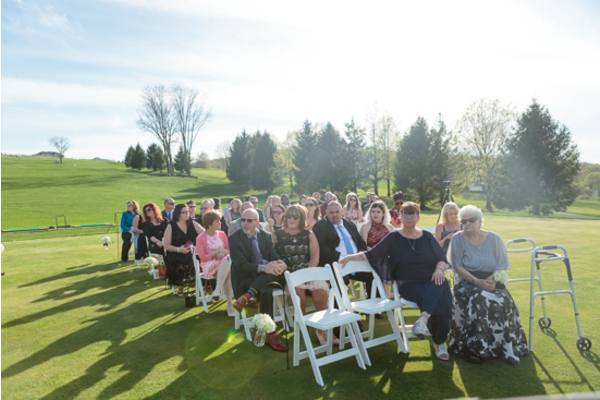 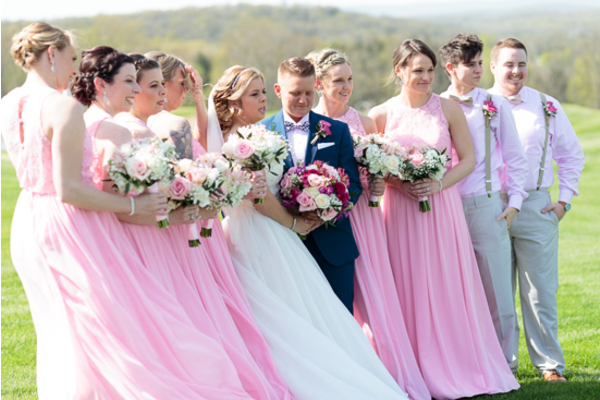 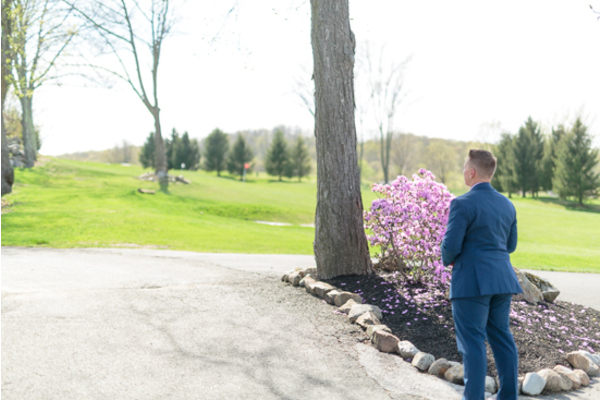 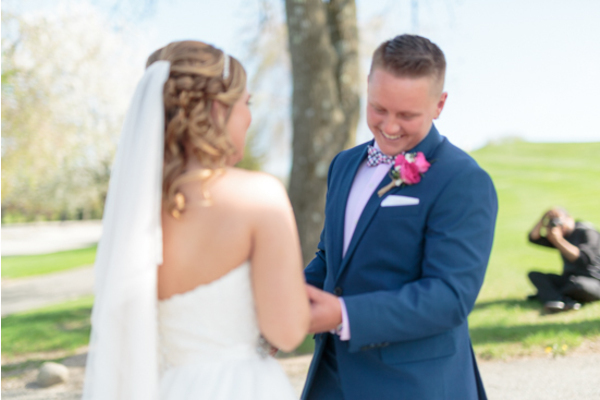 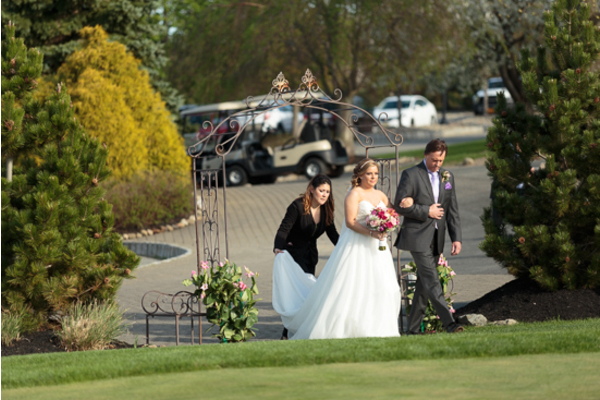 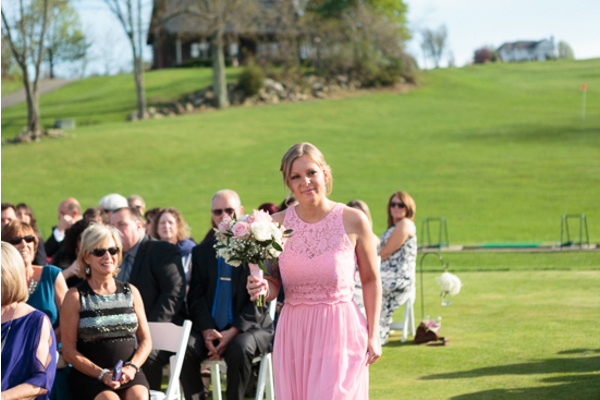 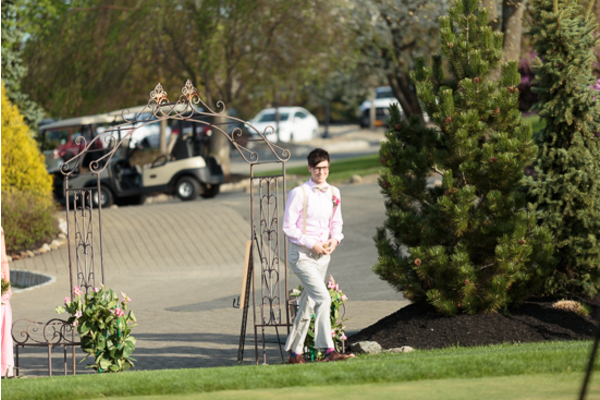 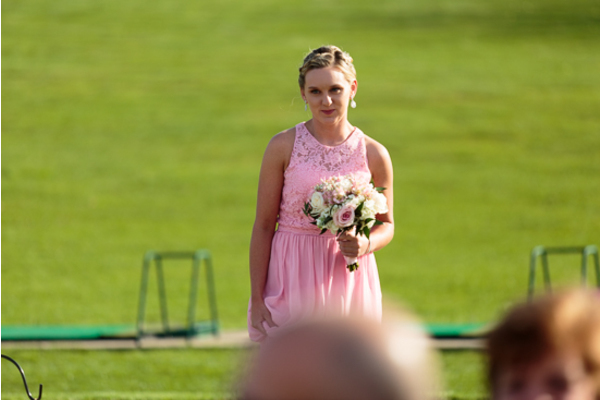 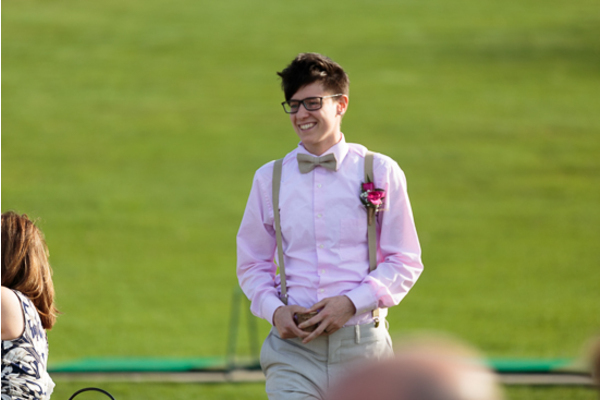 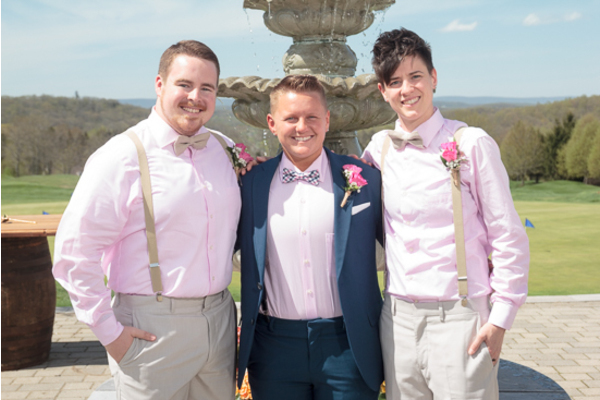 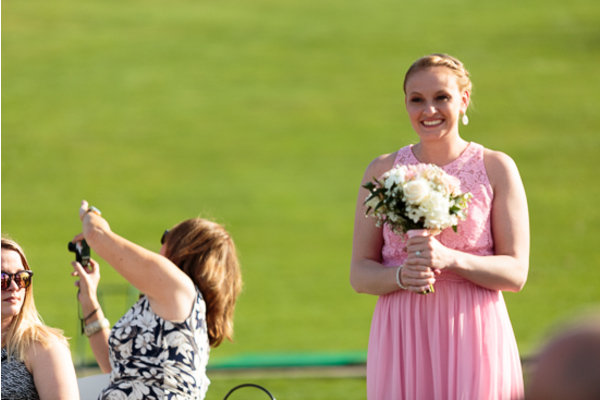 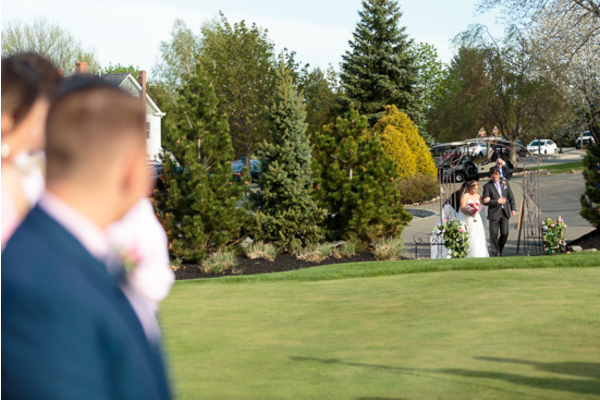 These two lovebirds tied the knot on a beautiful day at The Skyview Golf Course in Sparta, NJ. 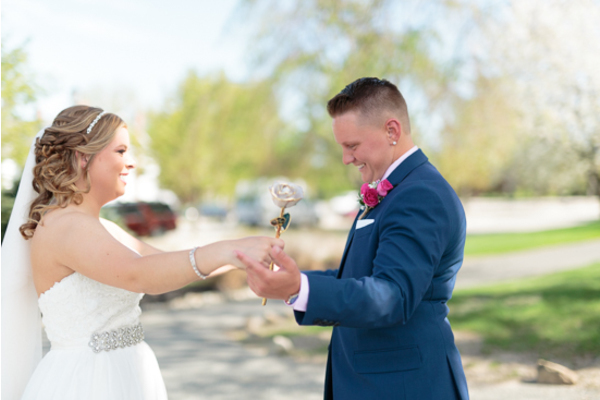 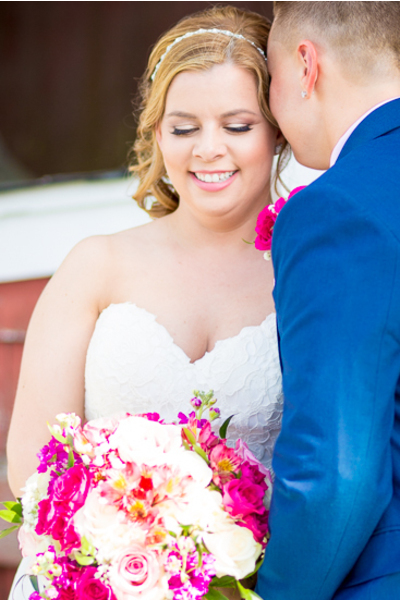 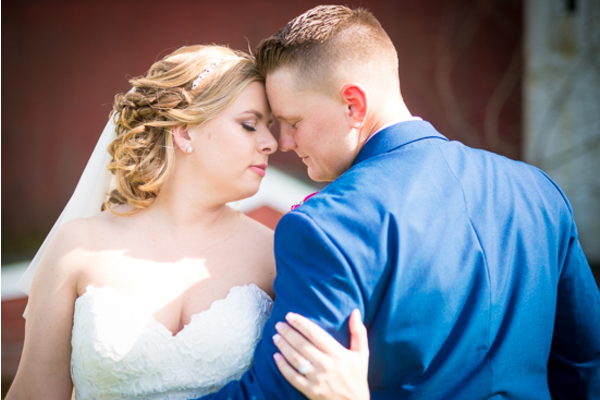 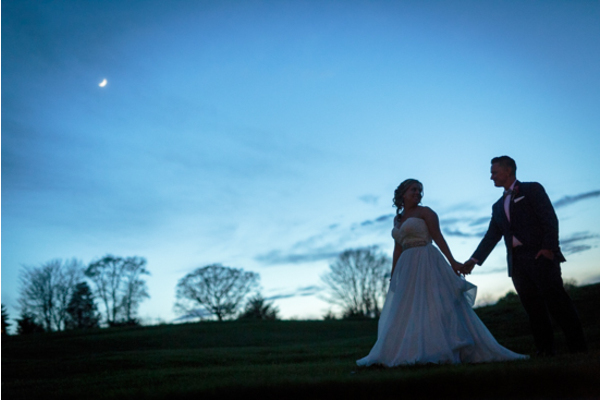 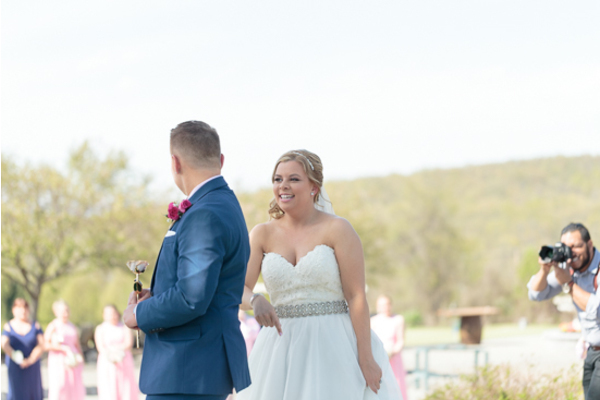 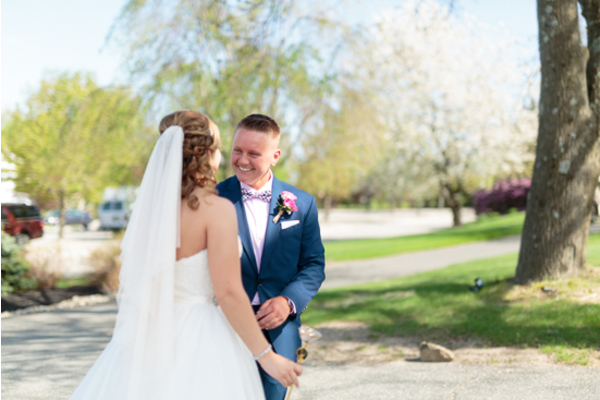 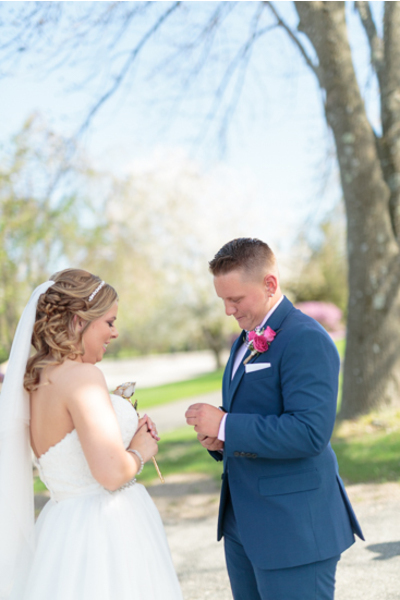 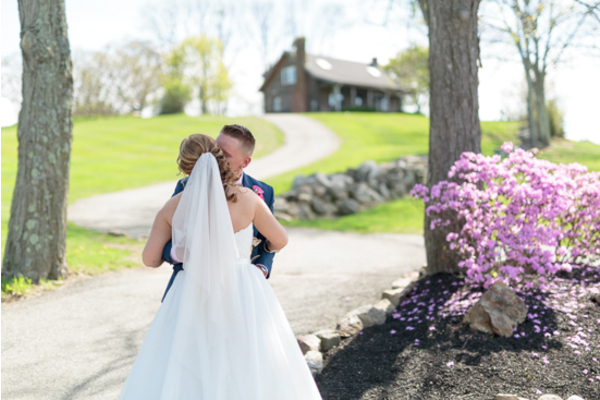 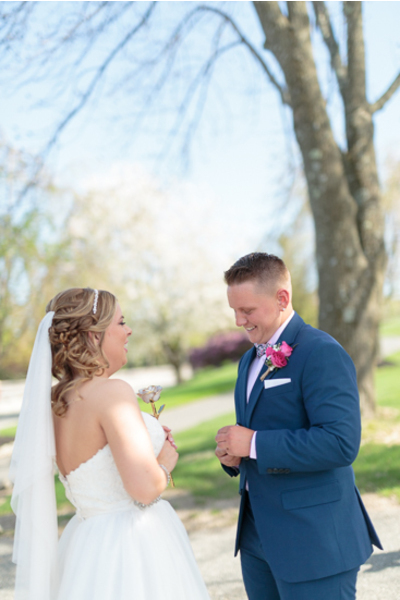 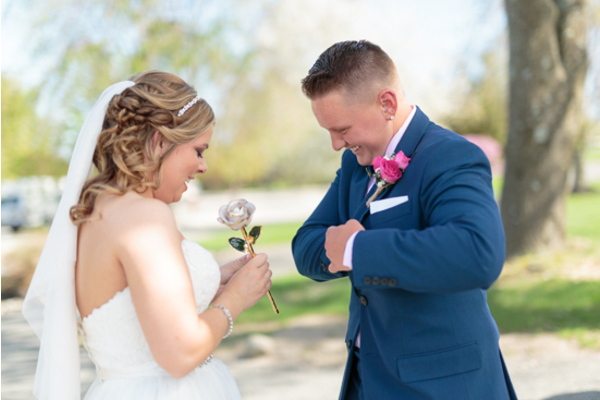 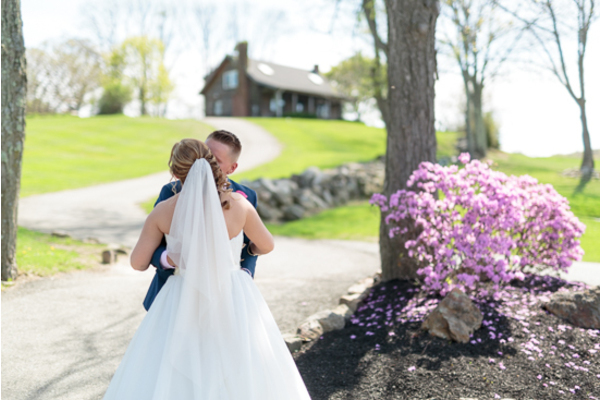 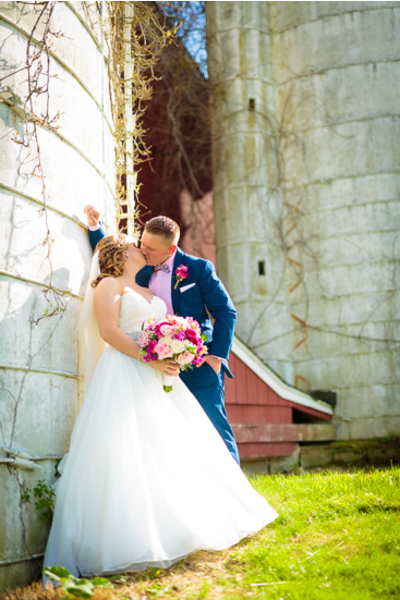 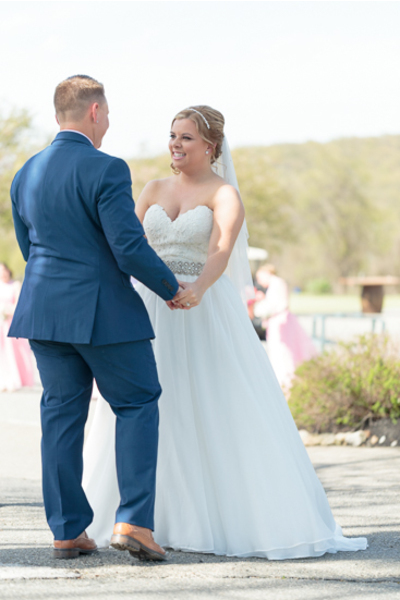 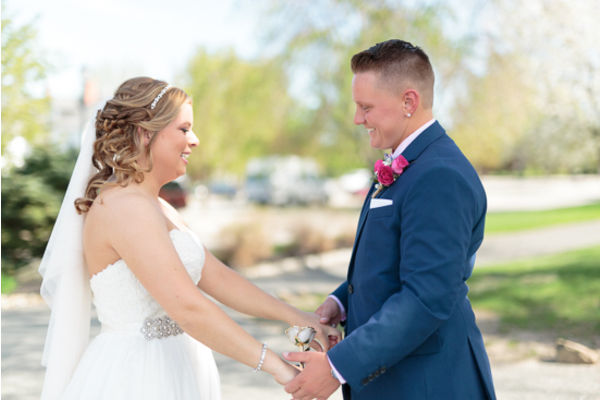 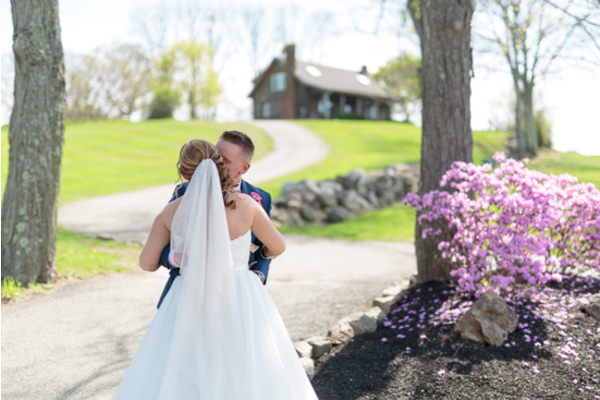 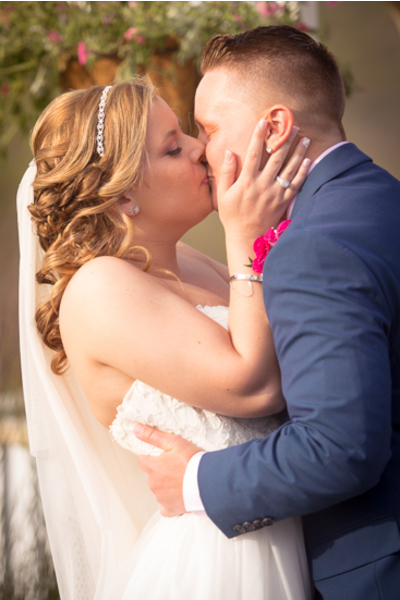 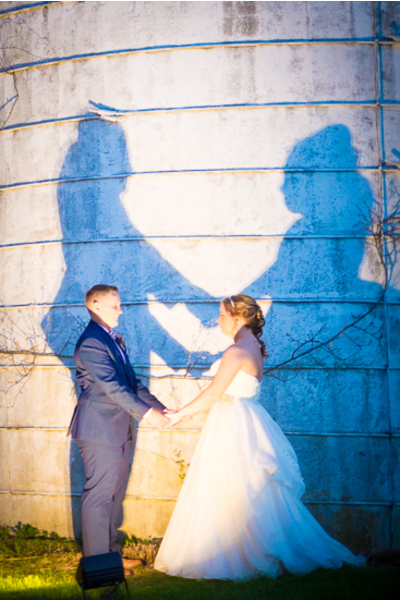 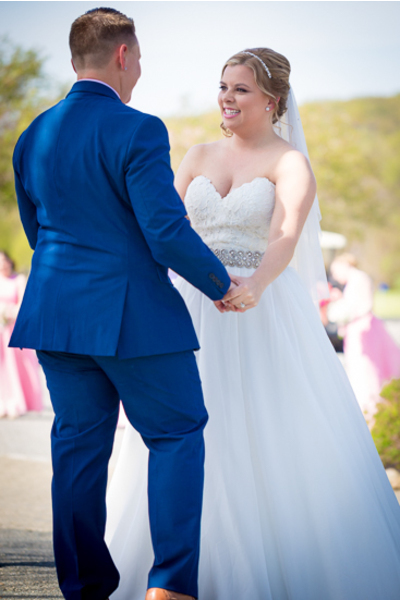 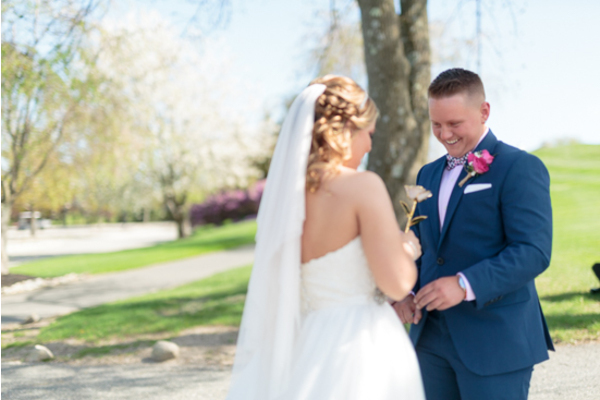 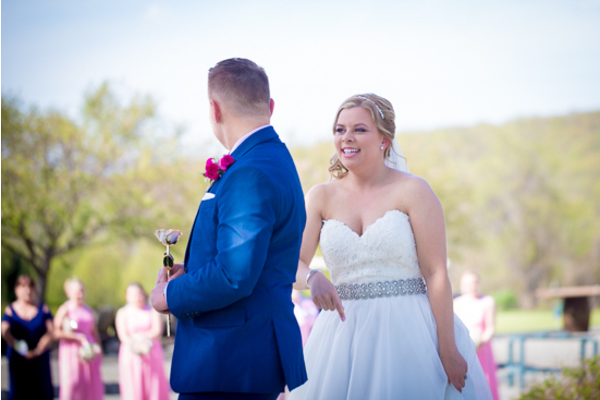 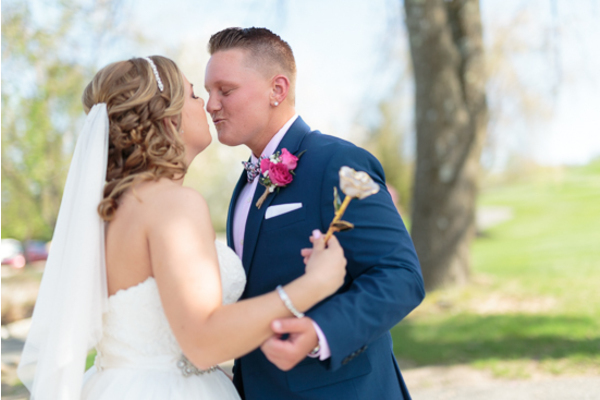 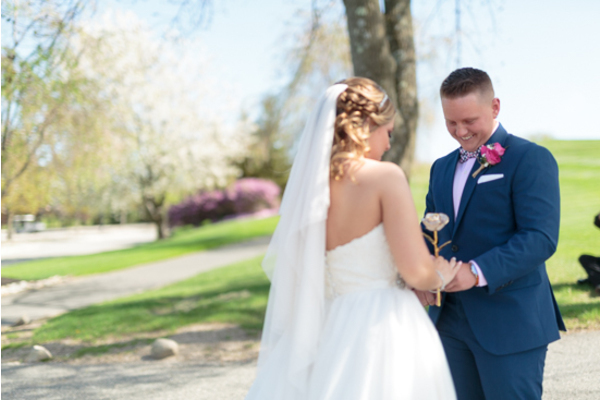 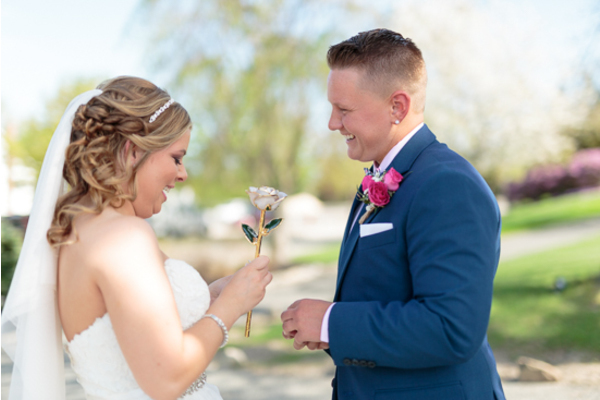 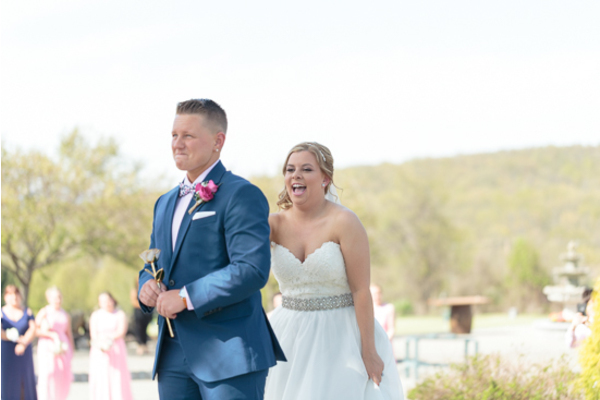 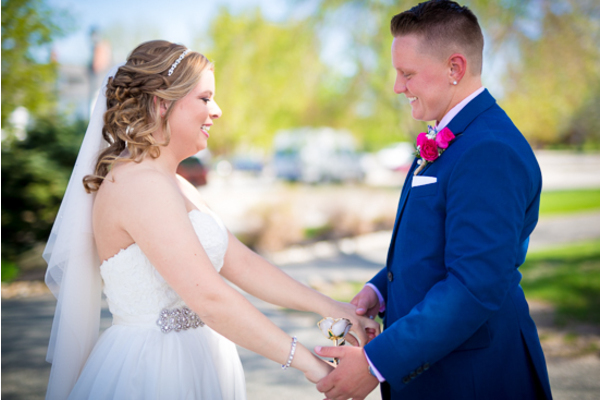 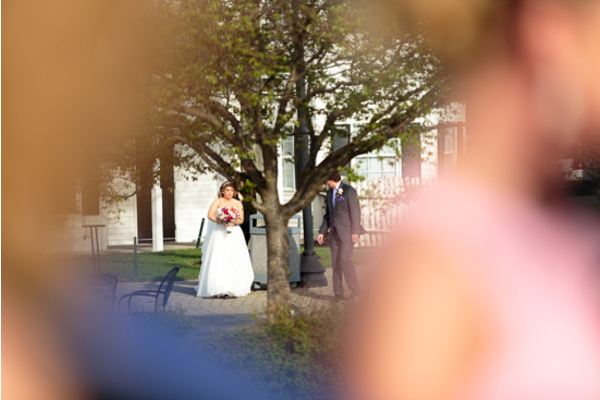 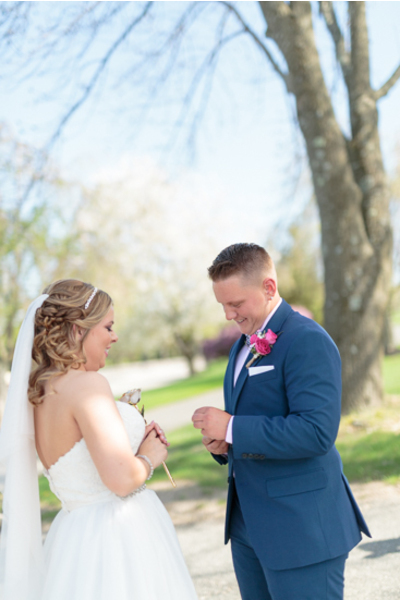 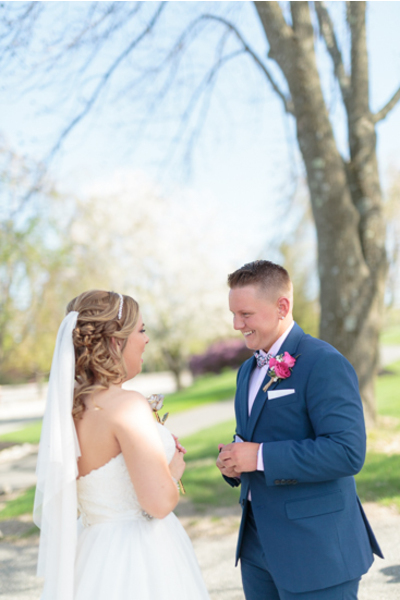 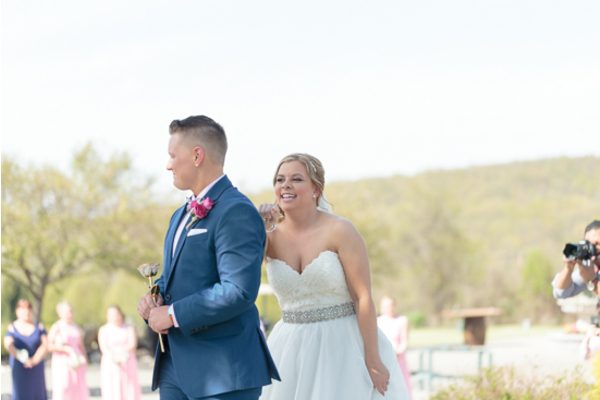 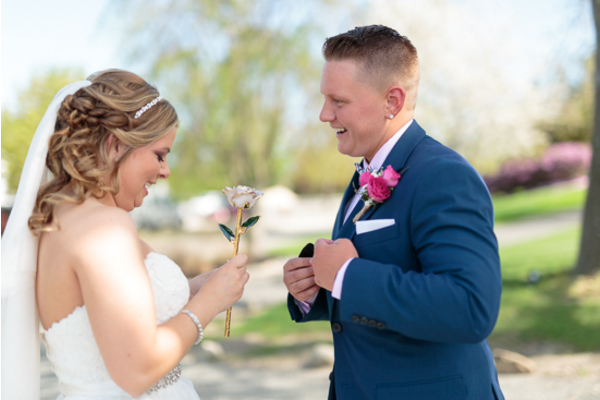 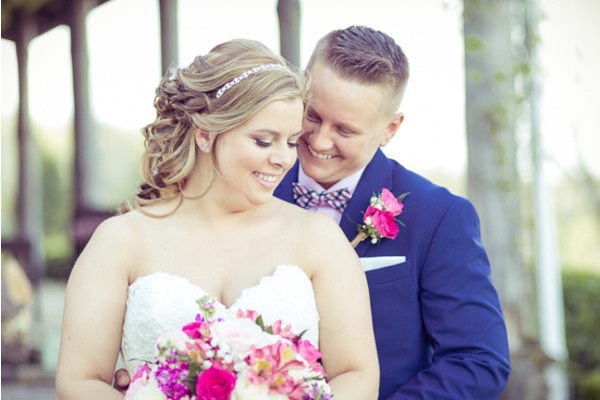 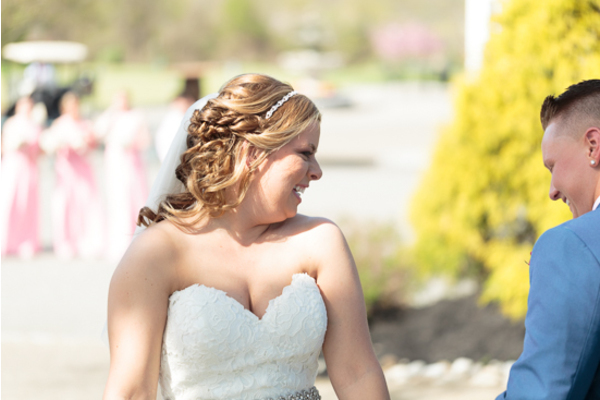 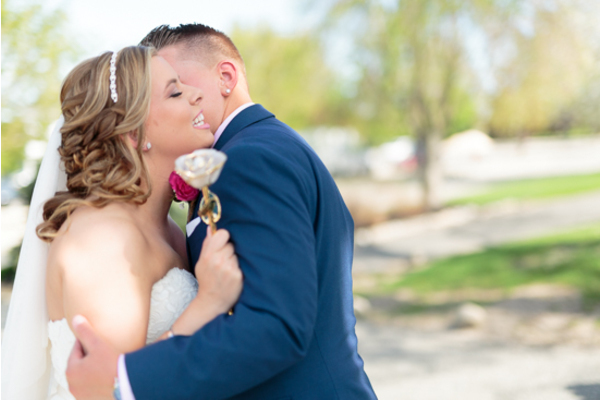 The beautiful spring day and the amazing love they have for each other made their wedding absolutely amazing! 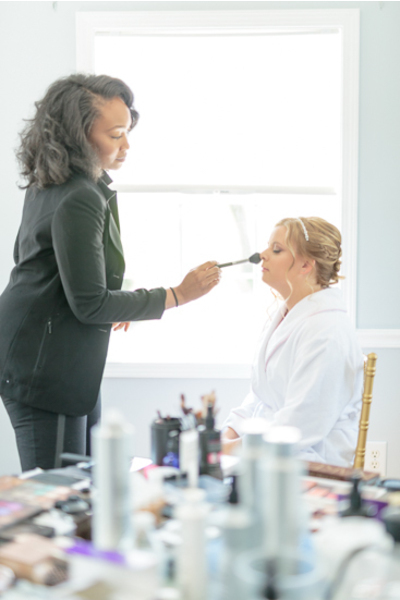 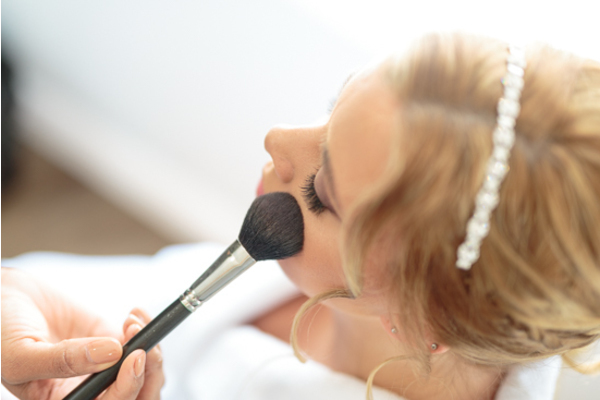 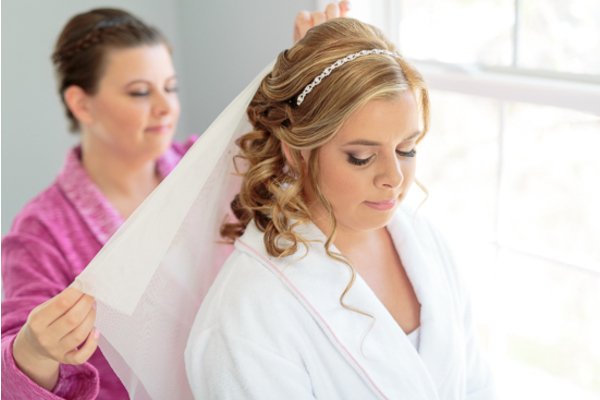 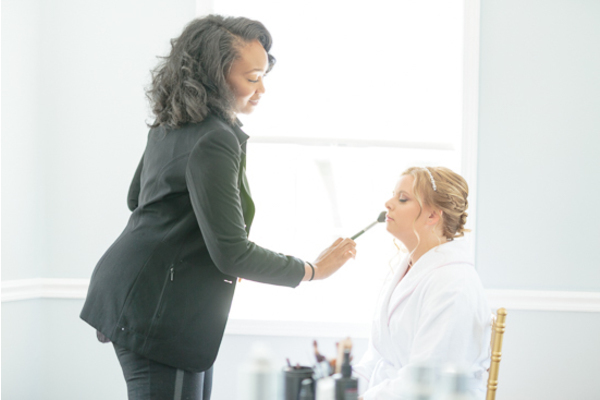 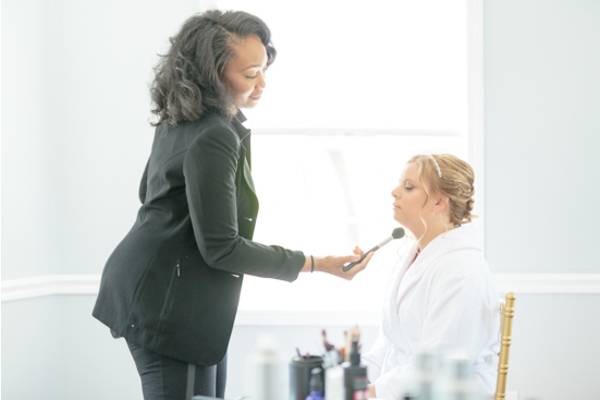 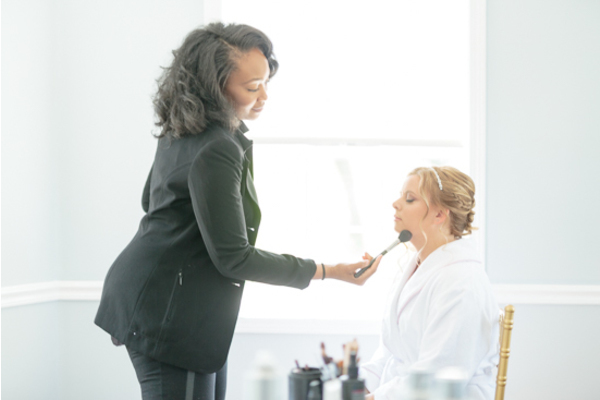 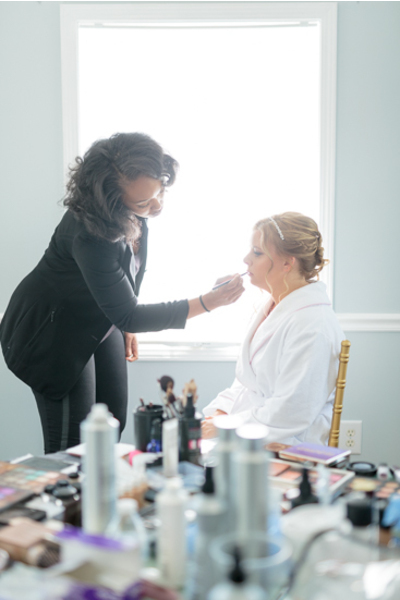 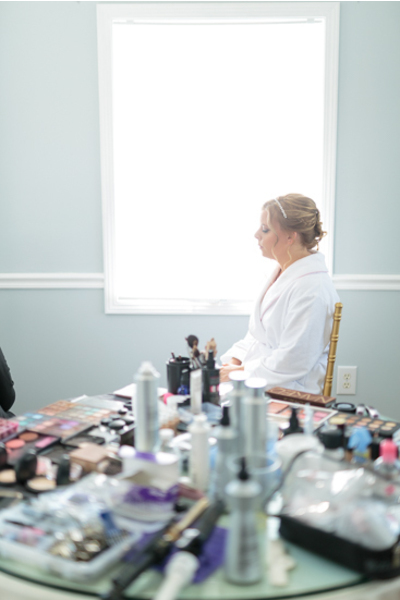 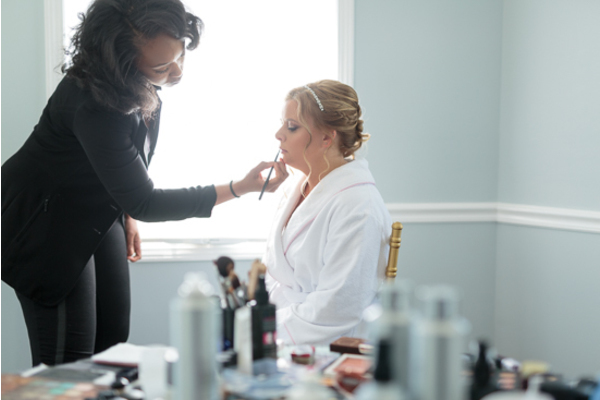 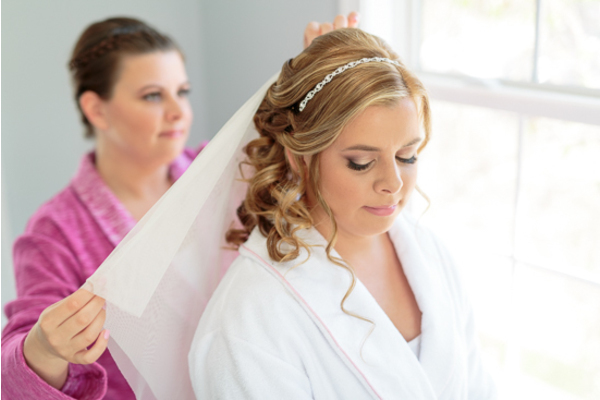 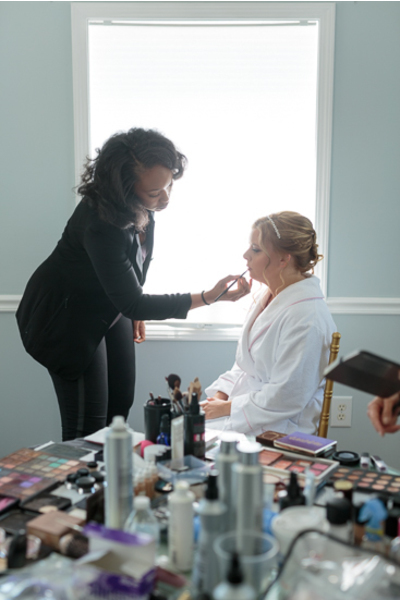 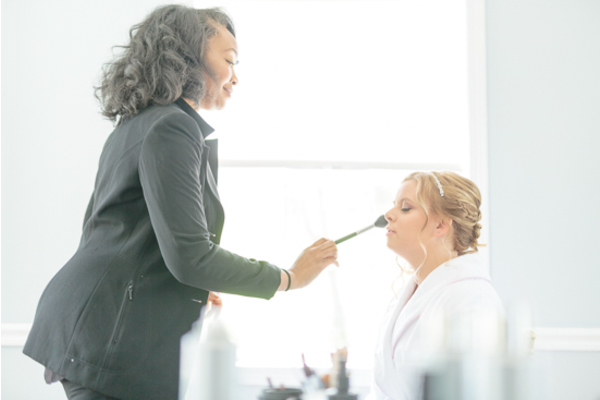 Heather started out her day by getting her hair and makeup done and she looked absolutely gorgeous. 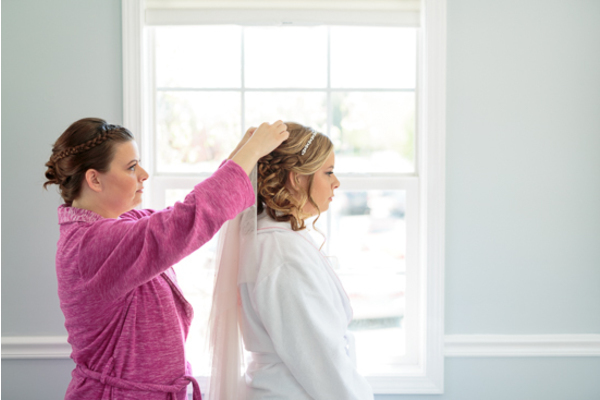 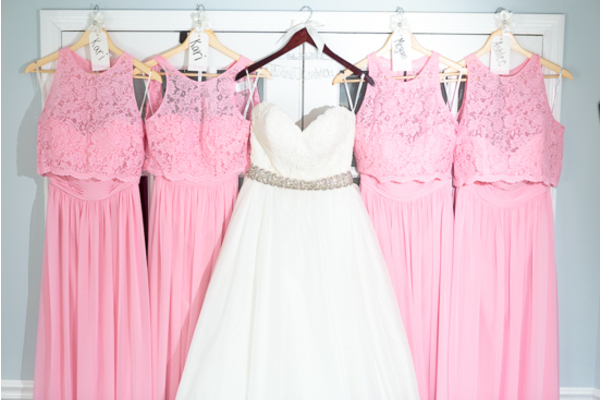 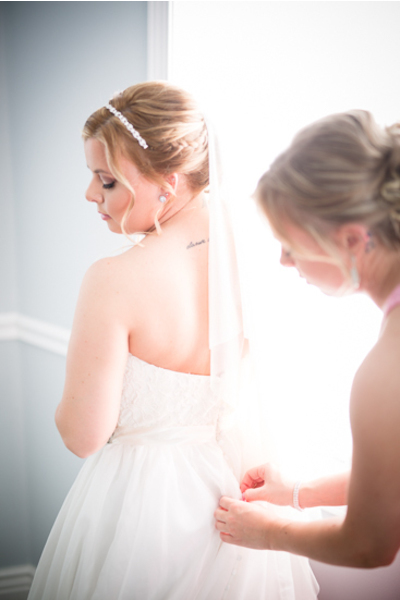 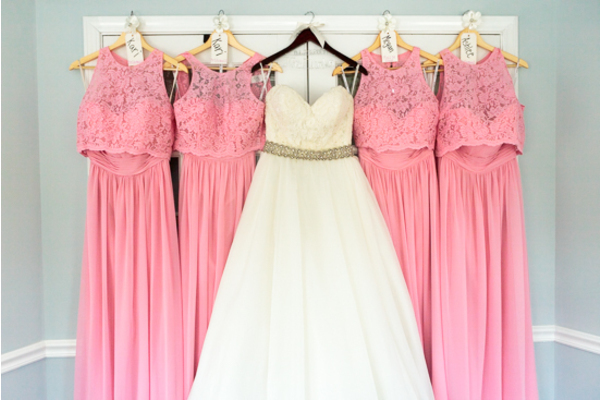 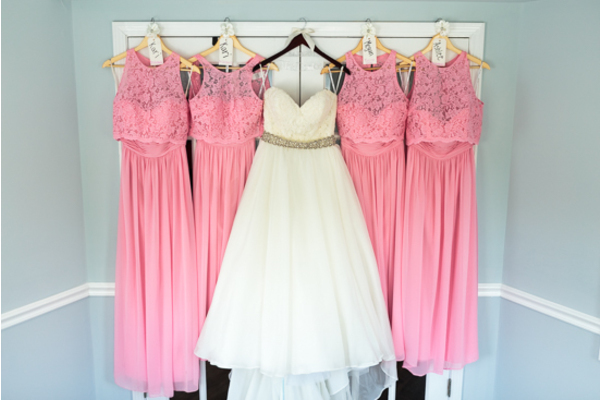 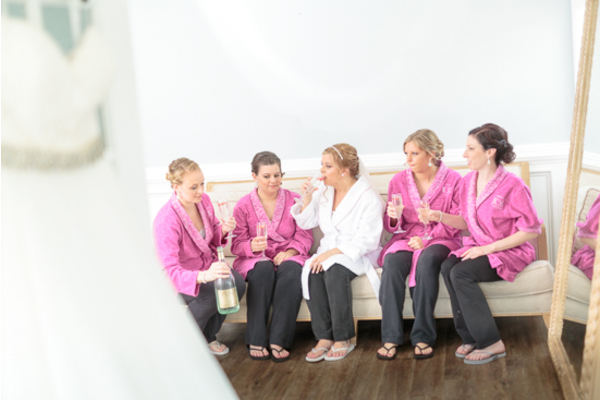 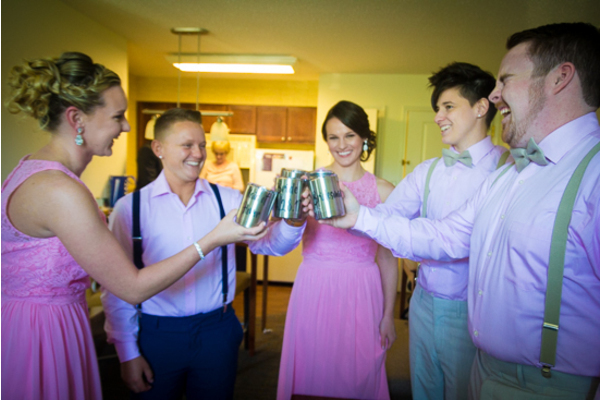 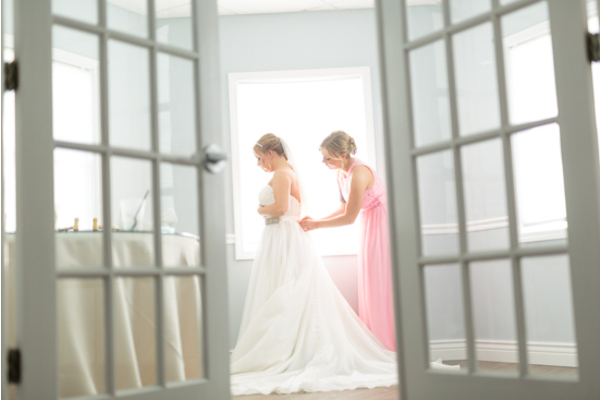 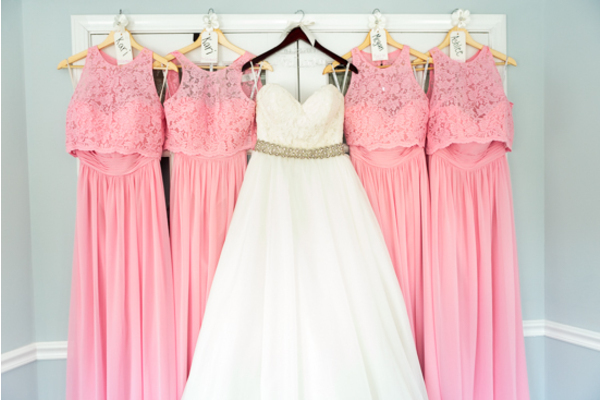 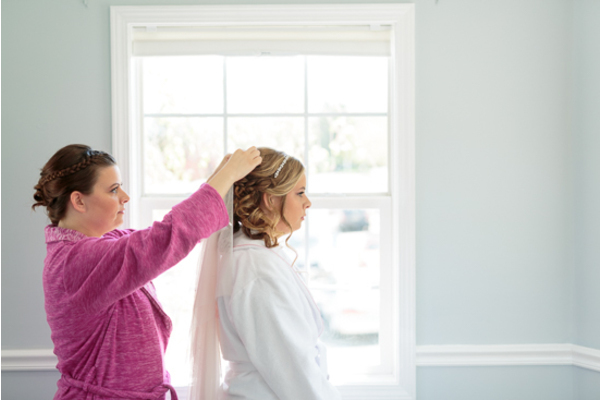 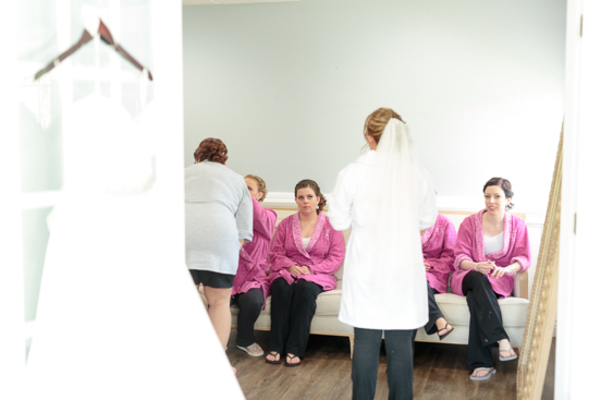 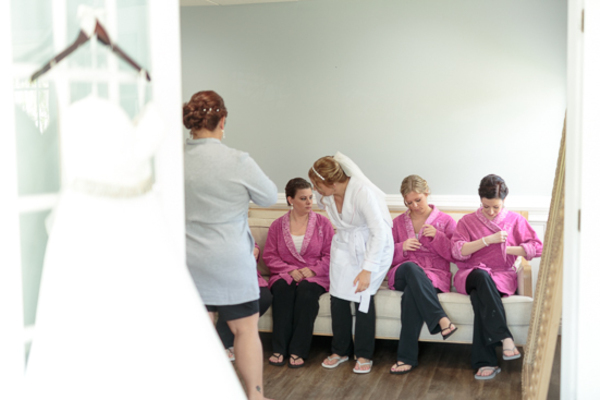 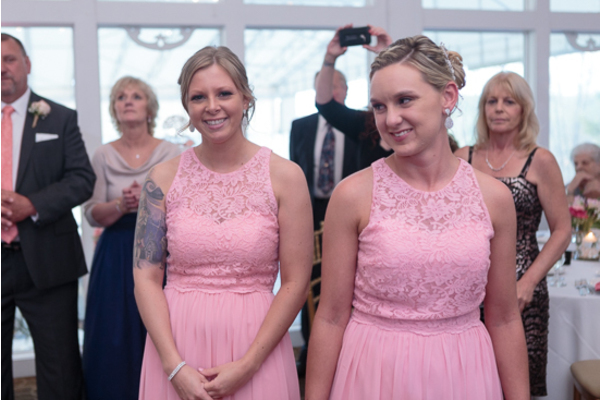 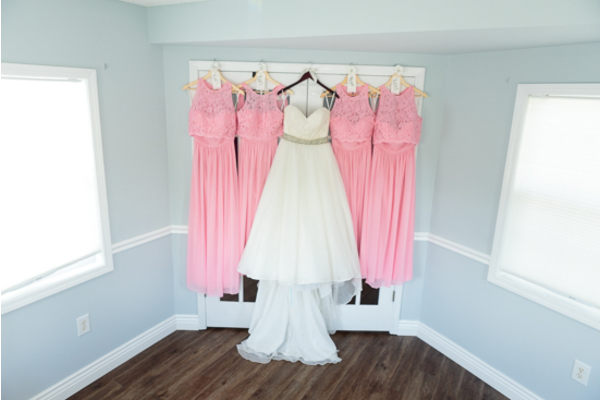 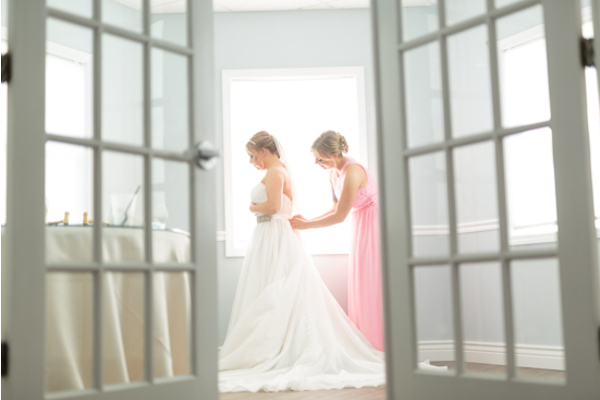 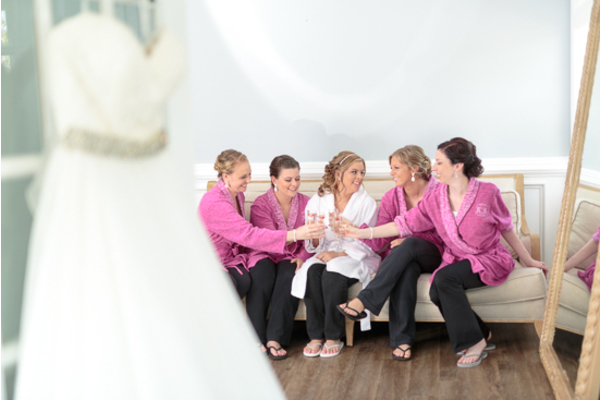 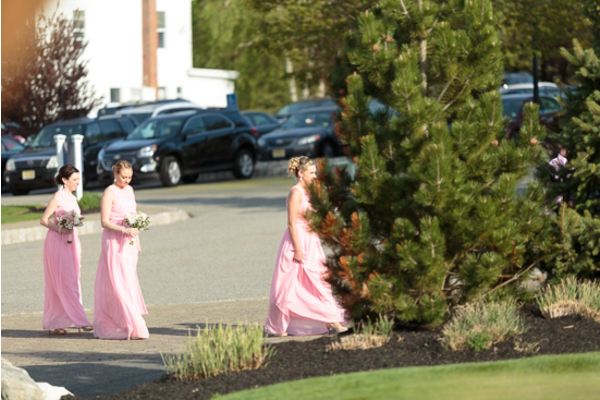 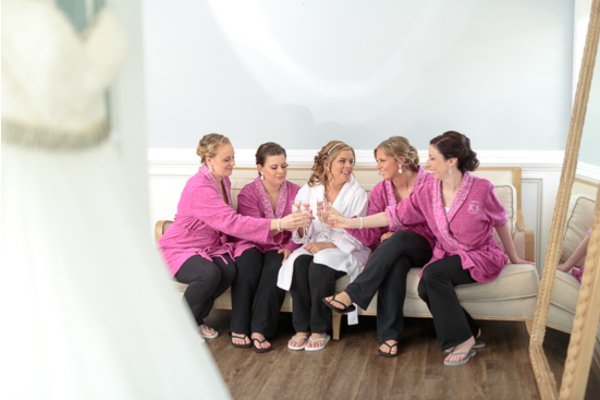 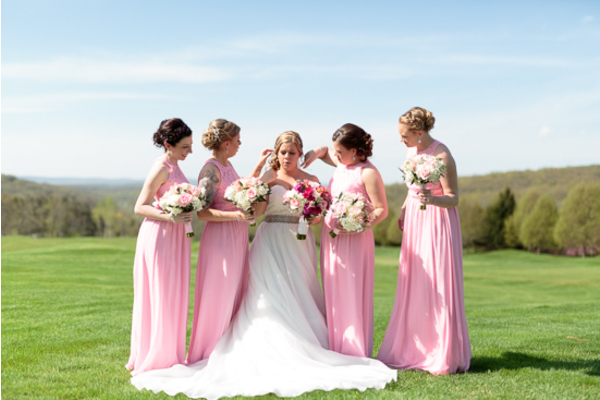 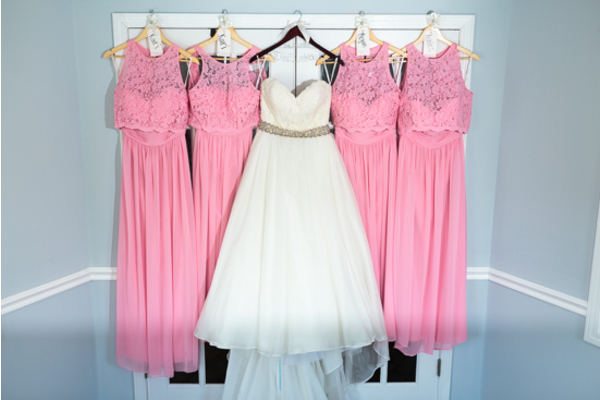 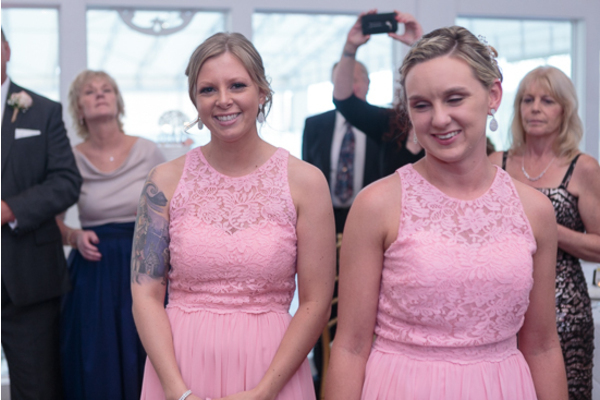 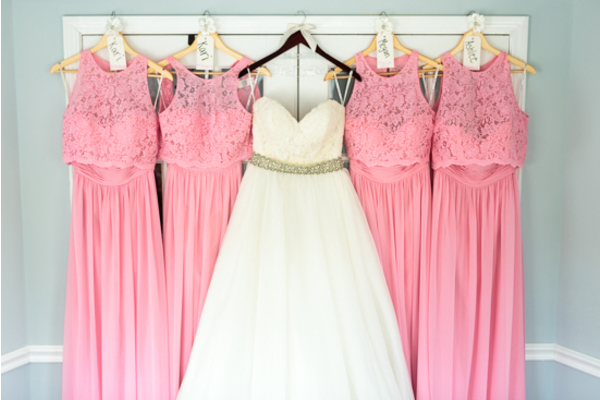 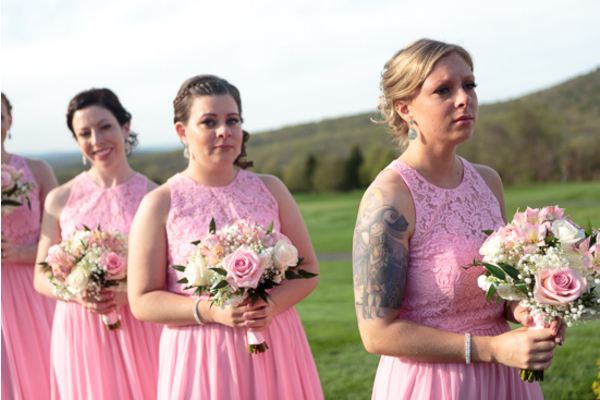 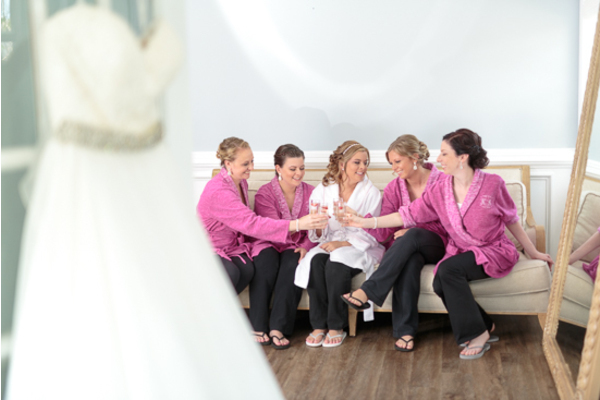 Her bridesmaids were at her side the whole time helping her get ready for her big day. 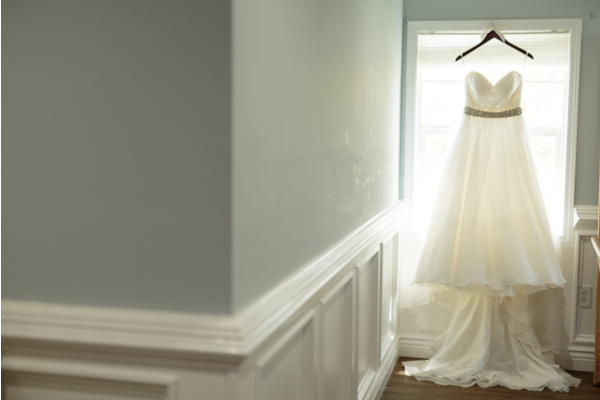 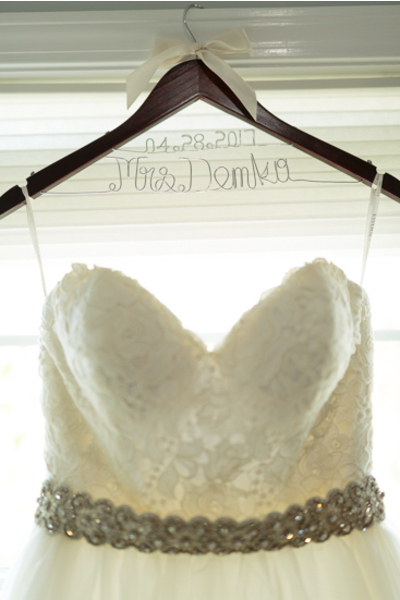 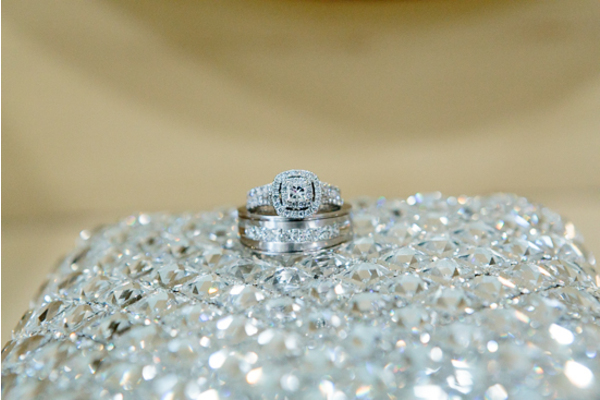 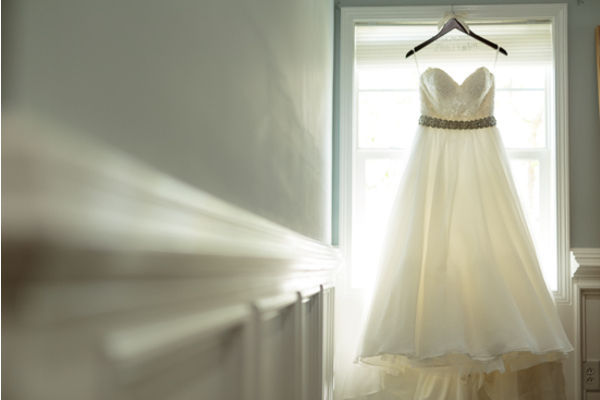 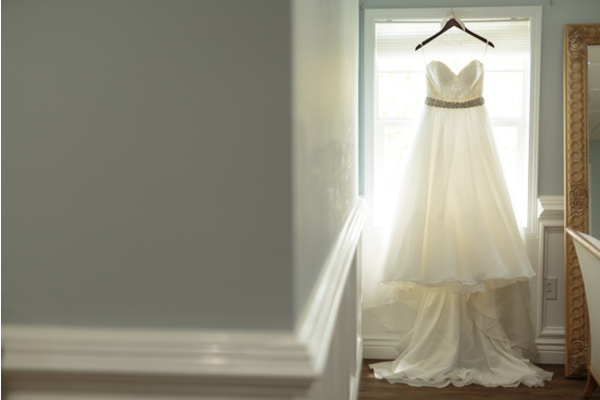 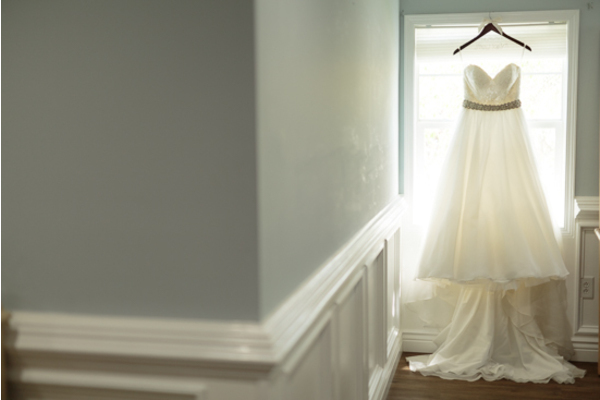 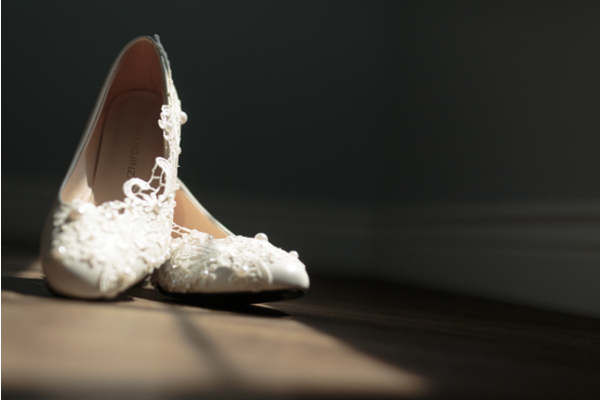 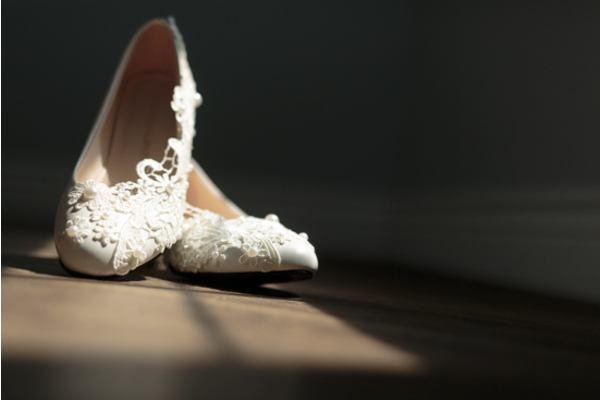 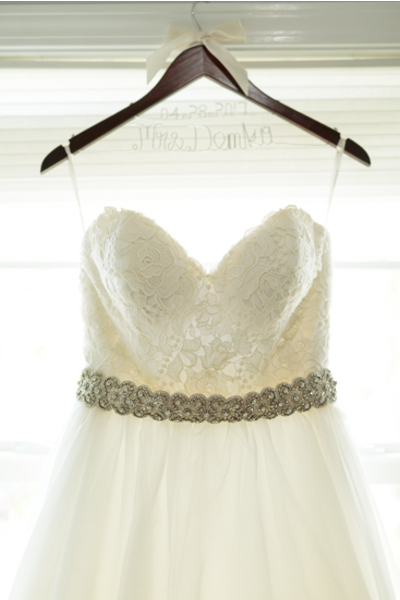 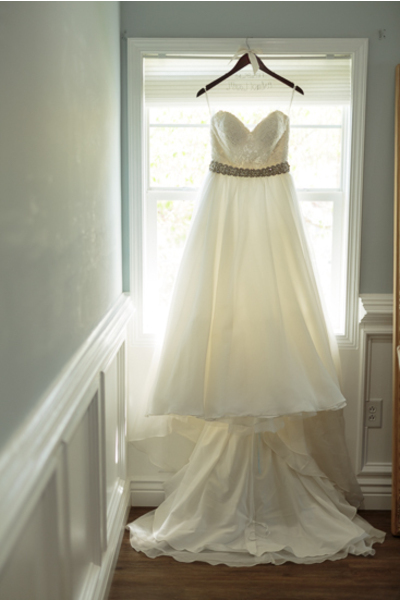 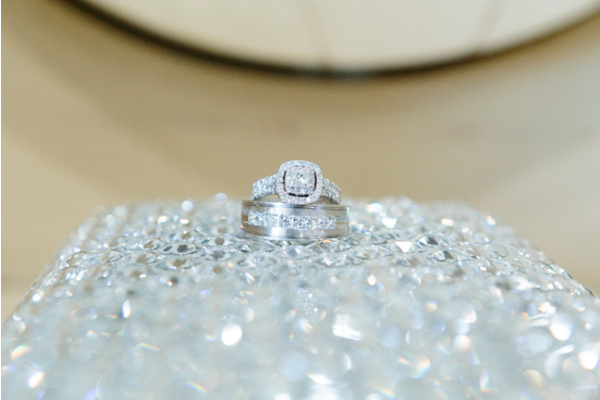 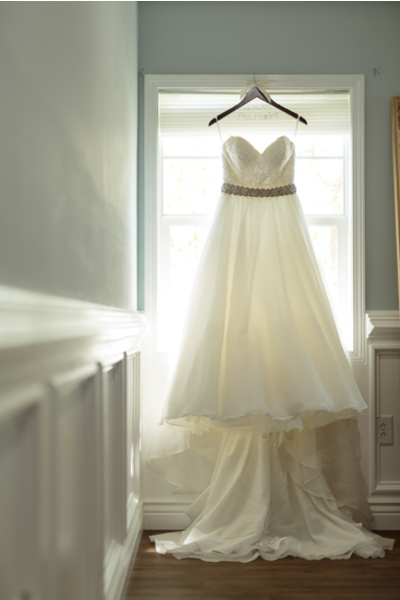 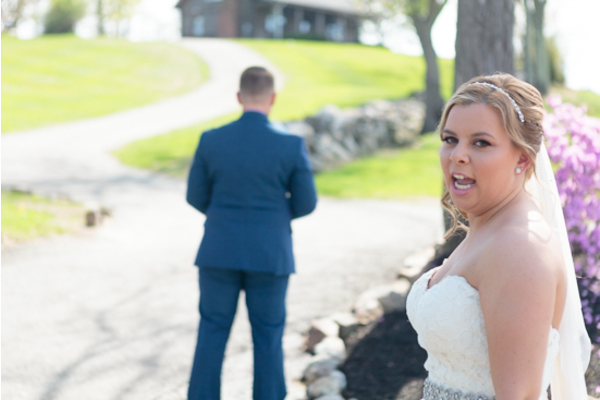 Once she was finally ready, she slipped on her stunning wedding dress. 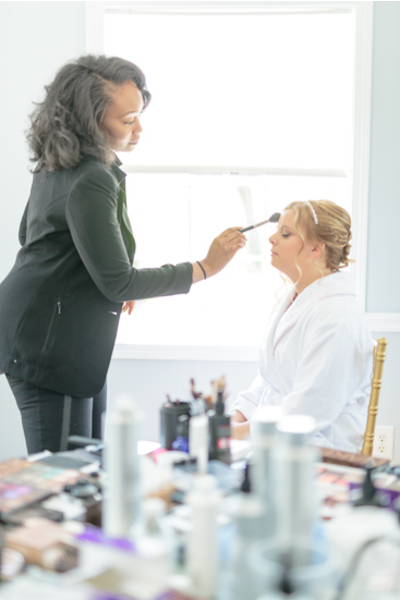 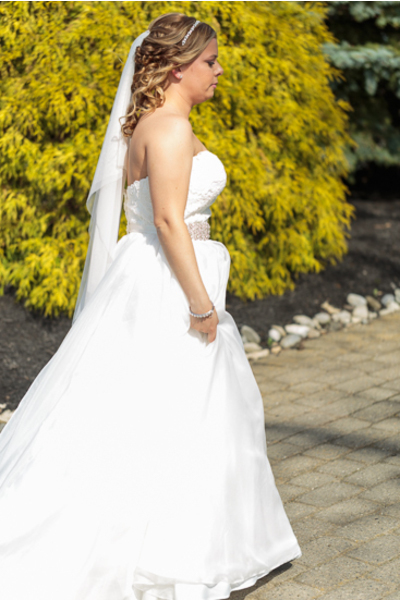 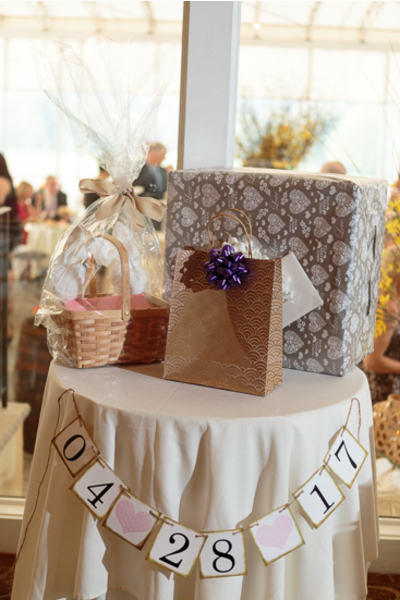 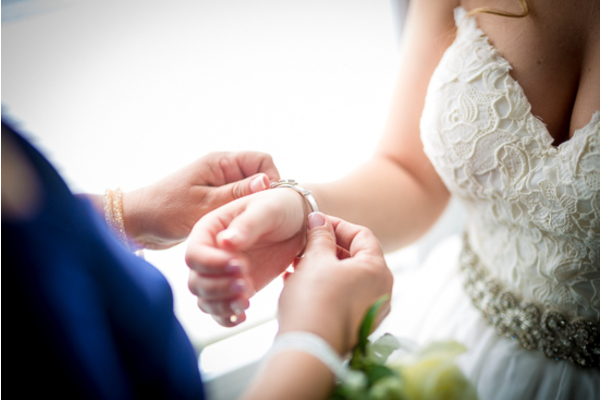 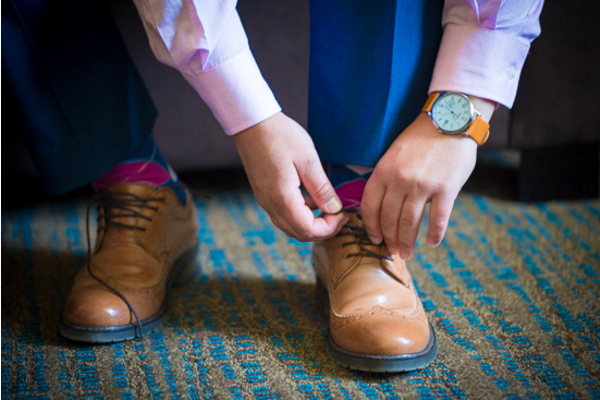 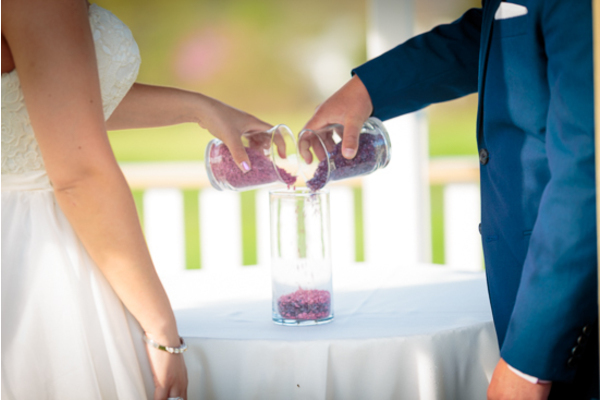 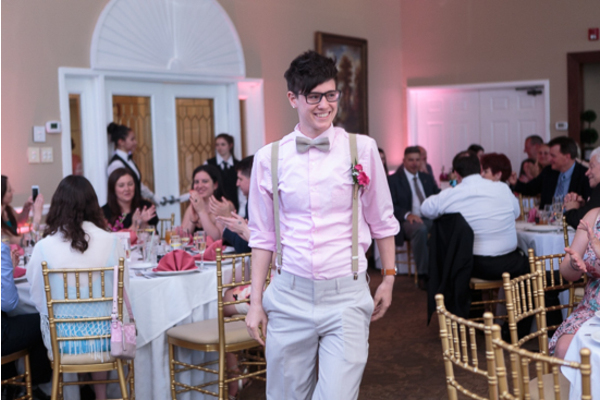 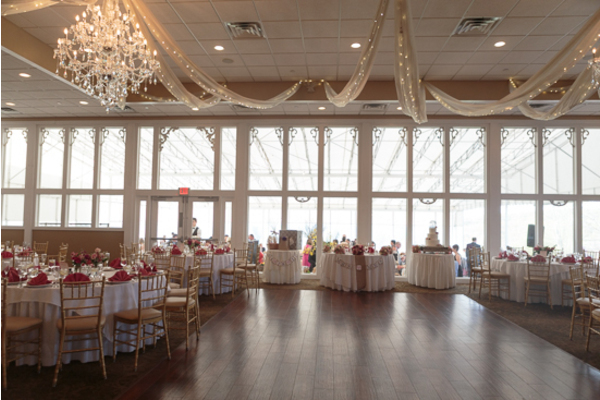 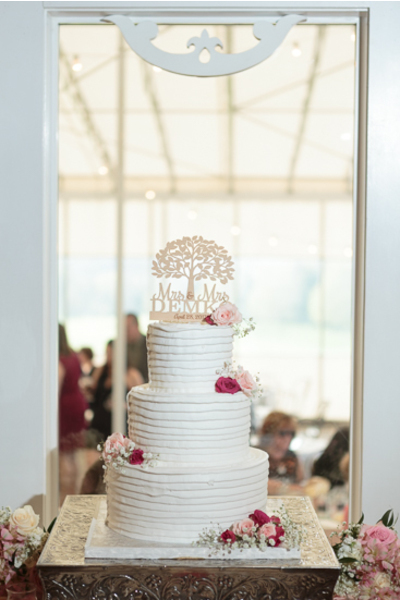 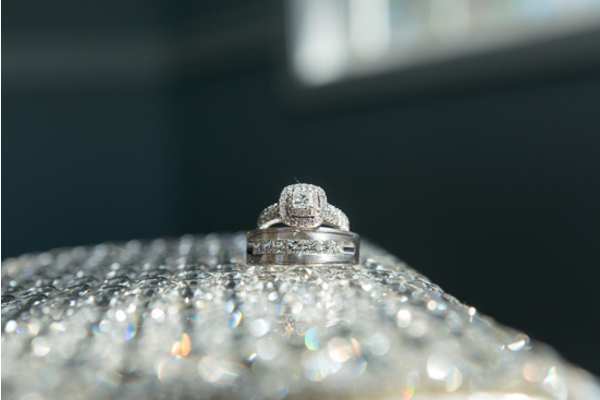 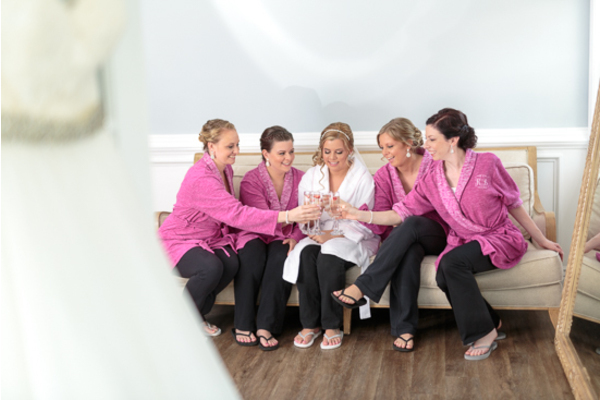 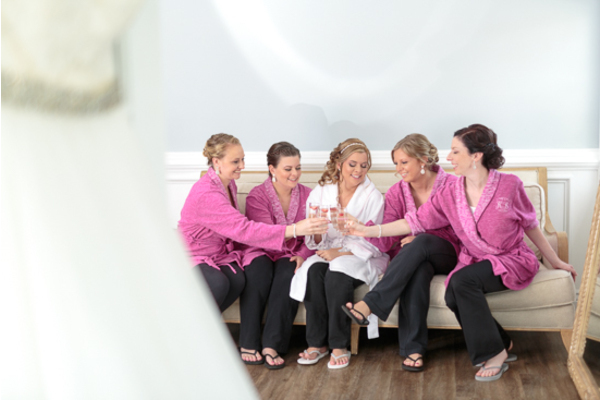 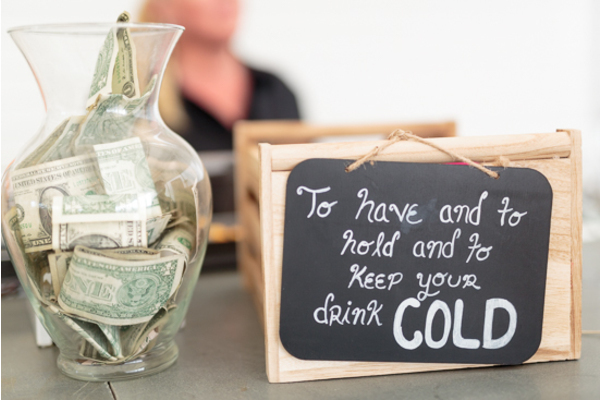 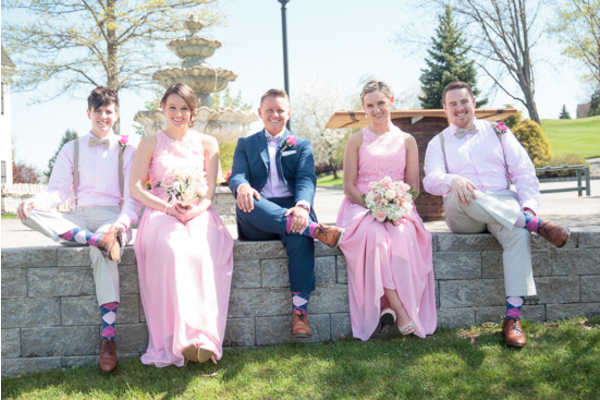 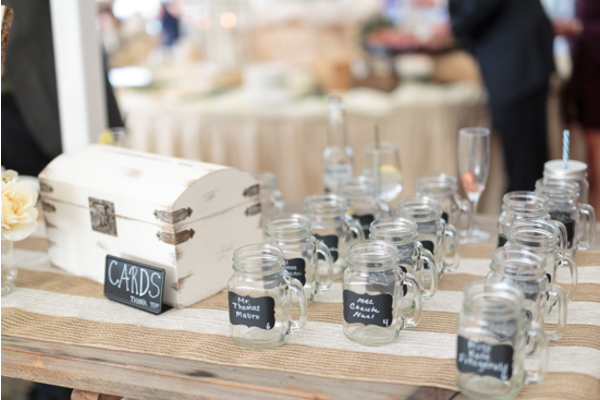 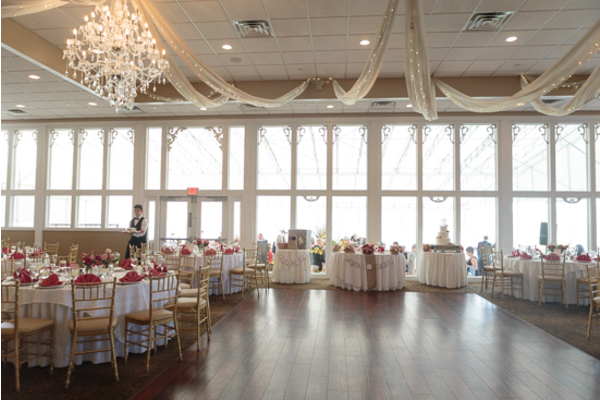 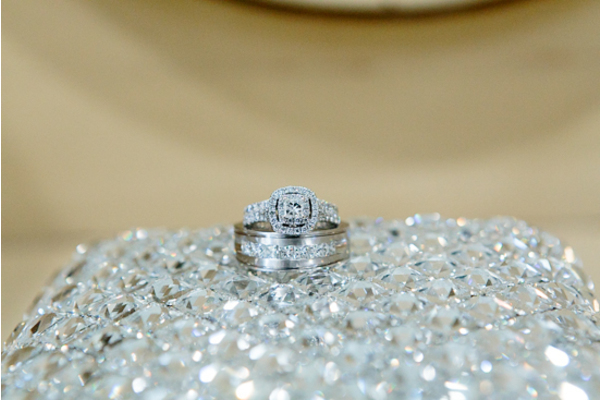 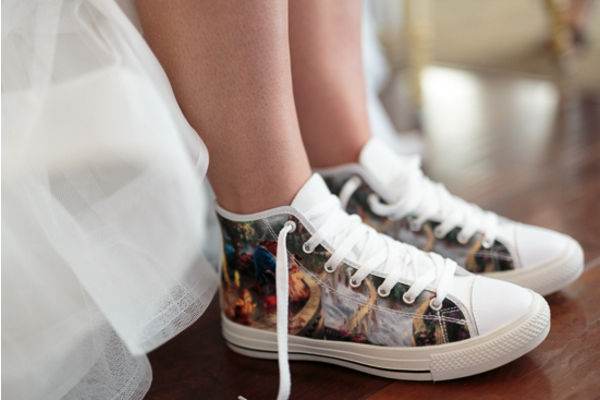 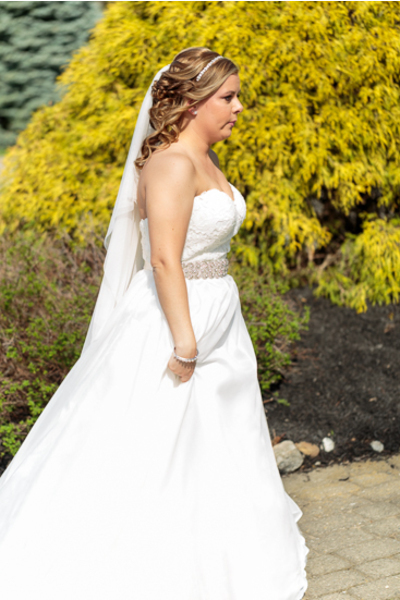 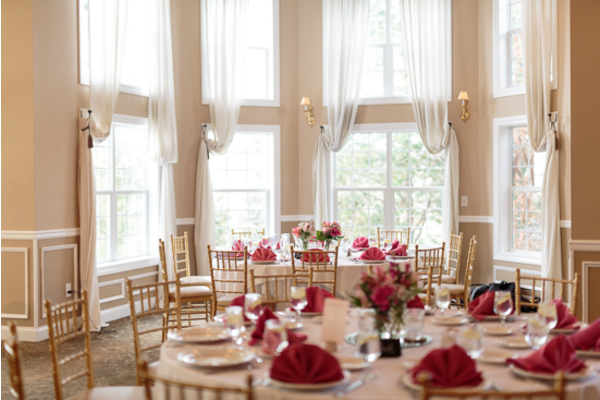 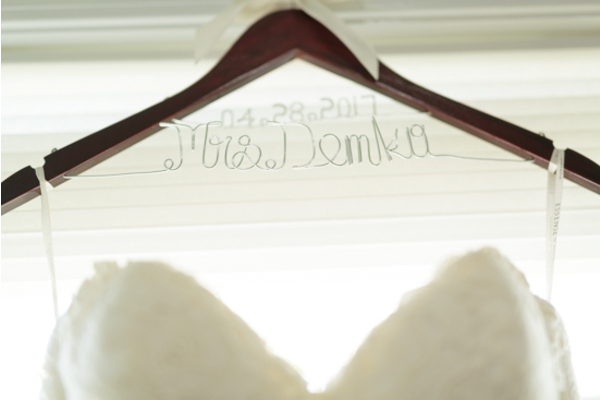 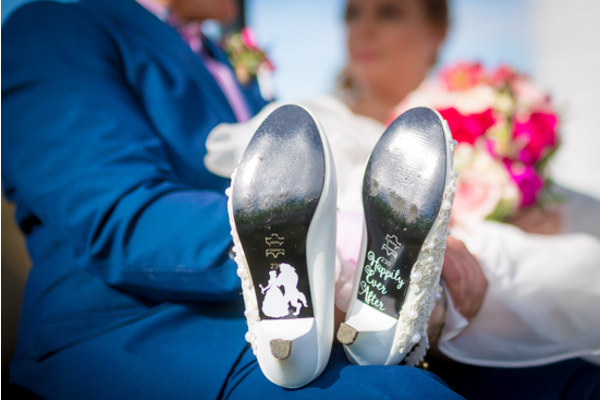 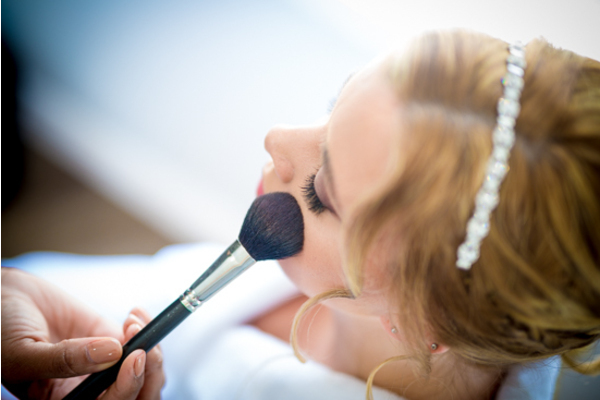 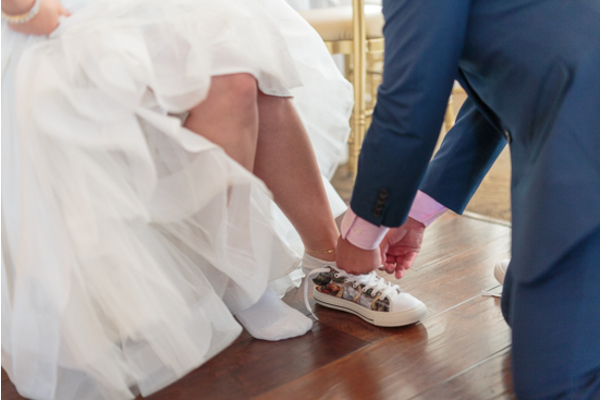 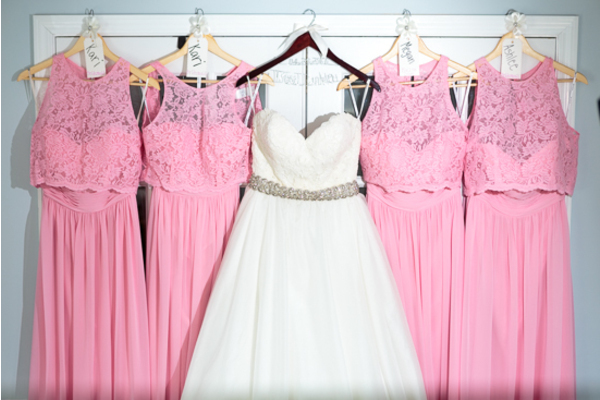 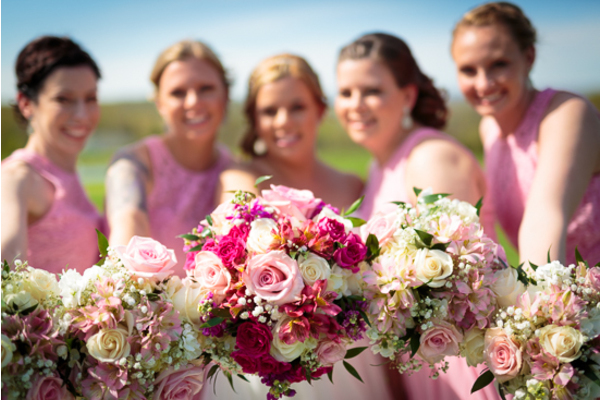 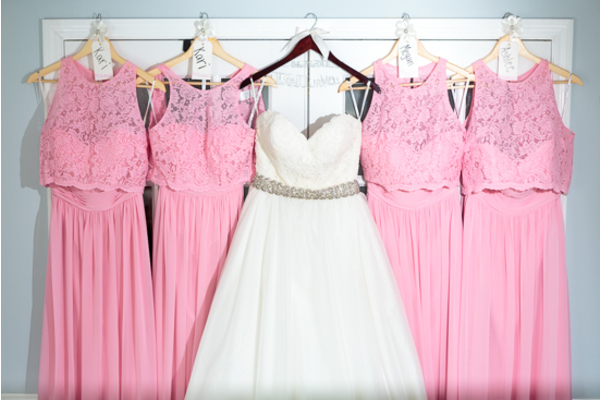 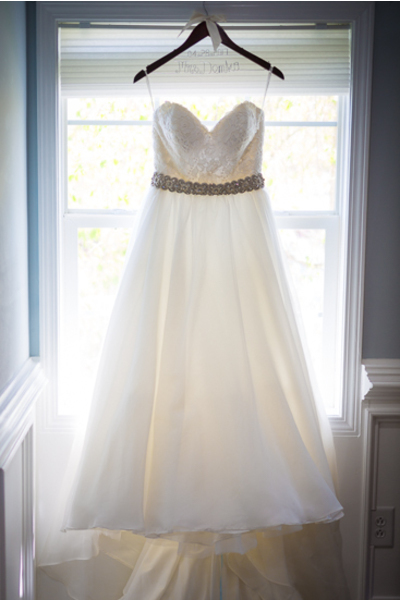 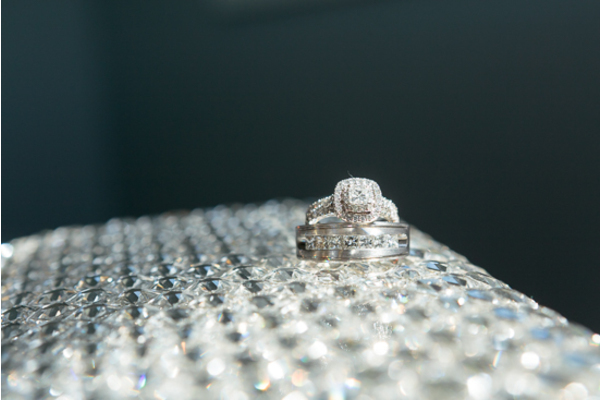 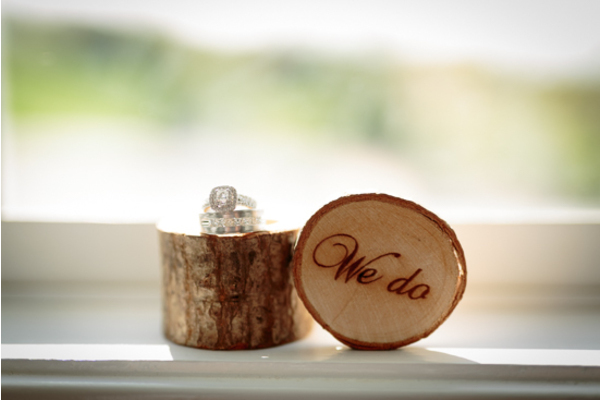 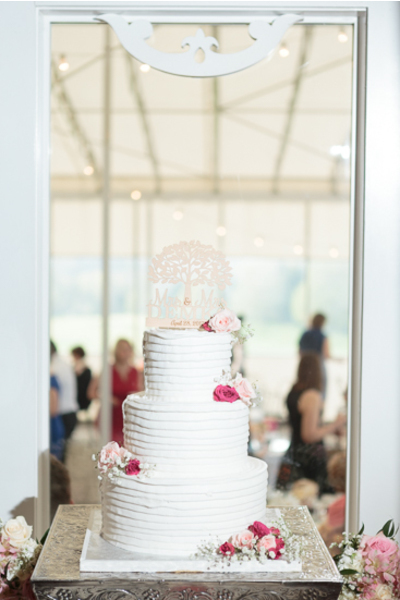 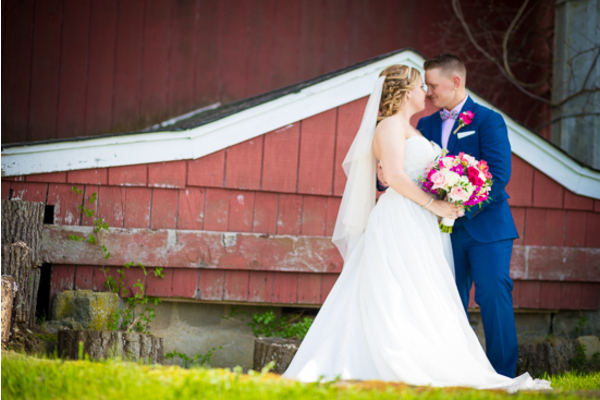 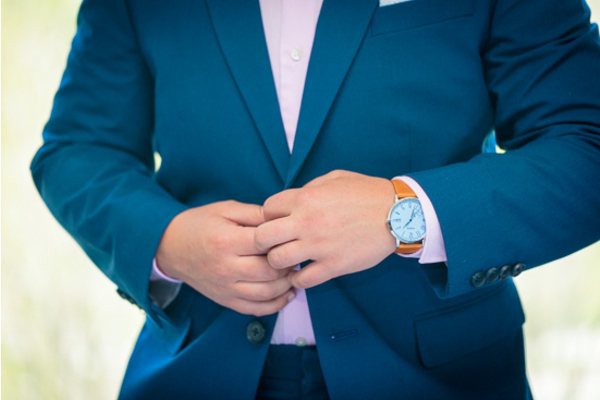 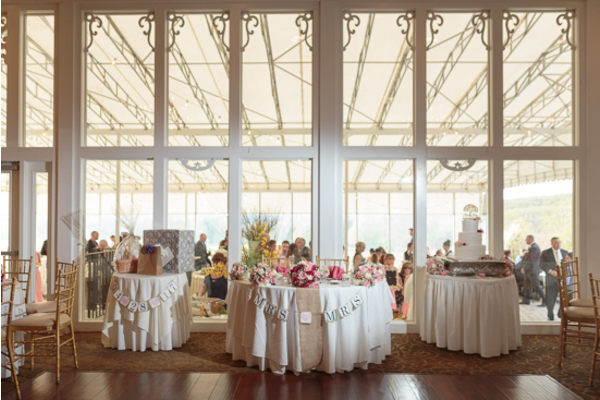 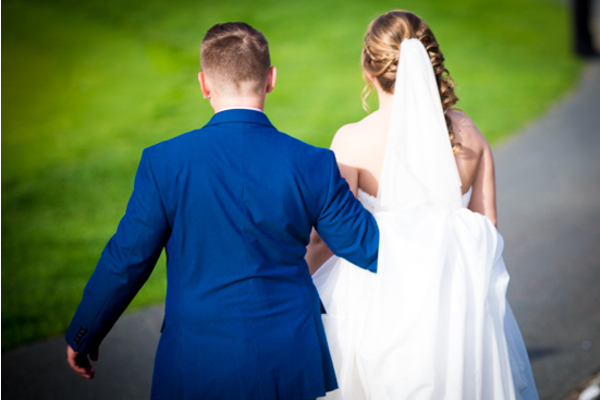 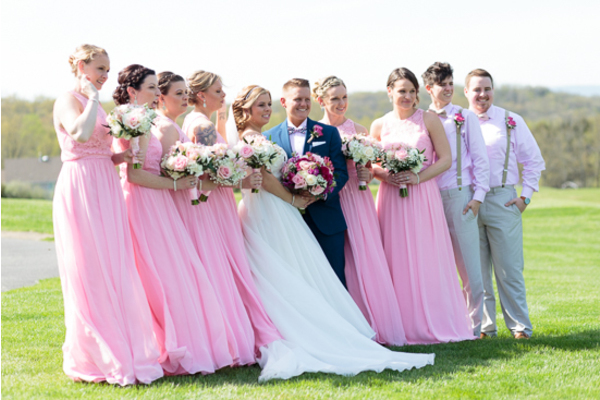 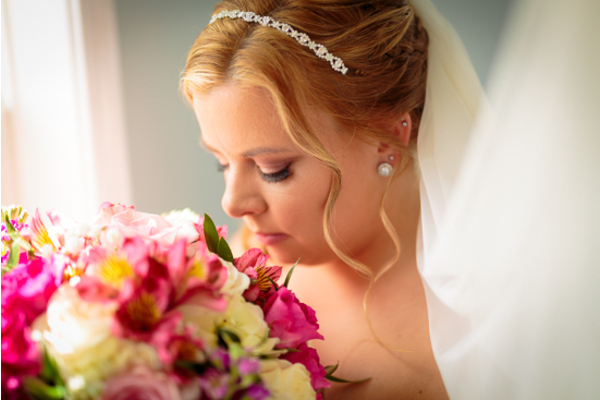 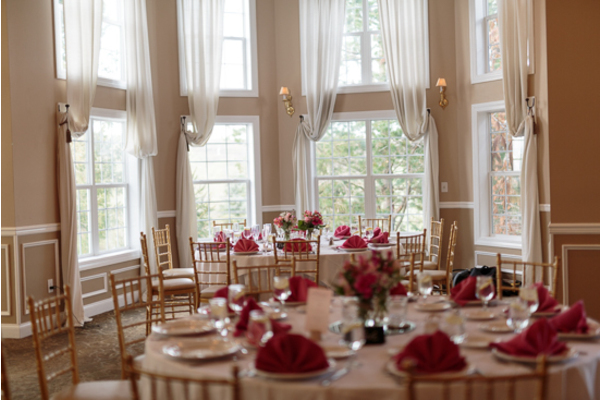 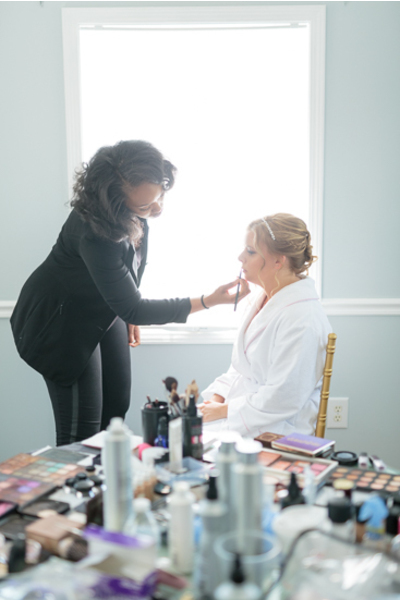 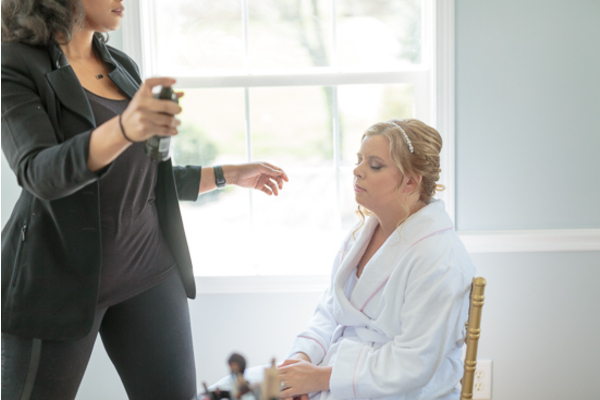 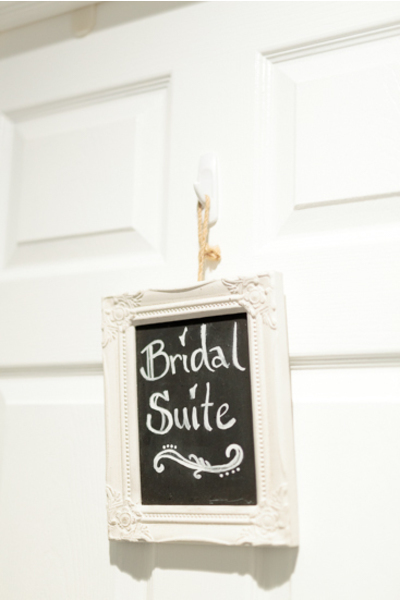 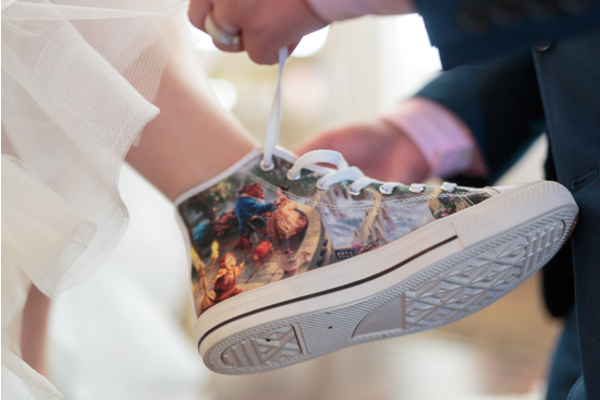 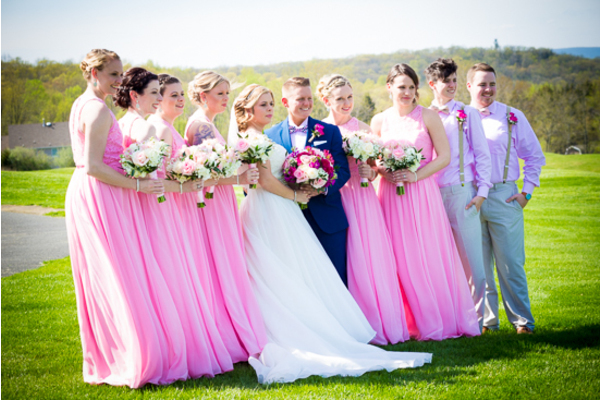 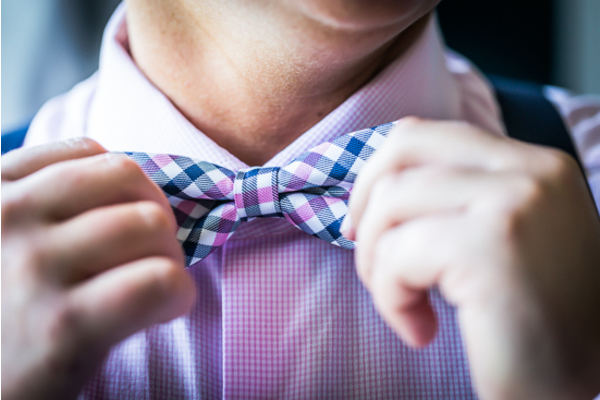 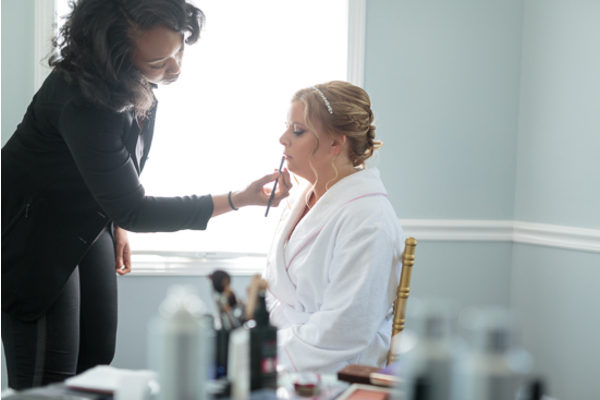 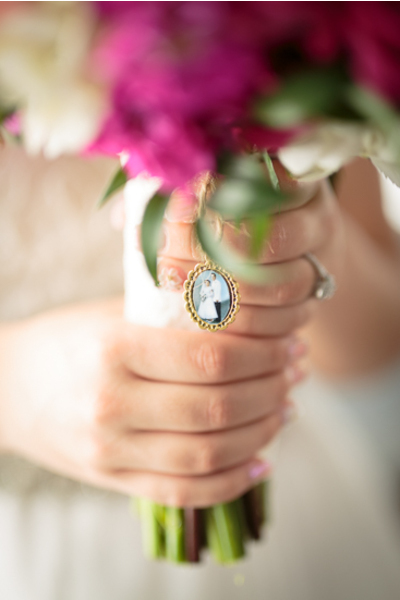 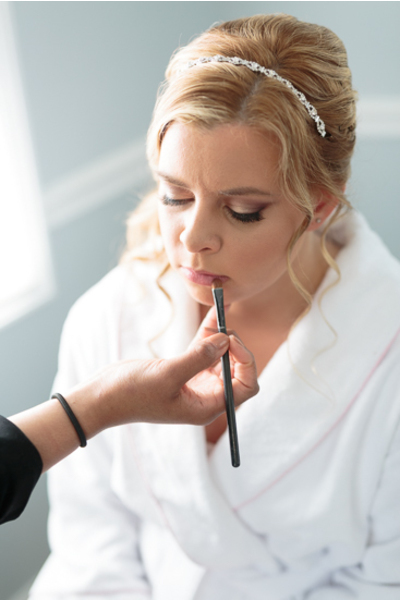 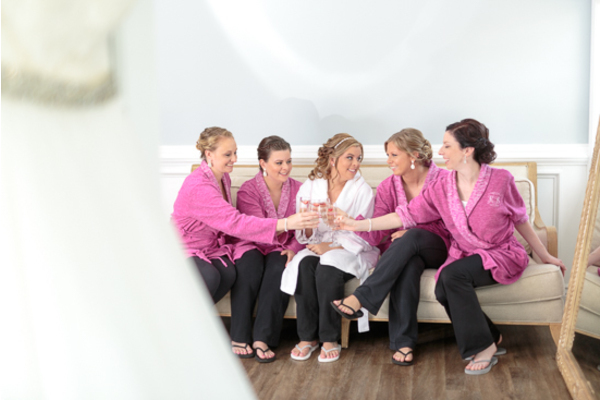 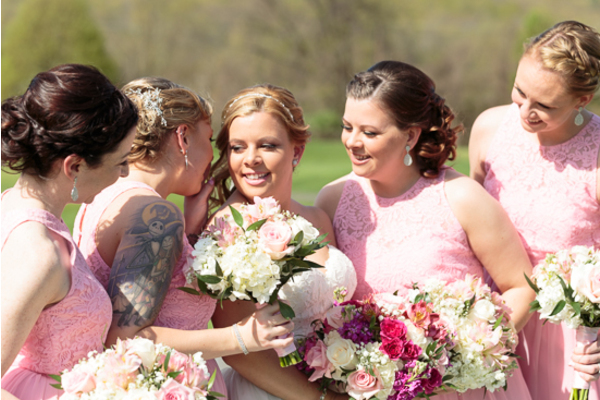 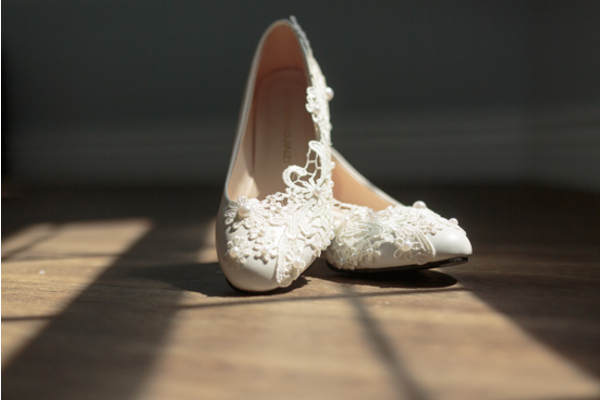 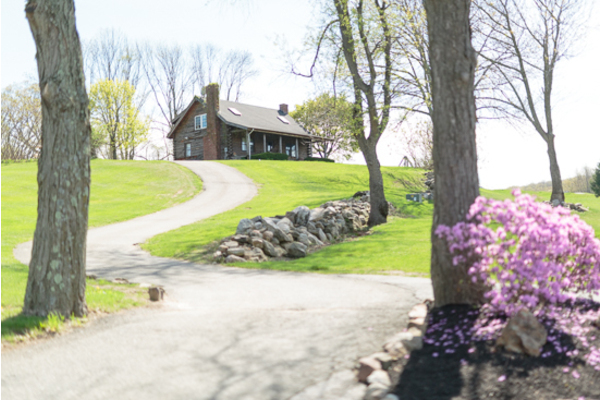 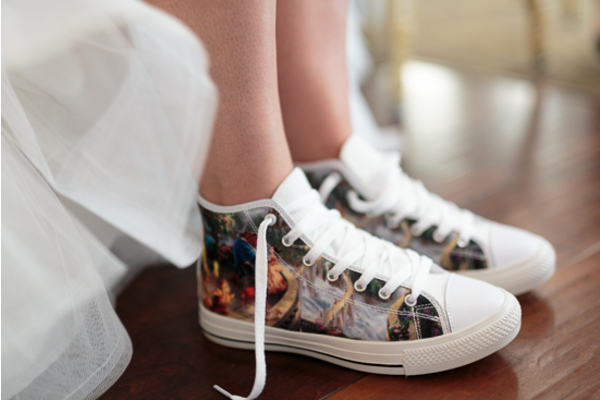 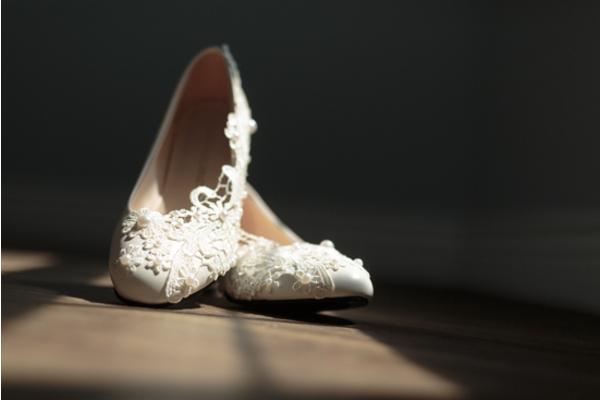 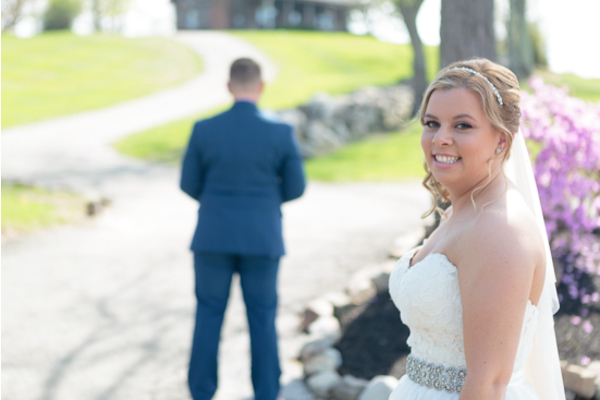 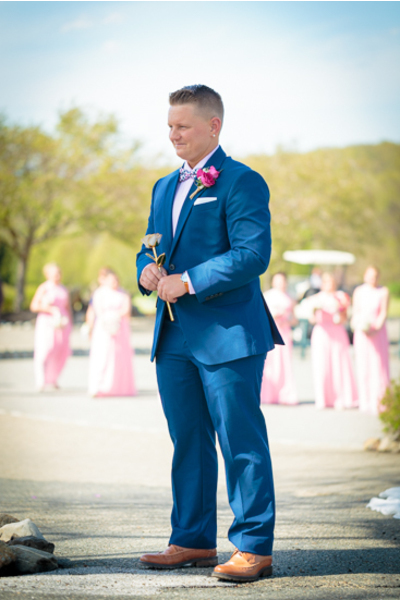 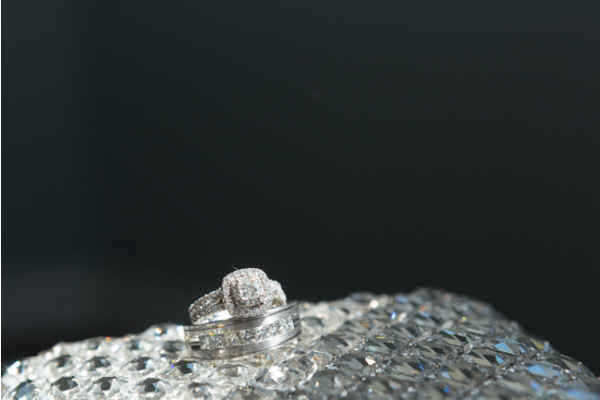 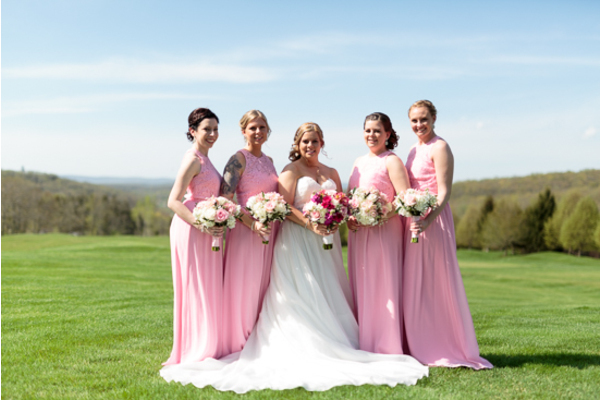 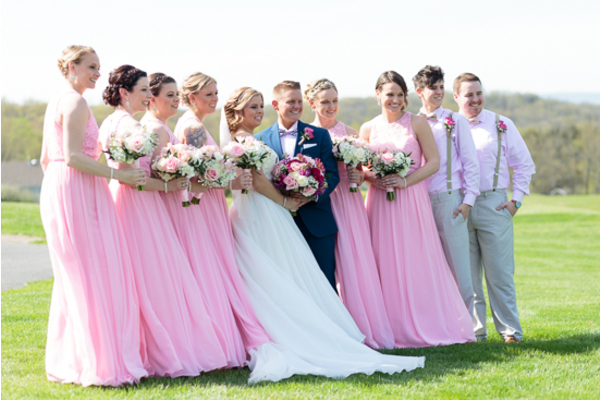 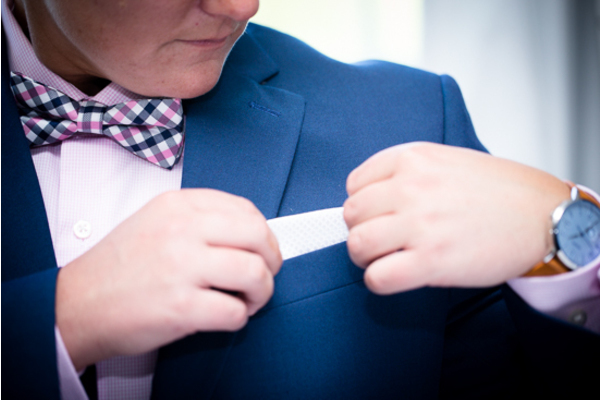 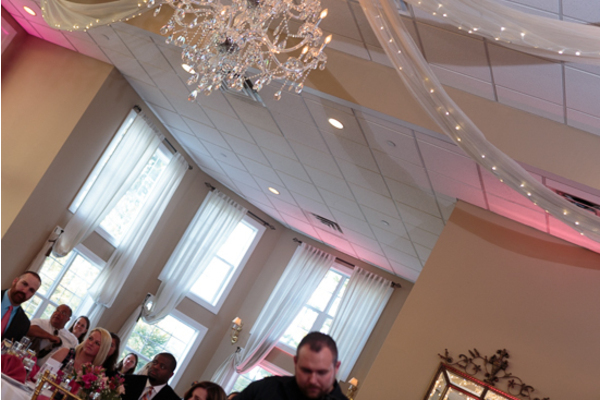 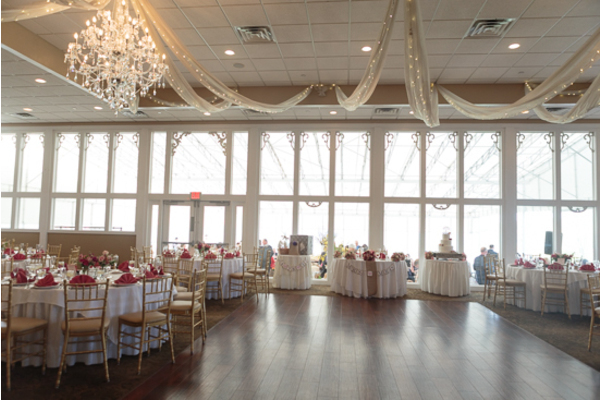 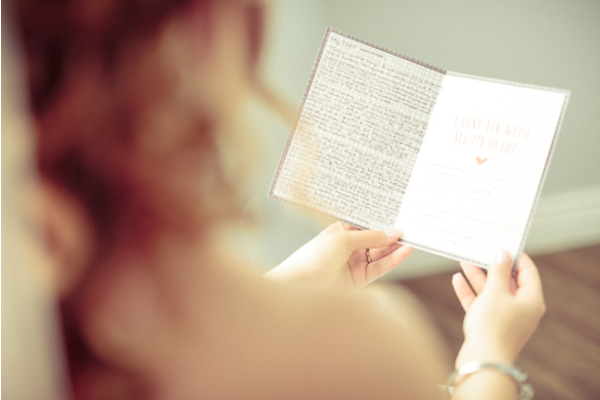 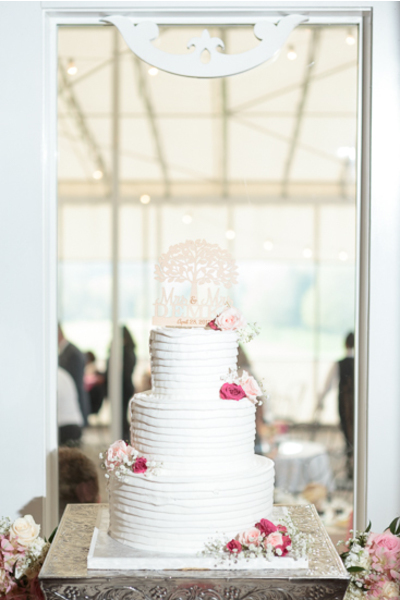 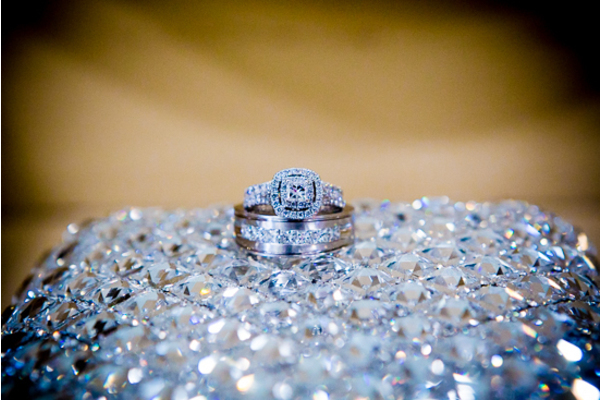 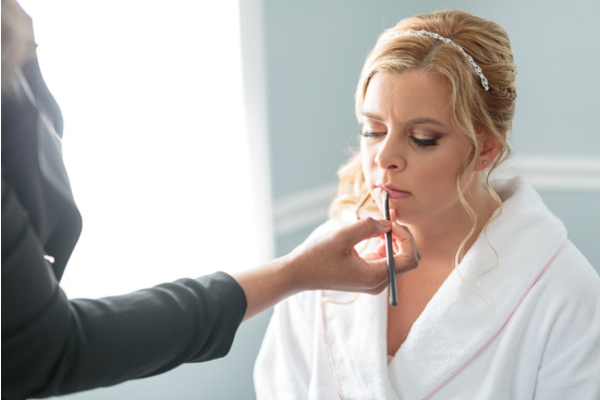 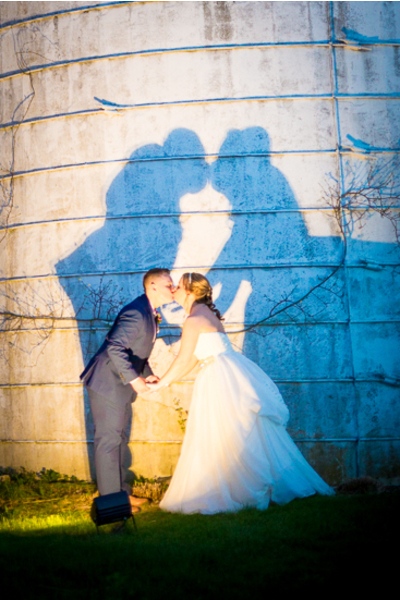 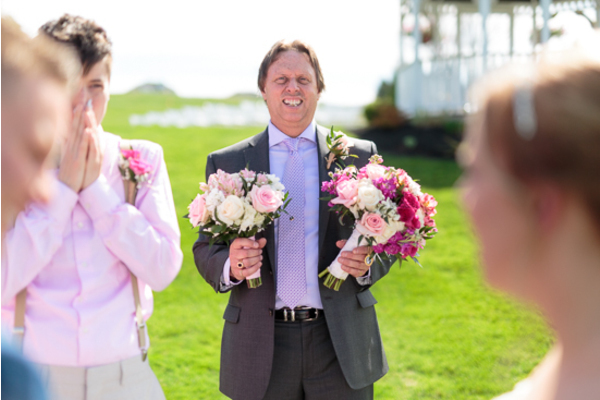 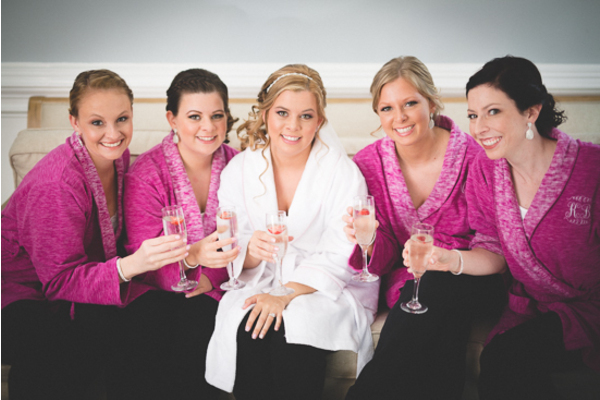 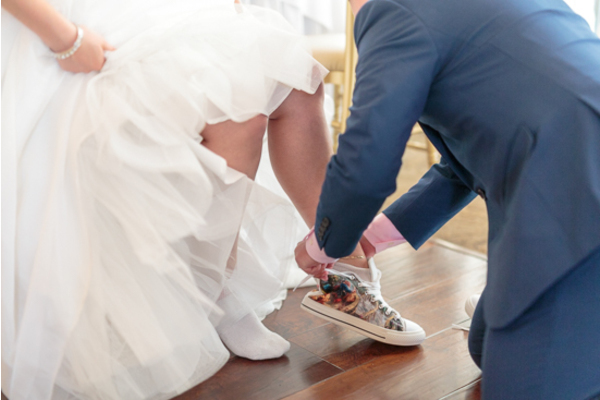 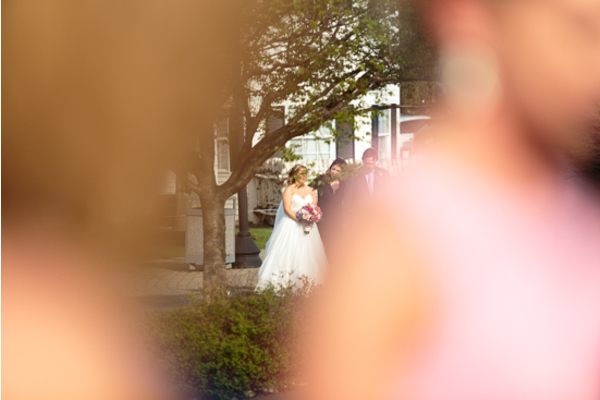 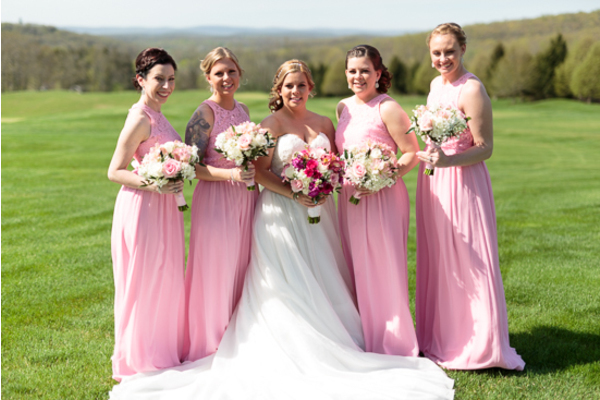 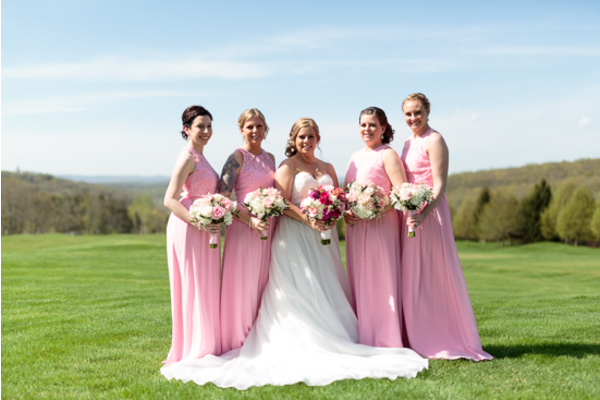 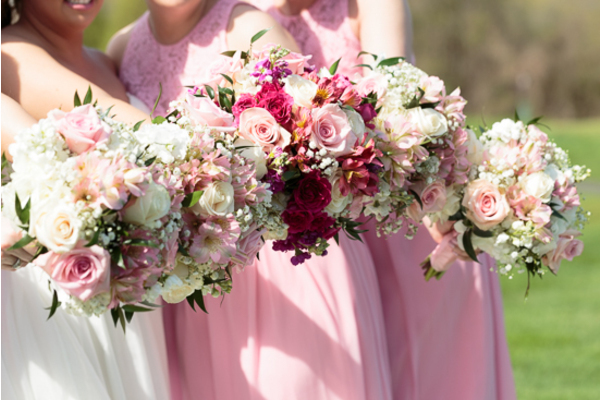 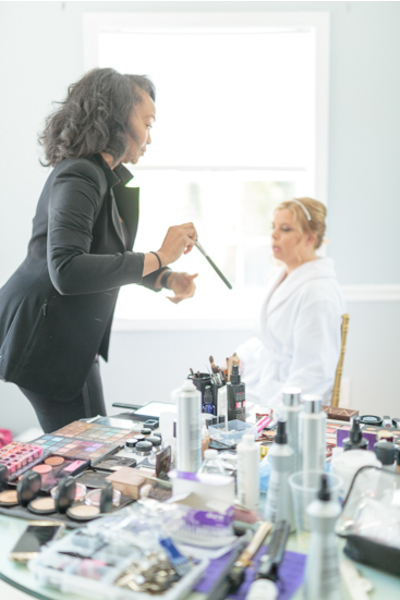 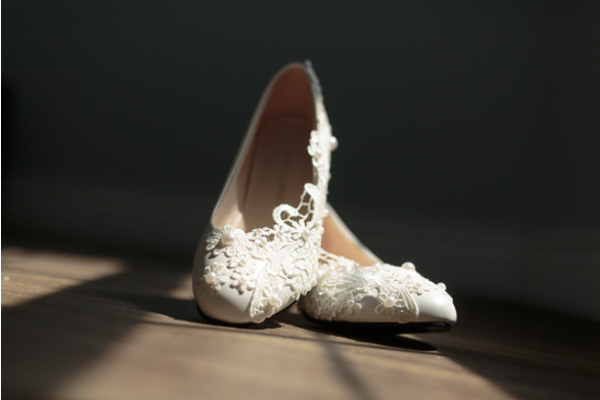 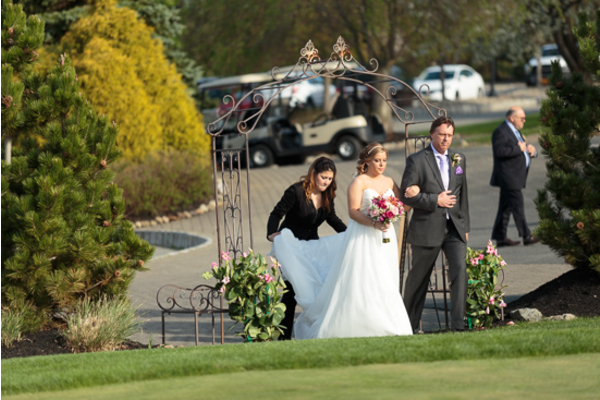 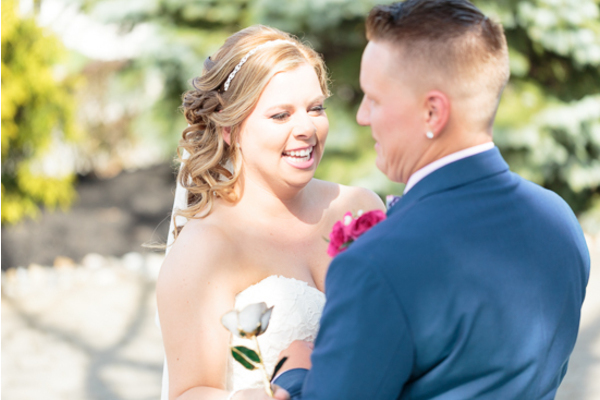 Our NJ Wedding Photographer was there capturing all of these memorable moments from the start. 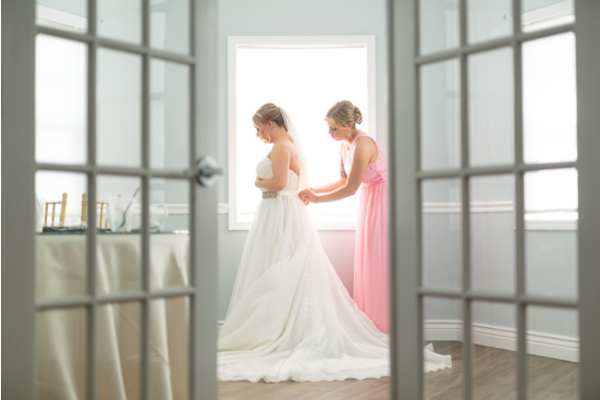 Before the ceremony started the two brides did a first reveal. 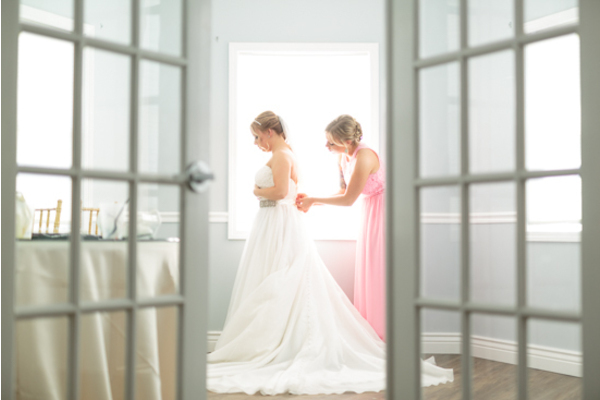 Heather surprised Melissa with her stunning wedding dress. 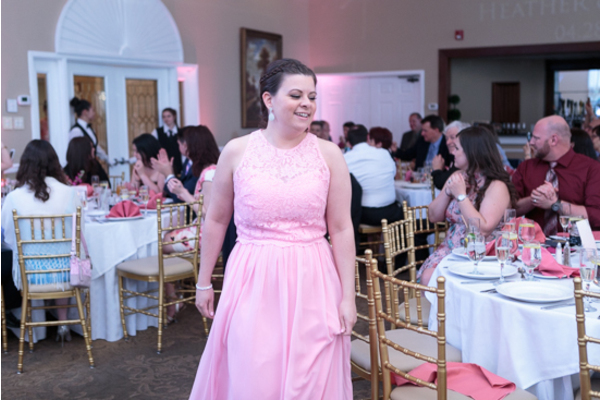 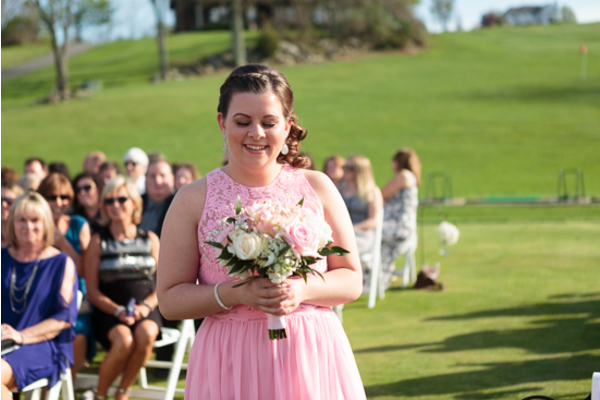 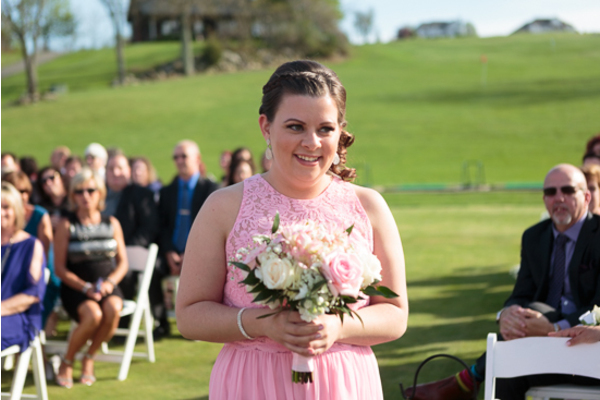 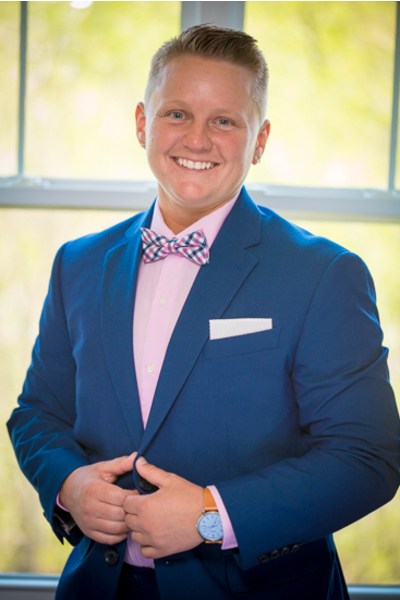 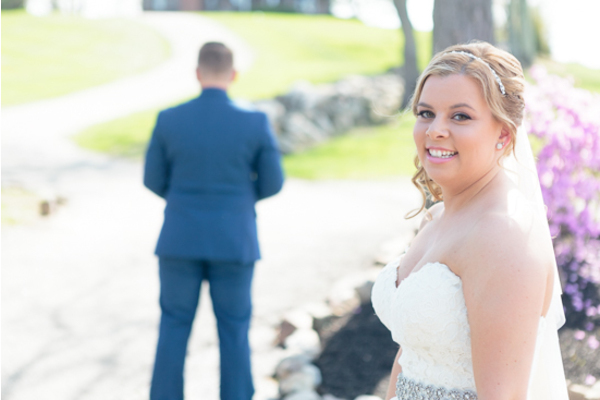 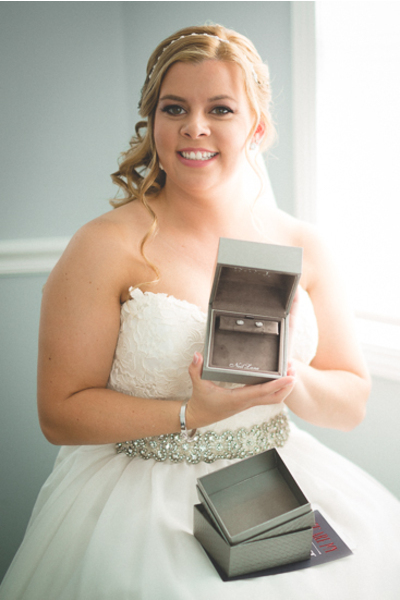 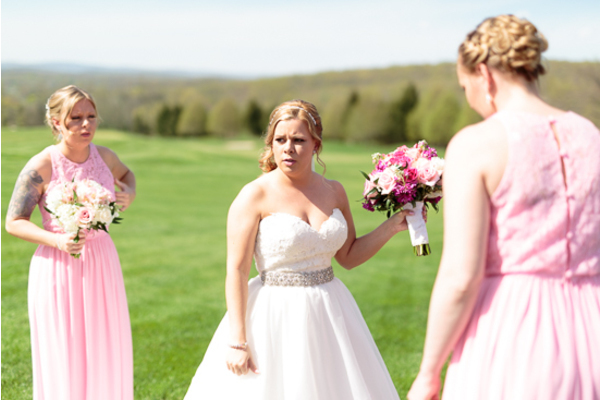 Melissa was in awe upon seeing her soon-to-be bride on their wedding day. 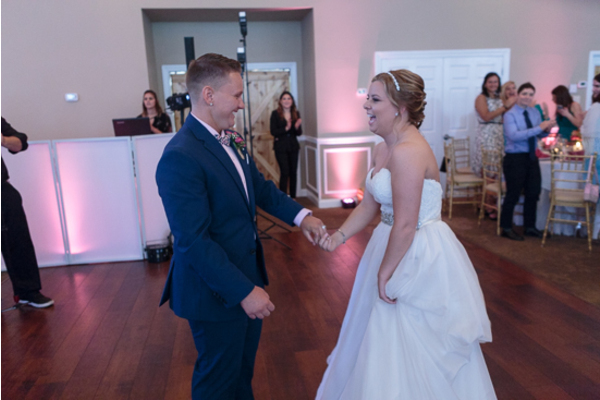 It was finally time to start the ceremony! 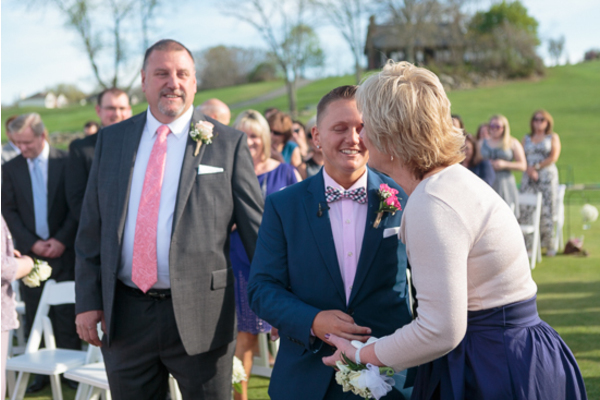 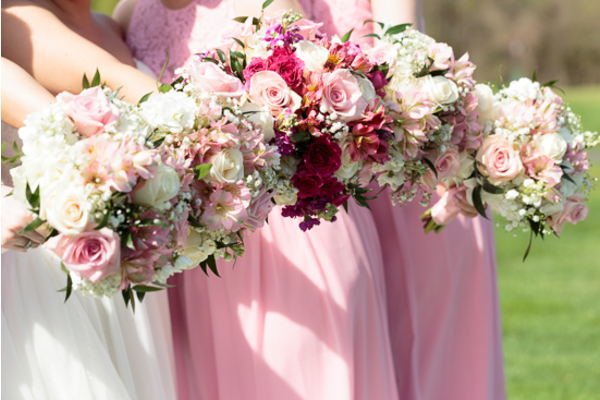 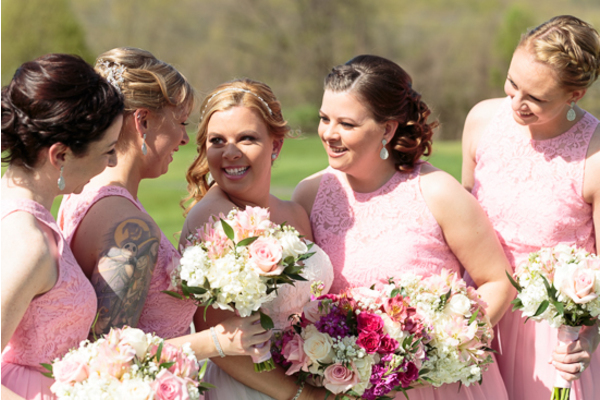 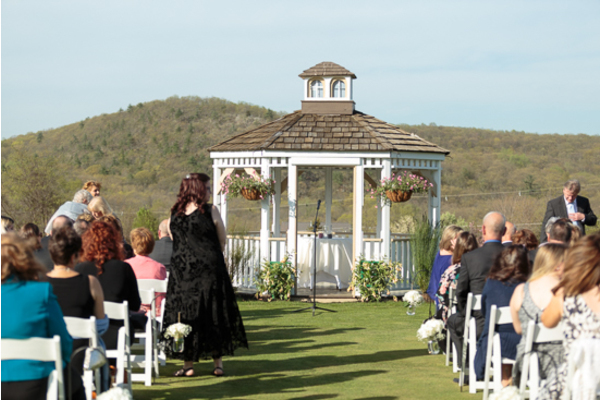 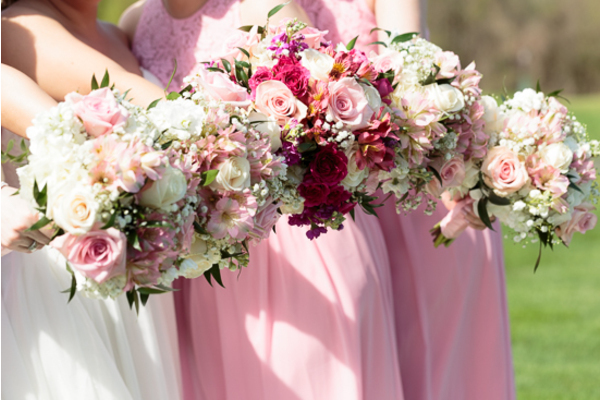 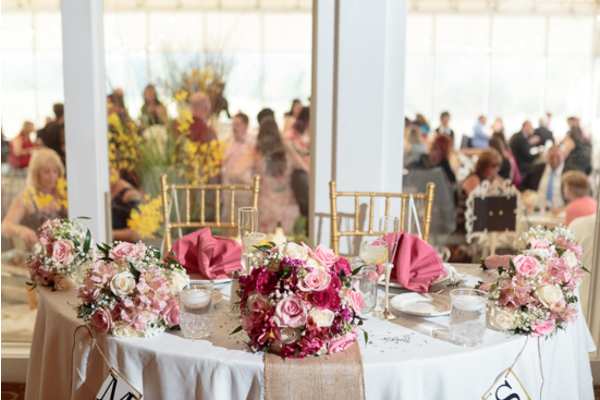 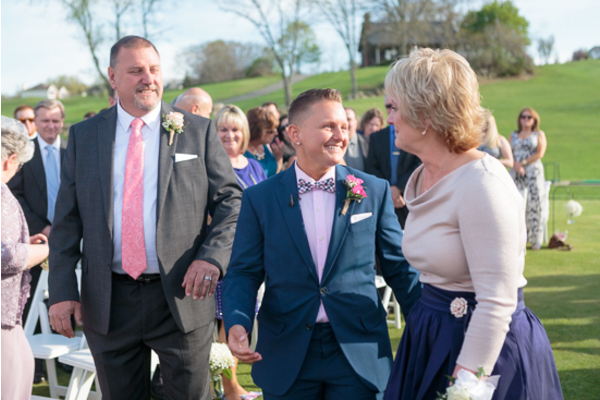 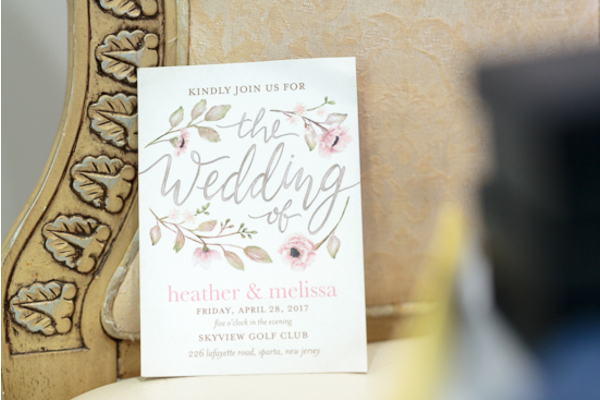 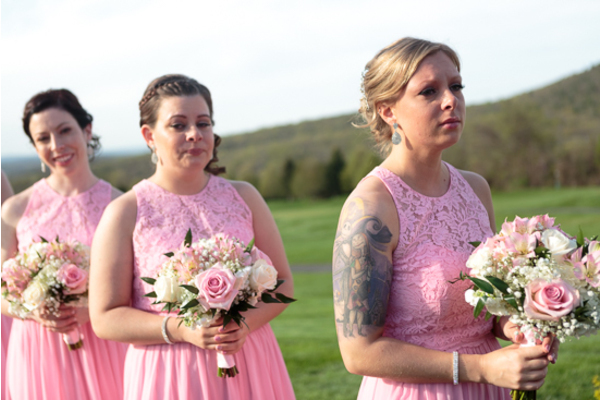 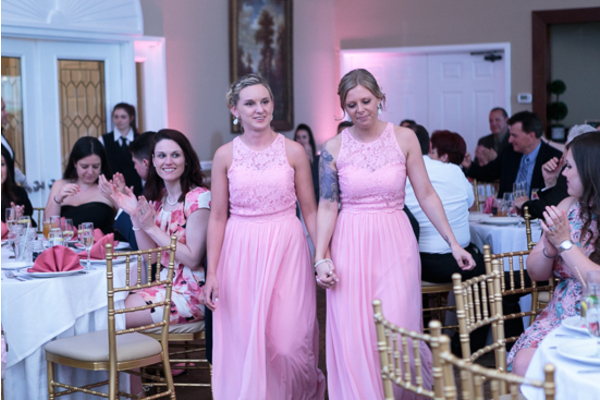 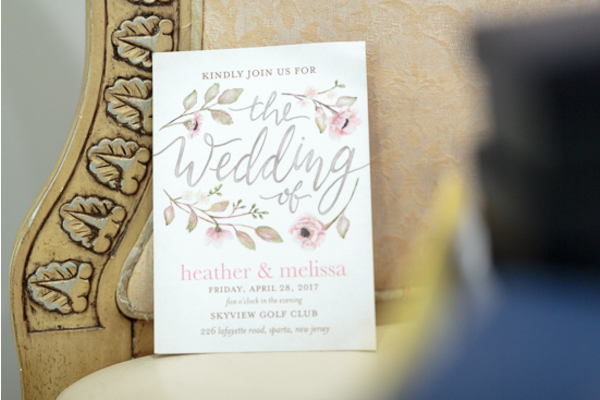 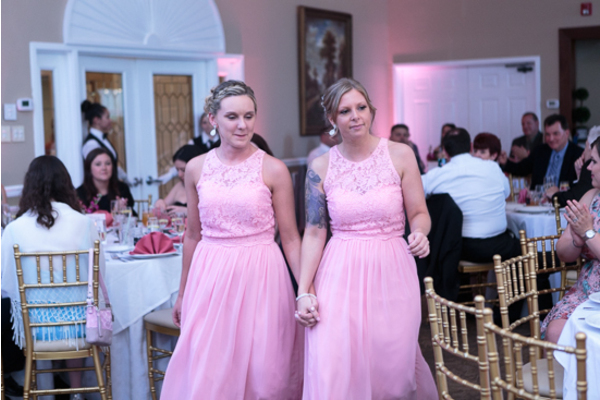 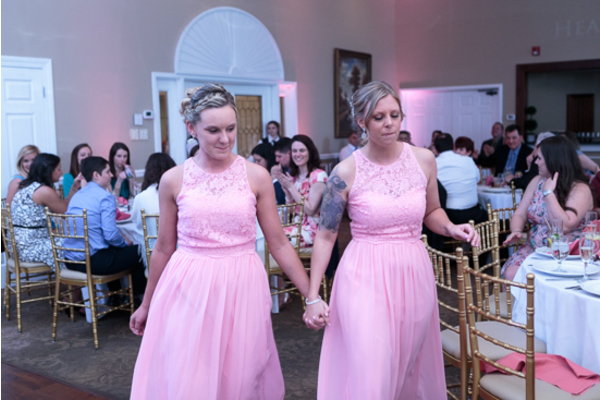 Heather and Melissa had an absolutely beautiful ceremony with all of their closest friends and family surrounding them. 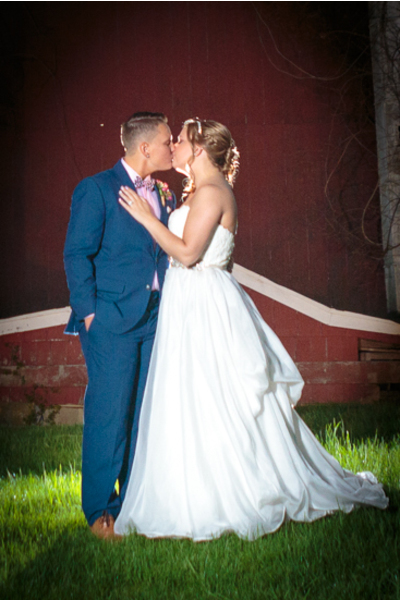 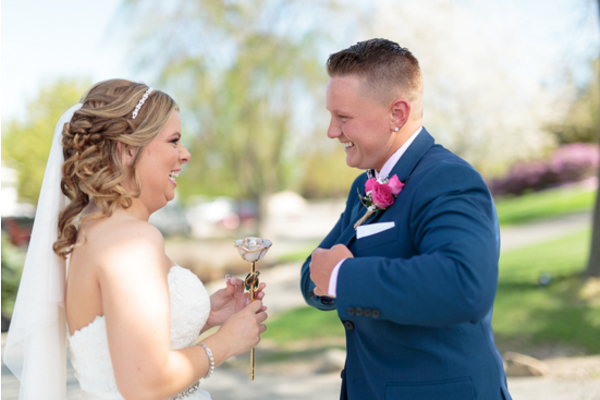 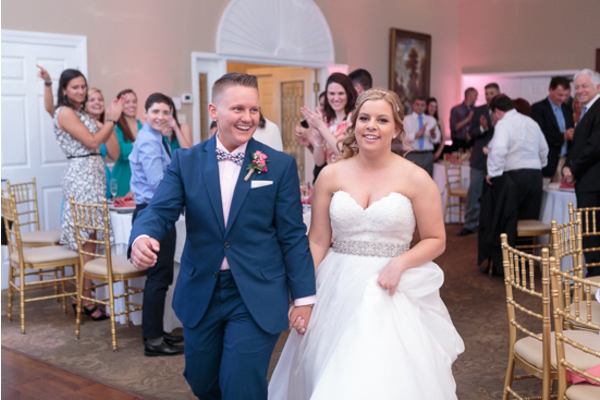 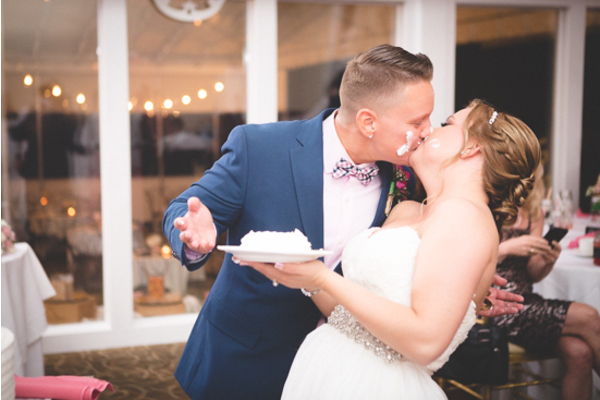 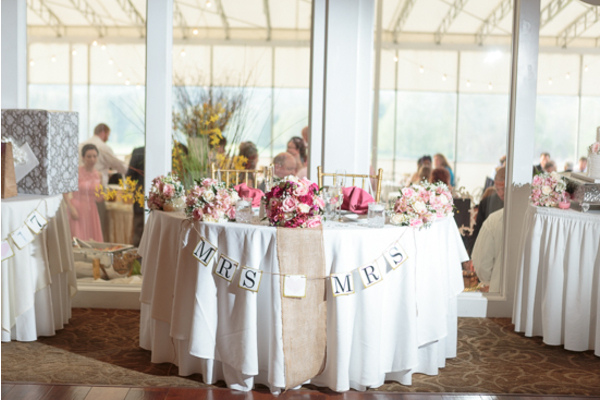 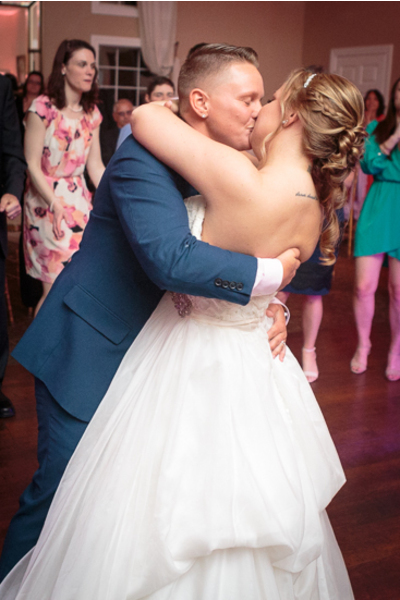 Once they shared their first kiss they were officially Mrs. and Mrs. and it was time for the party to begin! 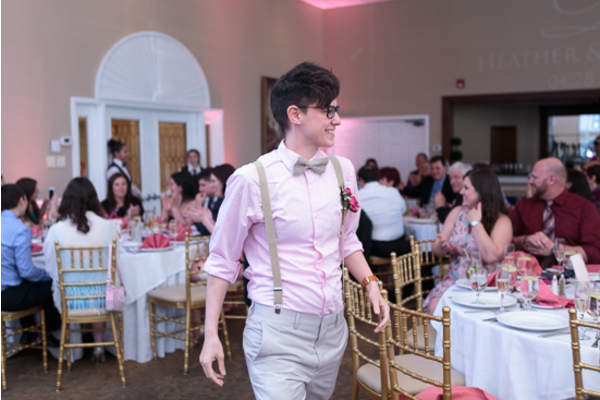 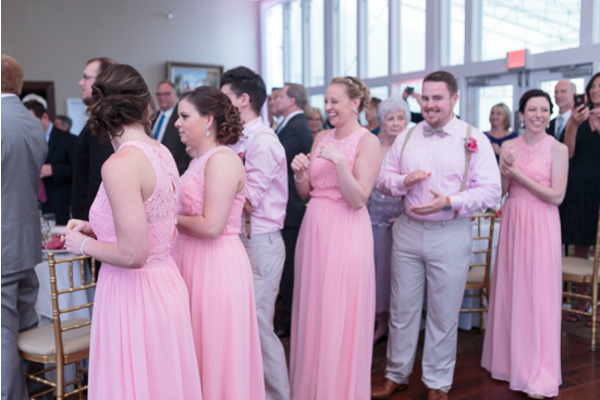 The reception was off to a great start when the whole bridal party surprised everyone with a choreographed dance. 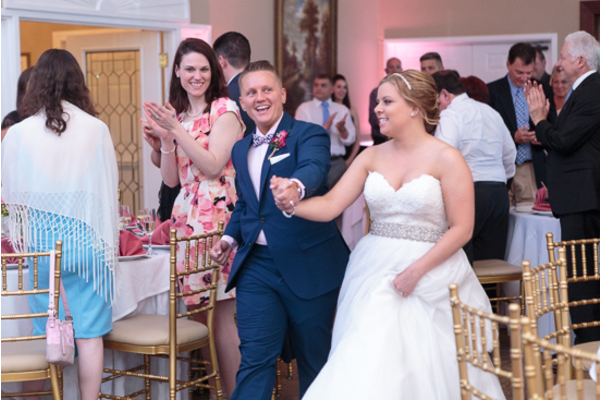 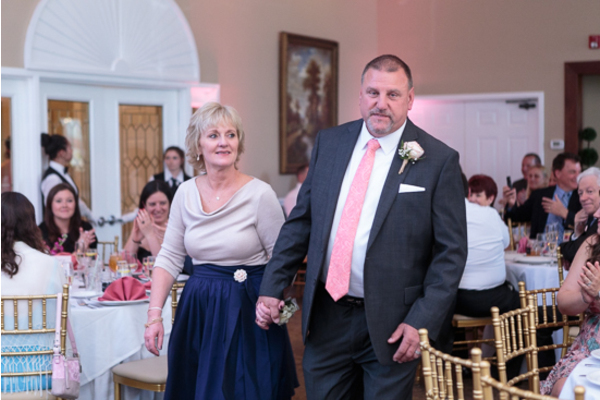 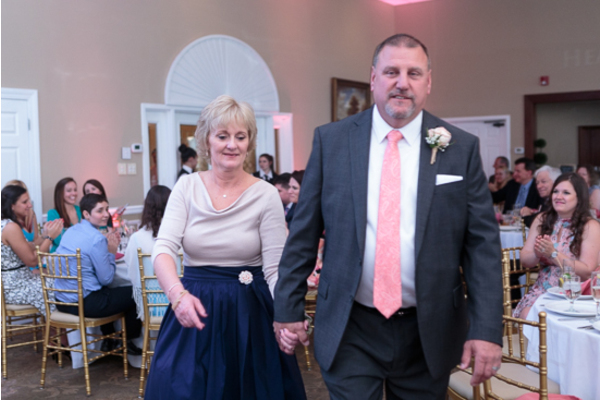 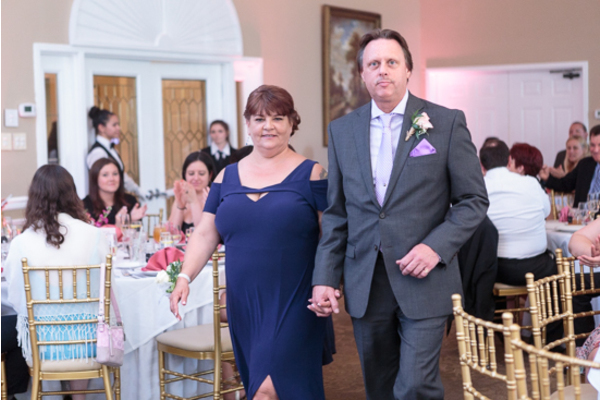 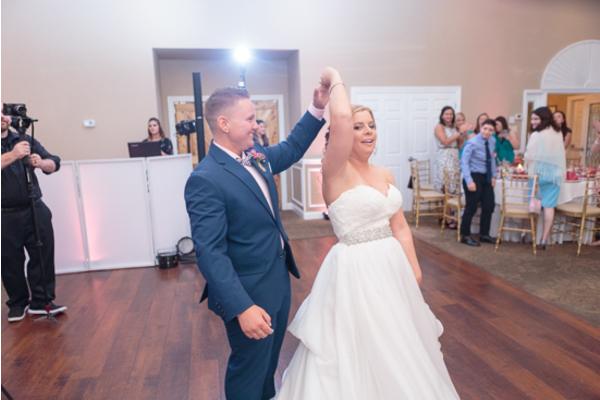 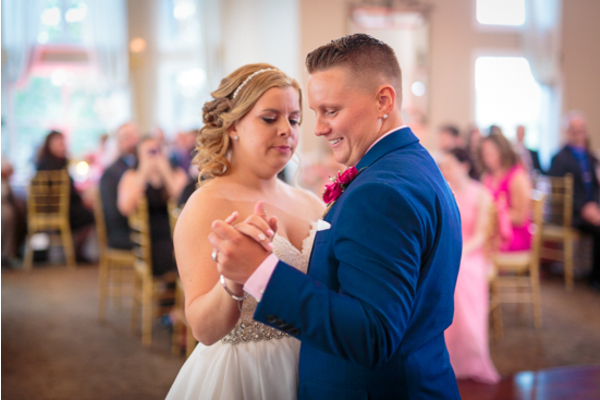 All of their friends and family were up, moving and having fun dancing to the music provided by our NJ Wedding DJ. 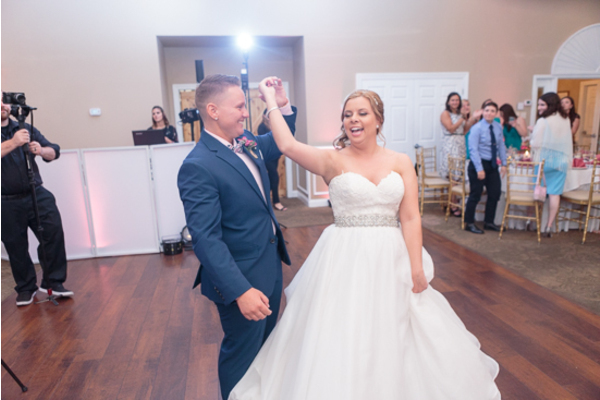 Everyone had a blast! 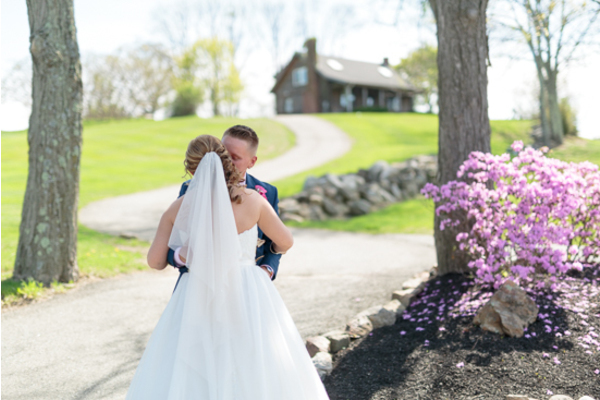 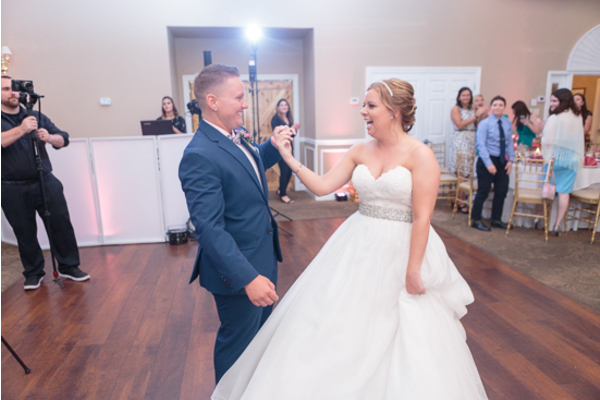 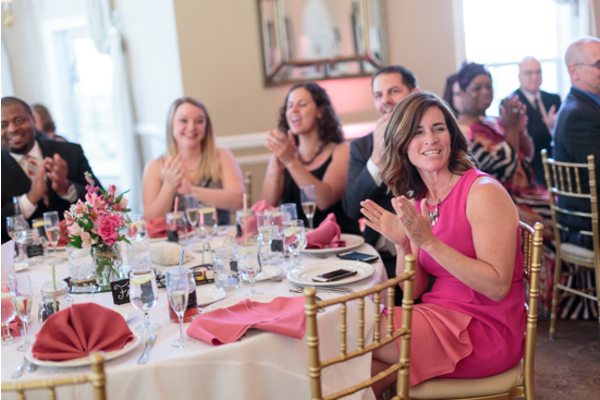 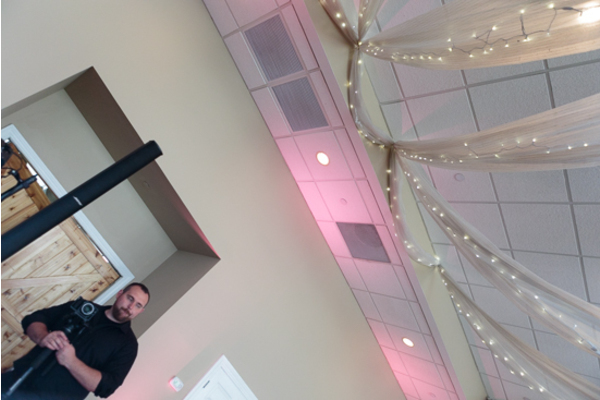 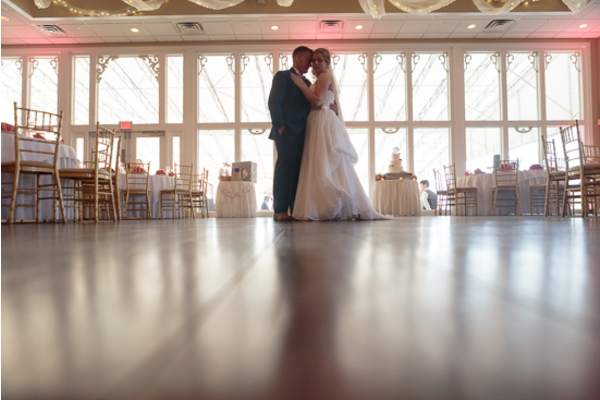 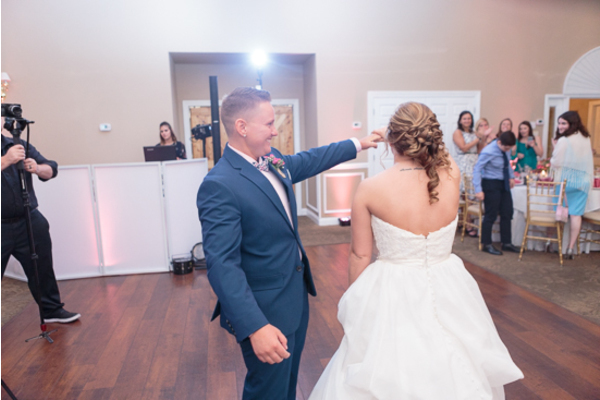 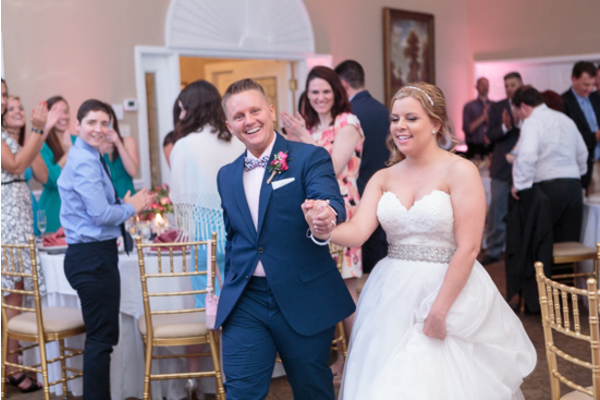 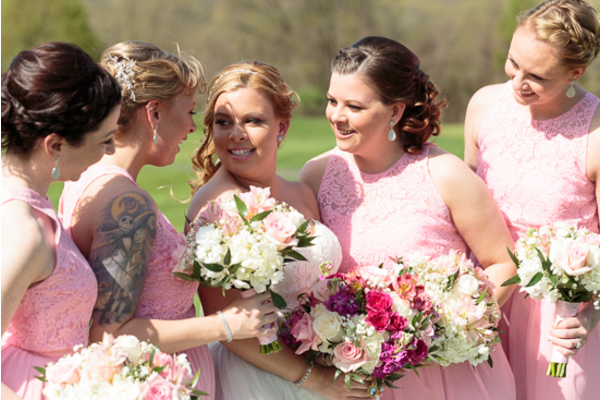 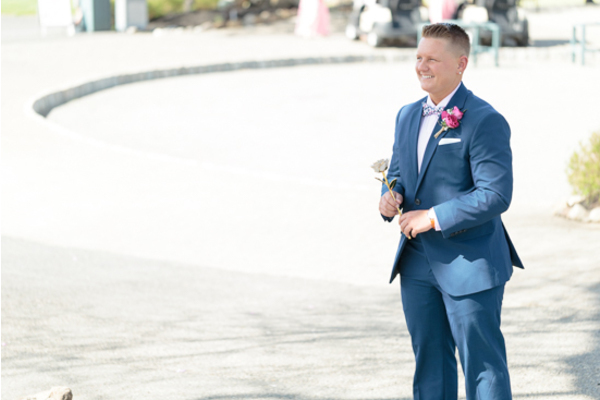 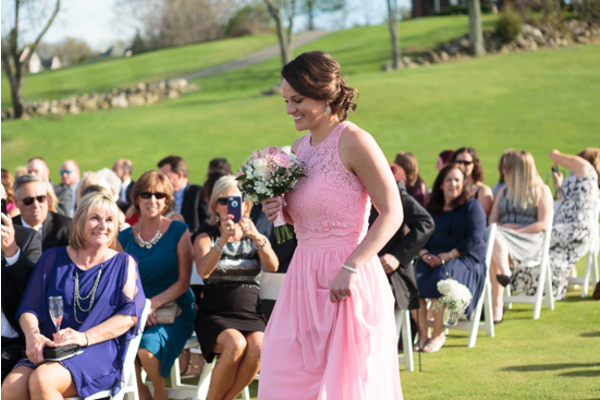 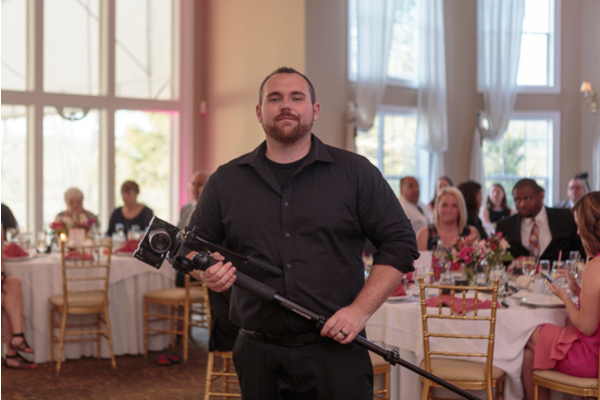 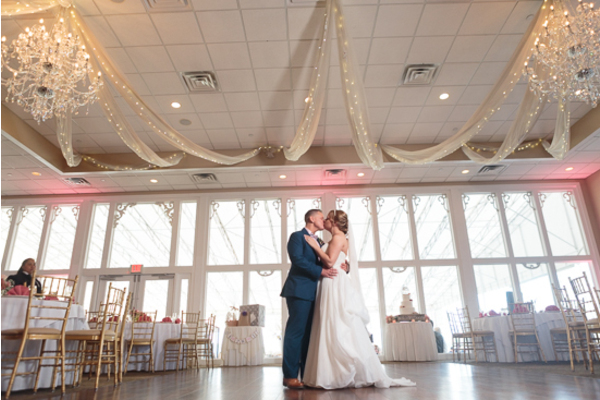 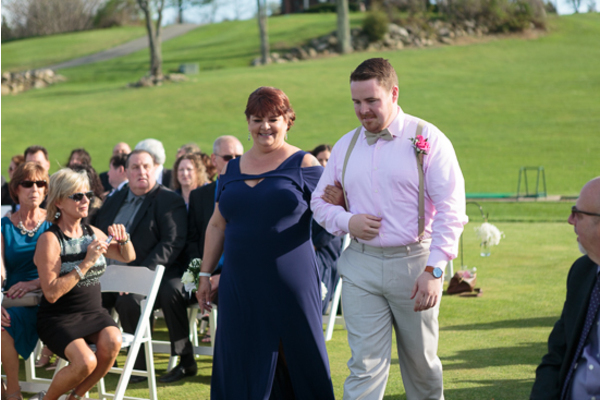 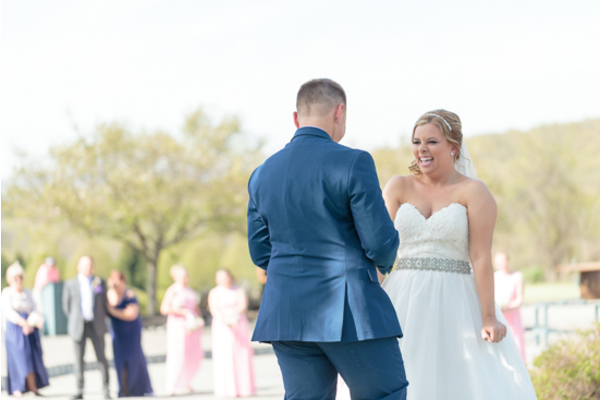 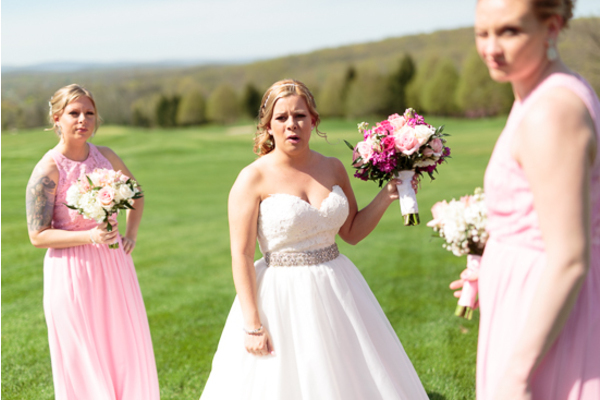 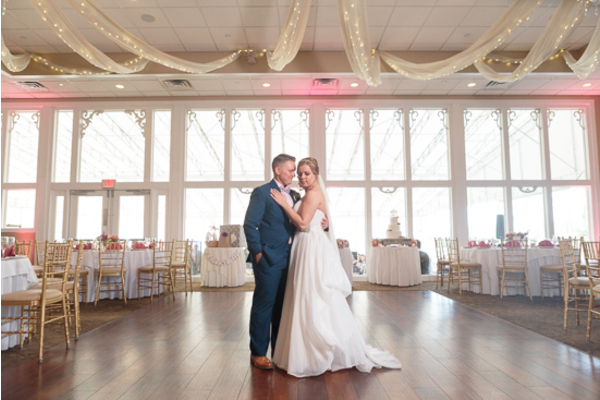 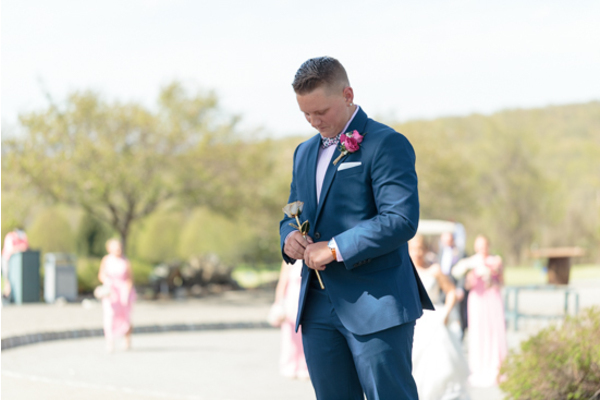 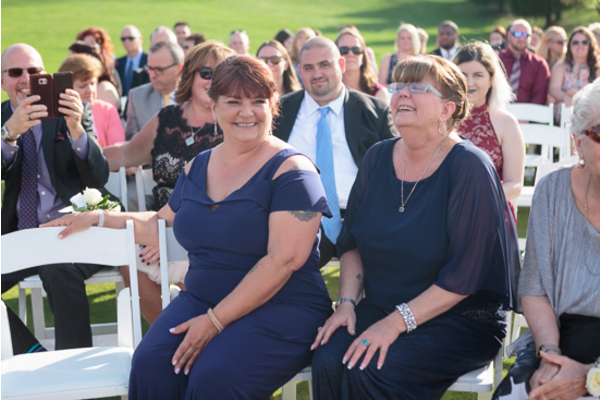 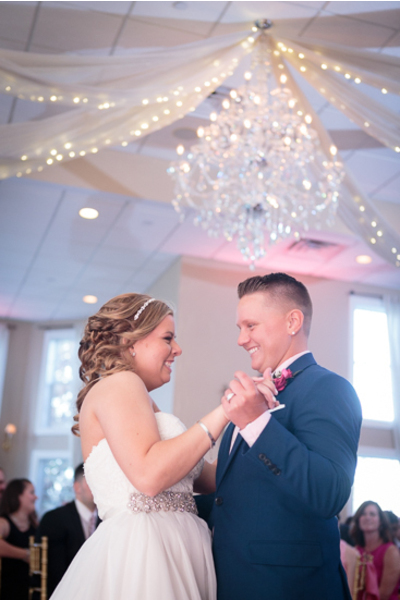 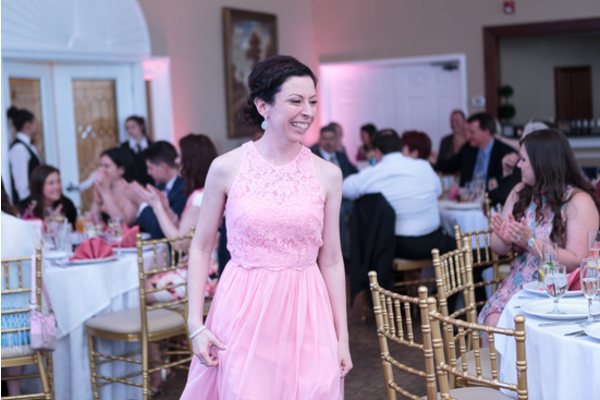 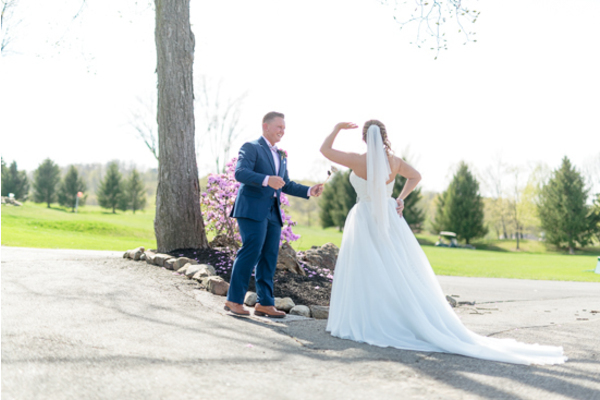 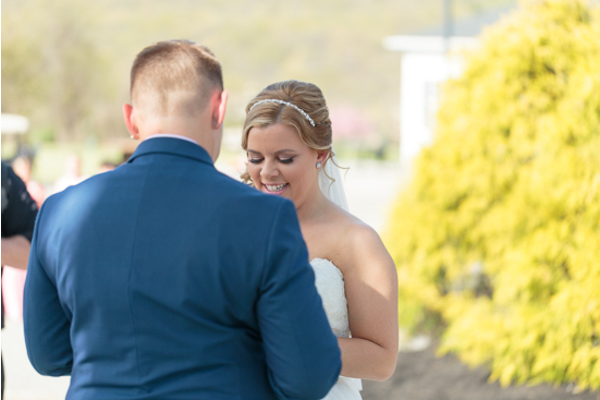 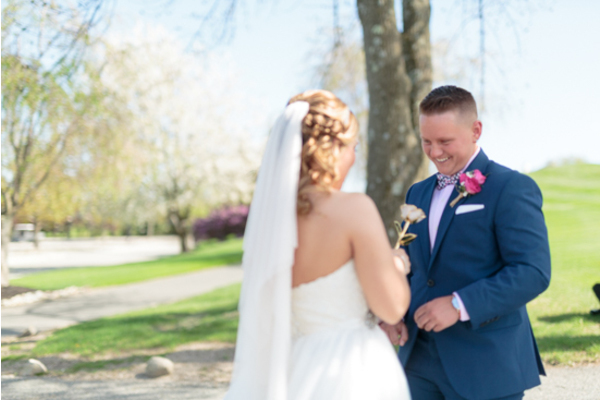 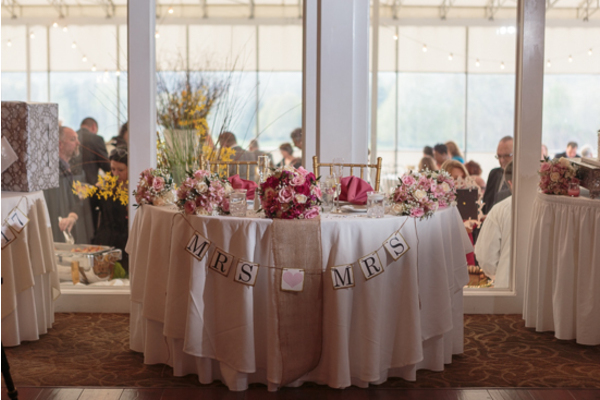 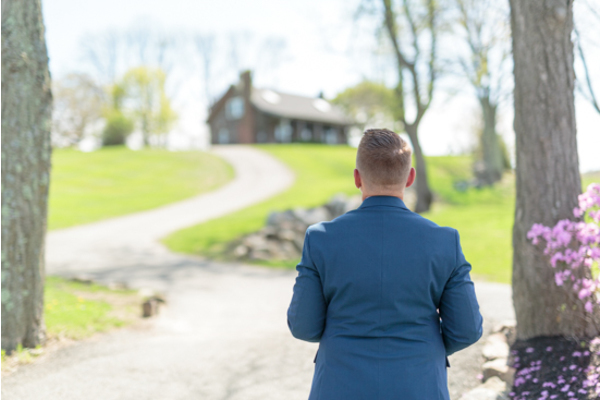 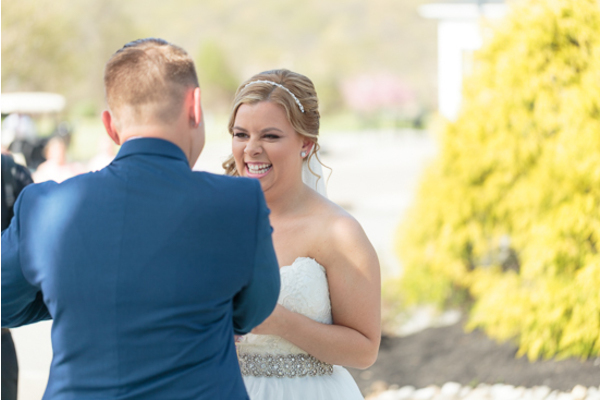 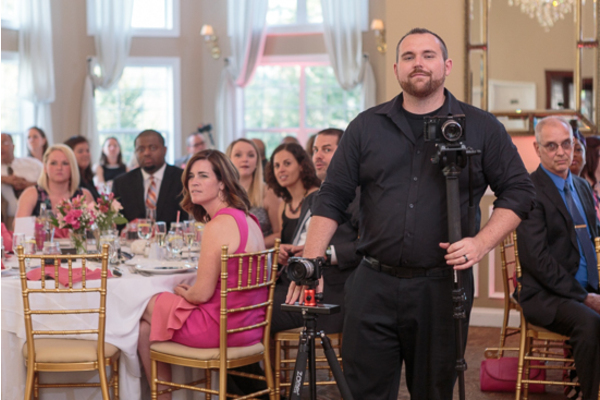 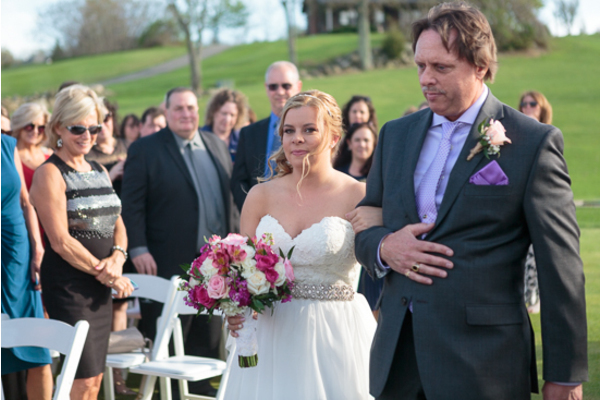 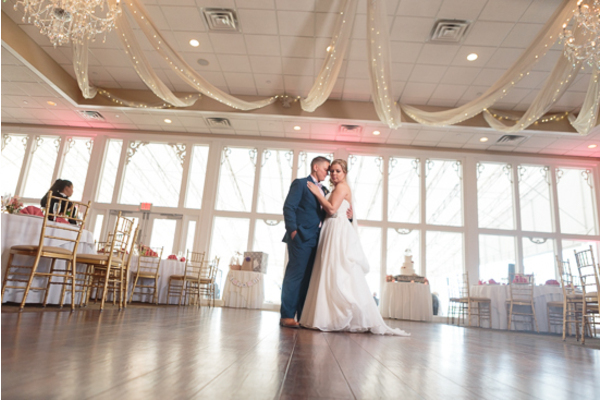 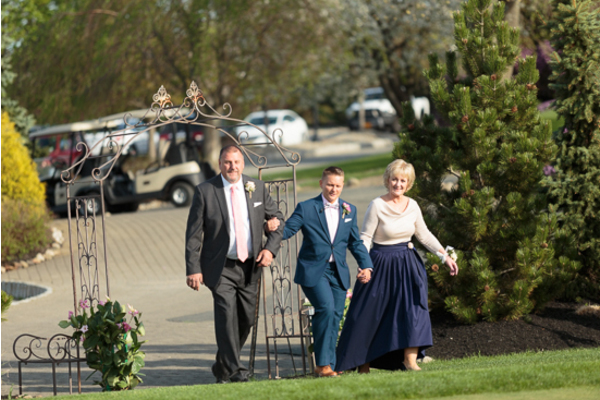 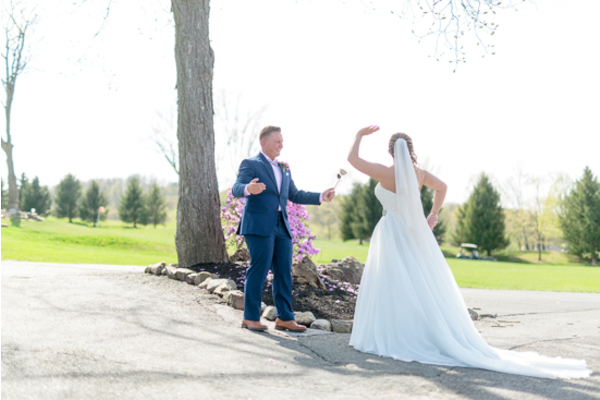 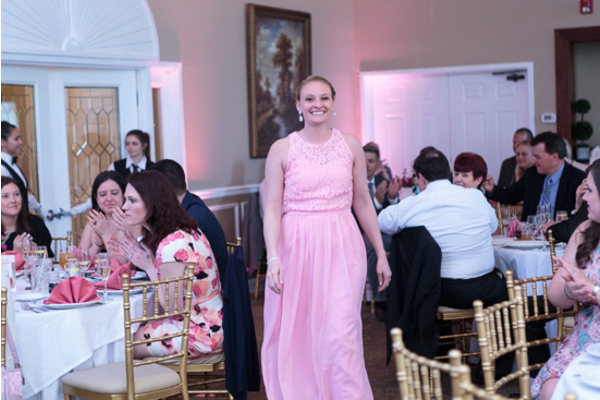 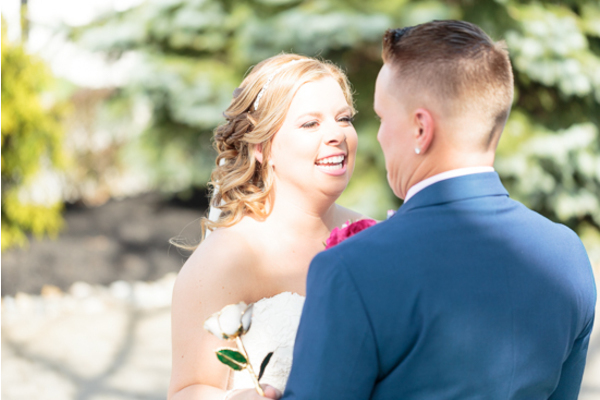 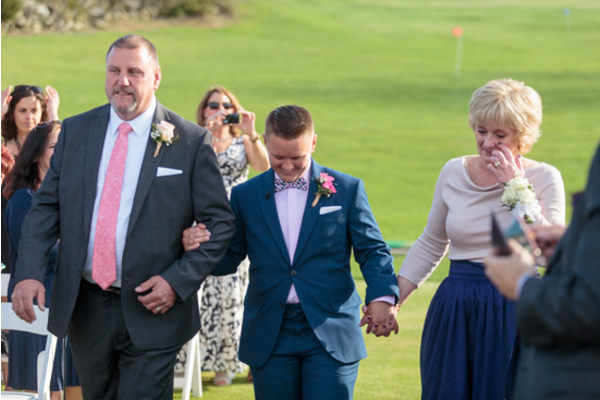 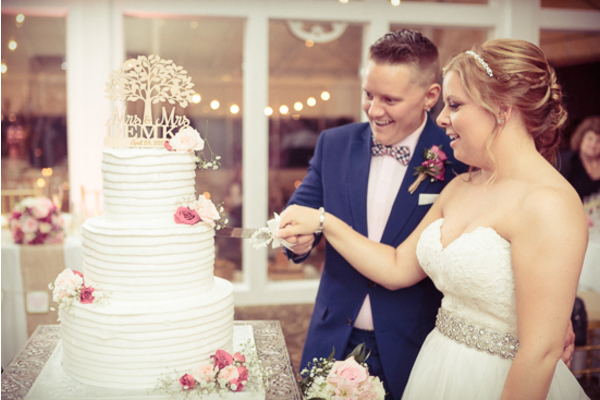 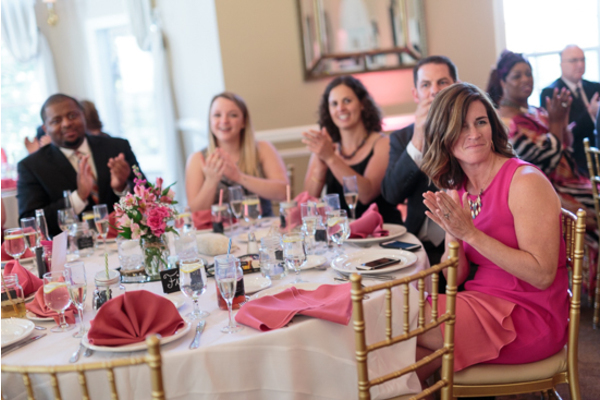 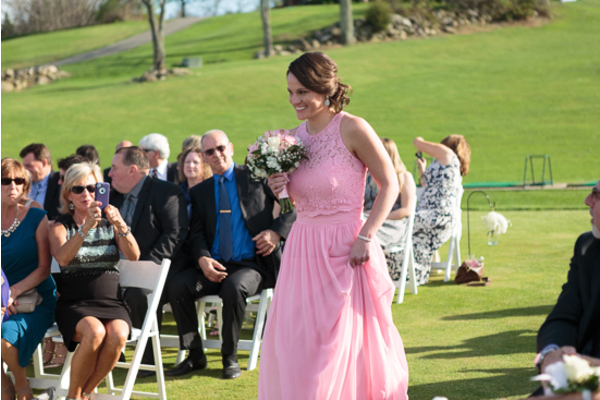 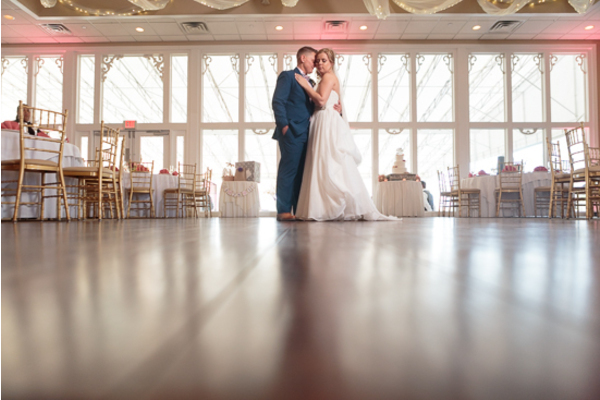 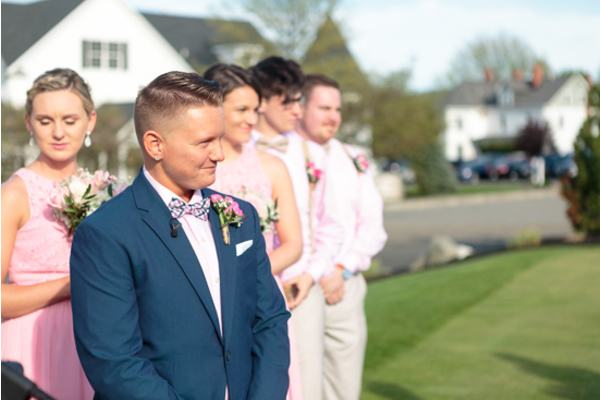 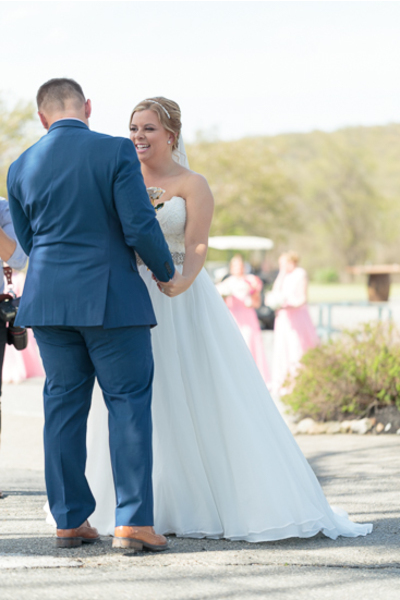 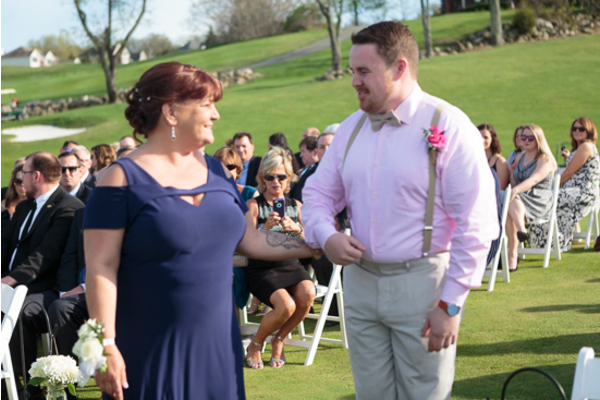 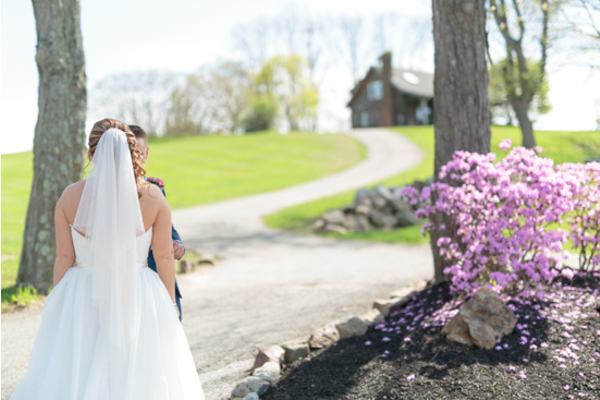 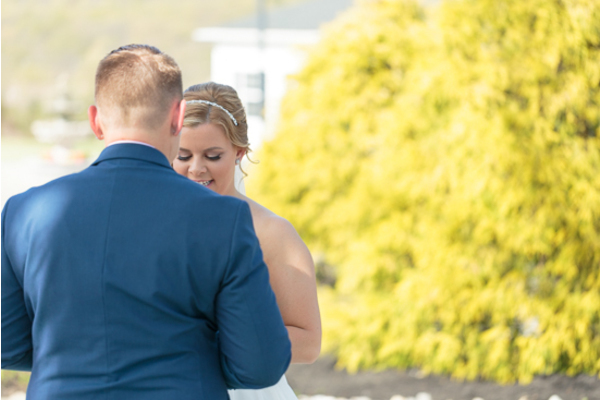 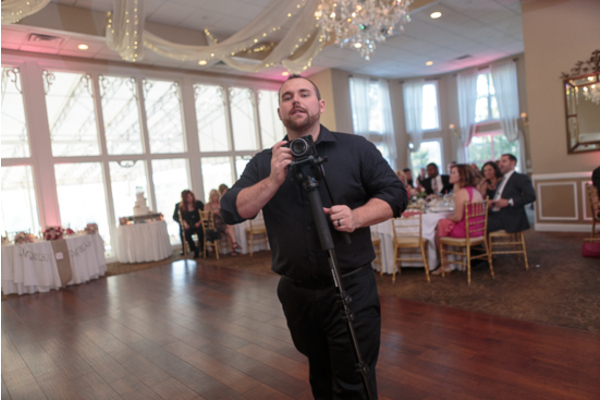 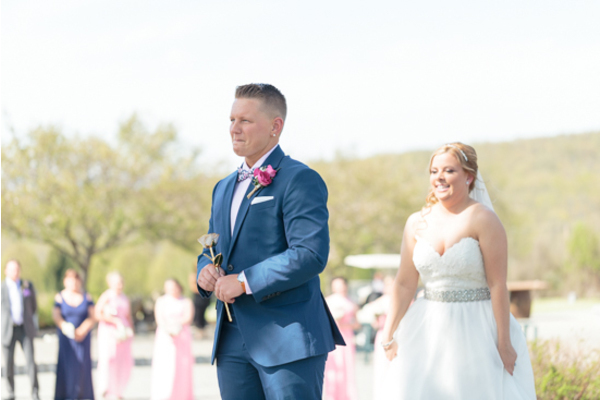 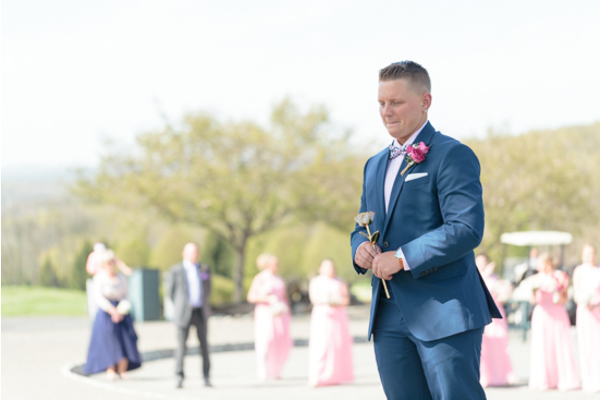 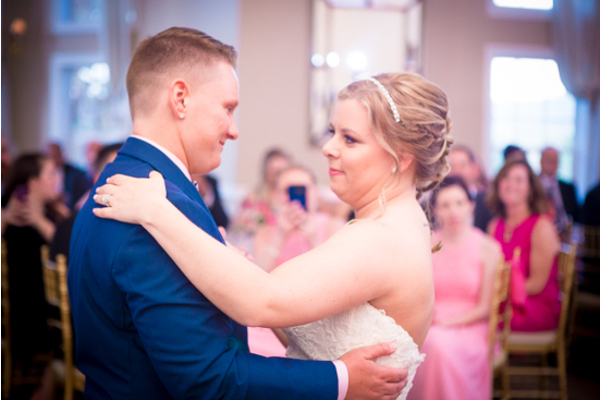 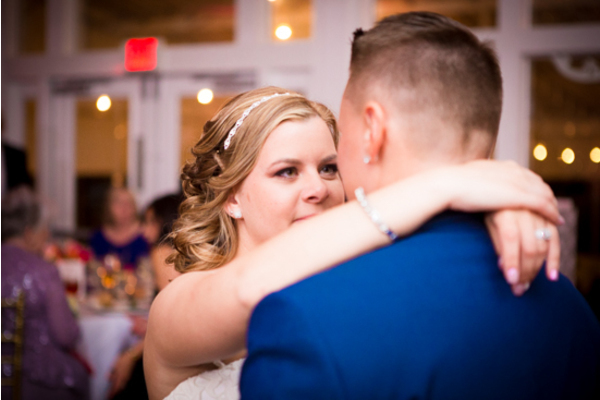 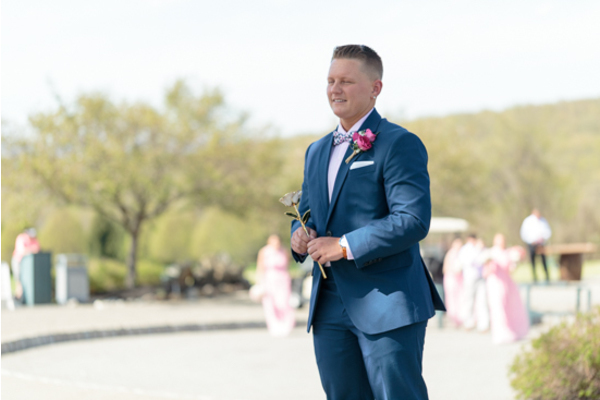 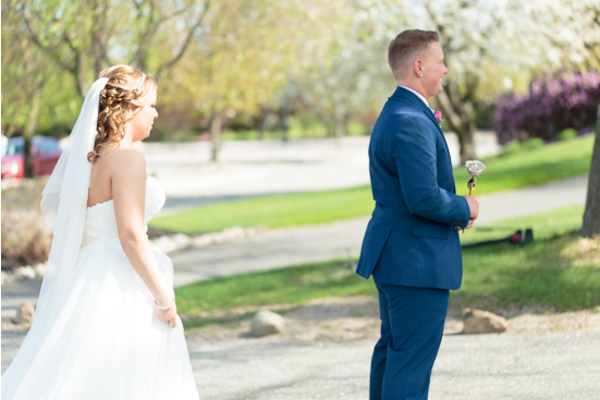 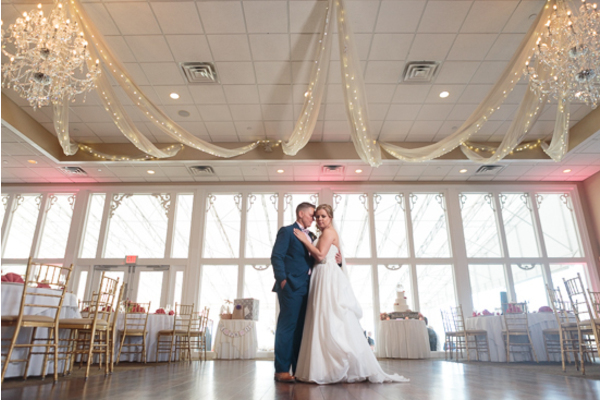 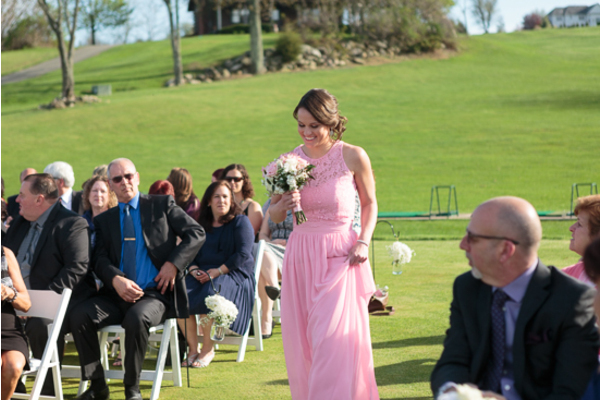 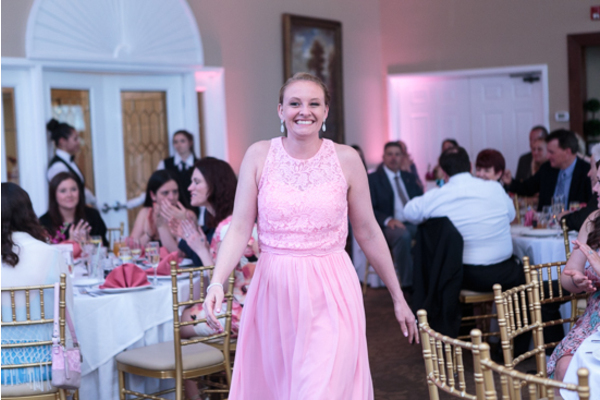 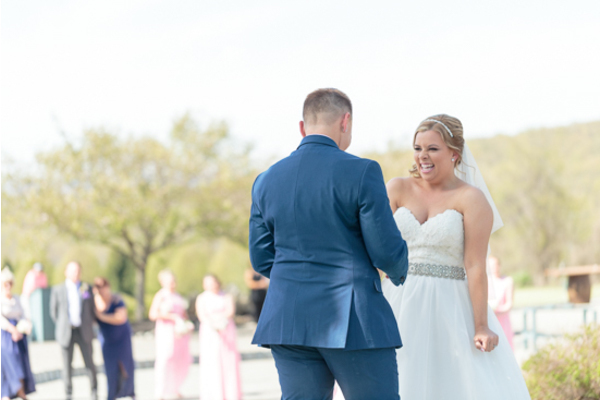 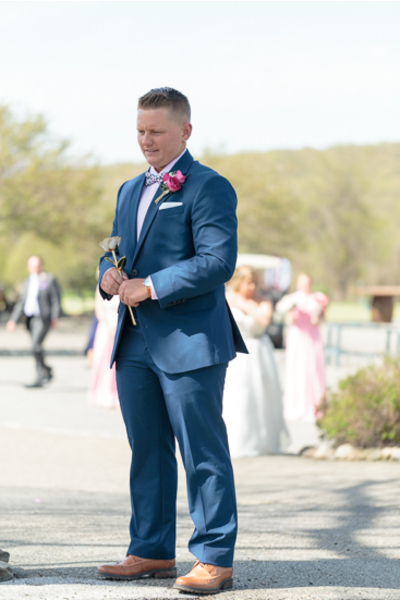 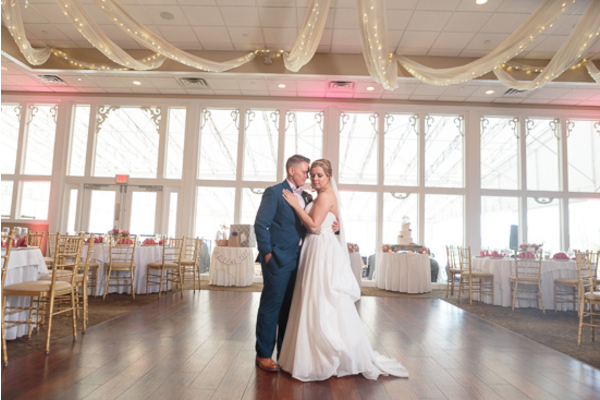 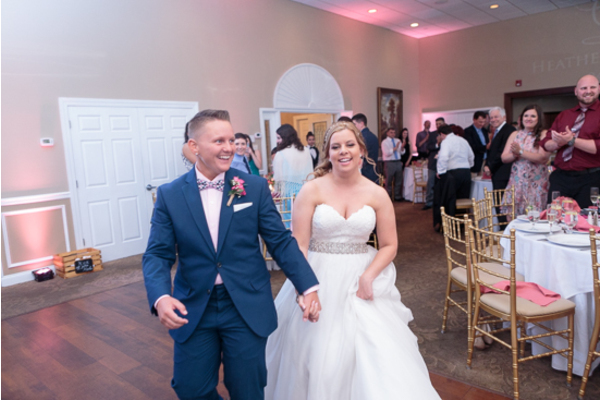 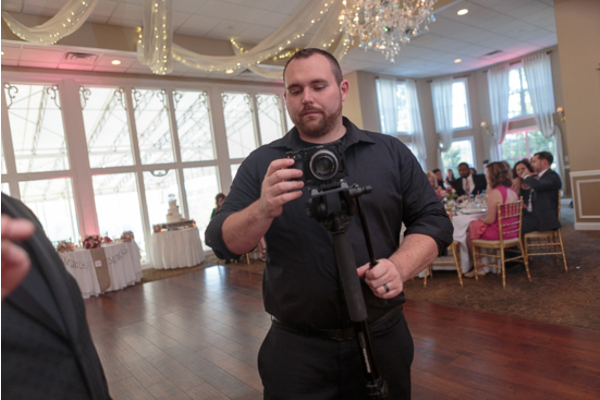 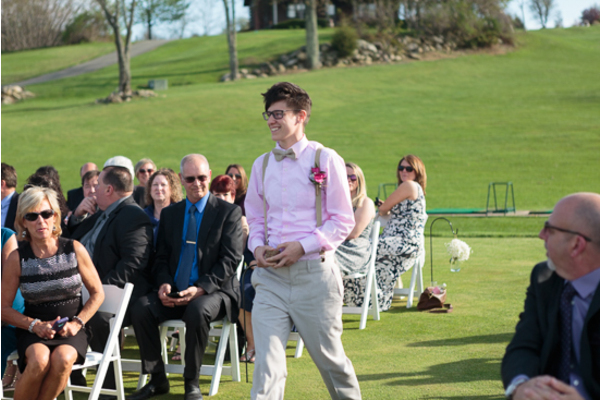 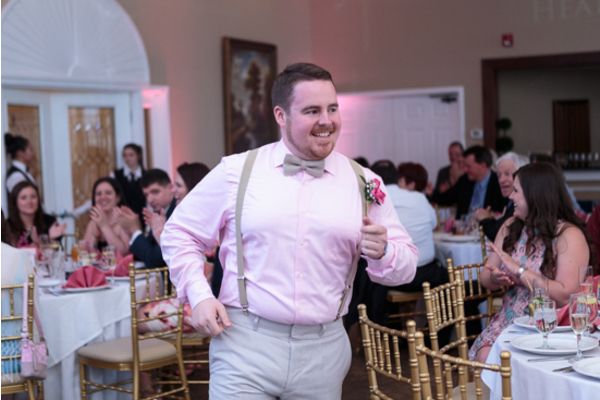 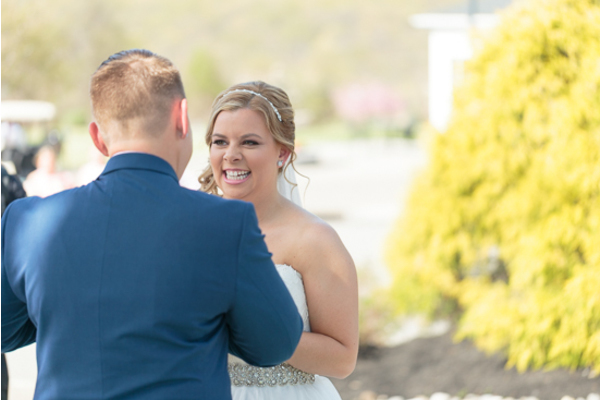 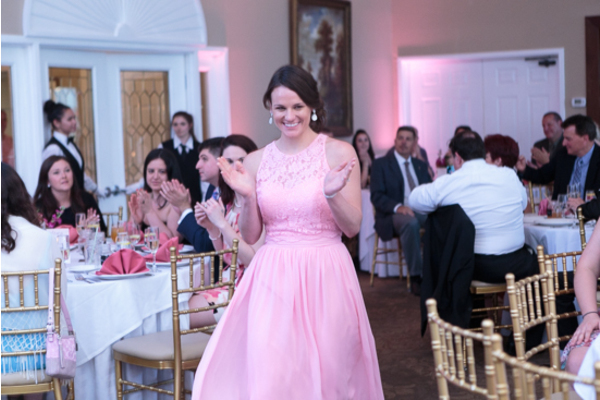 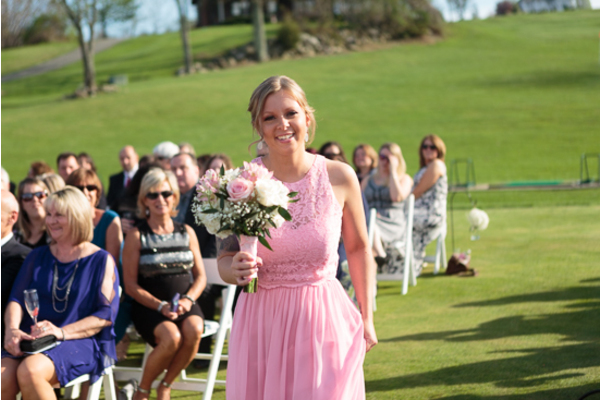 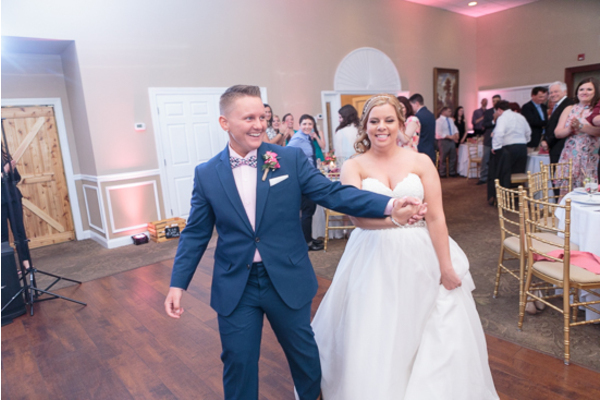 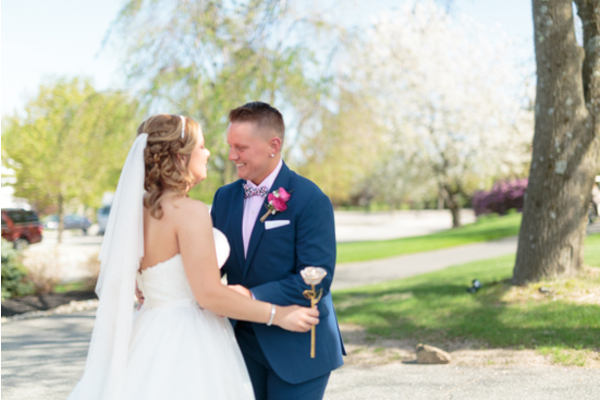 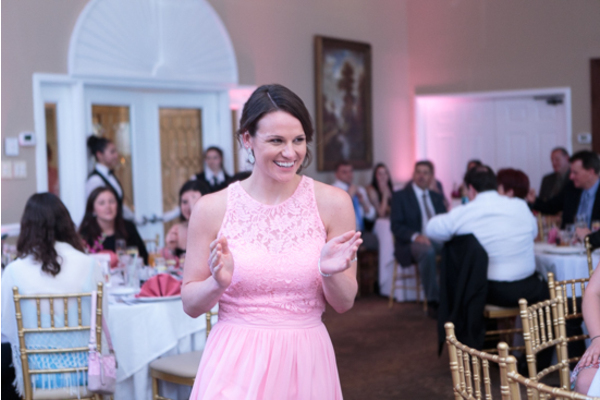 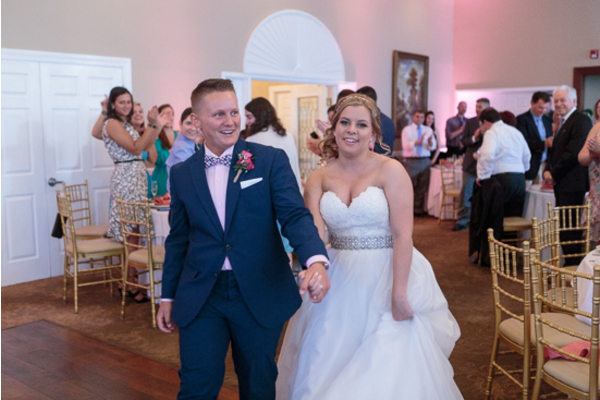 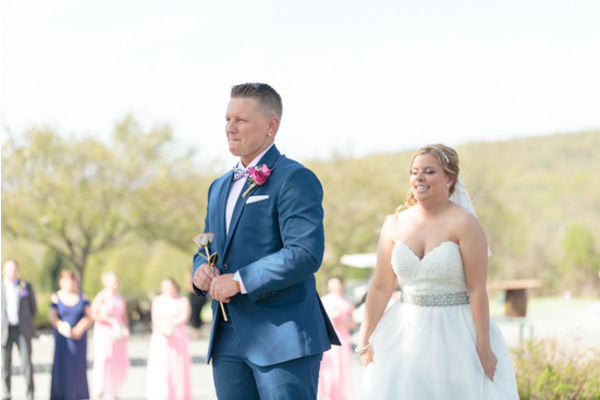 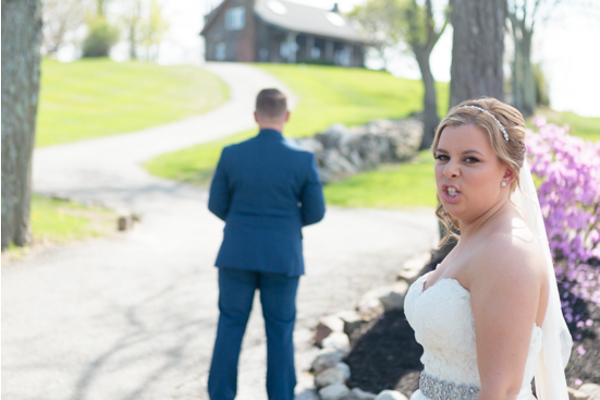 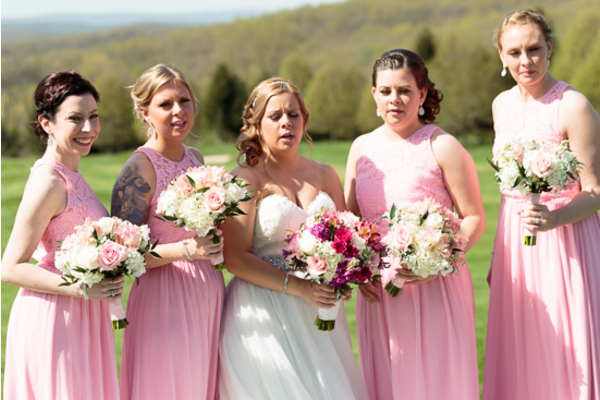 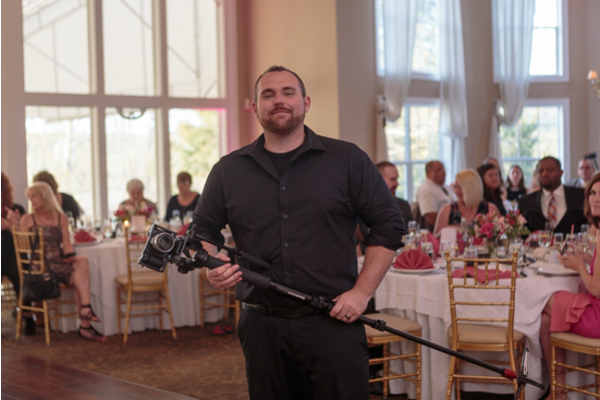 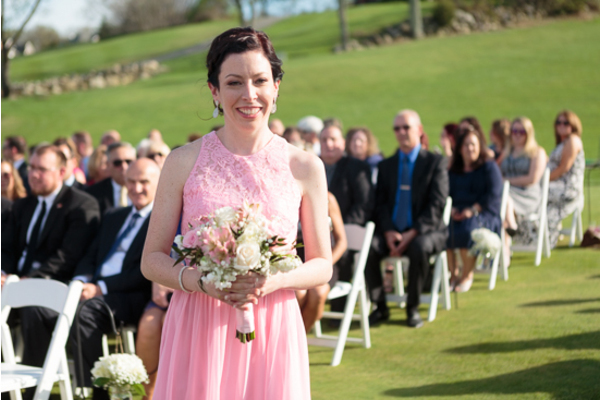 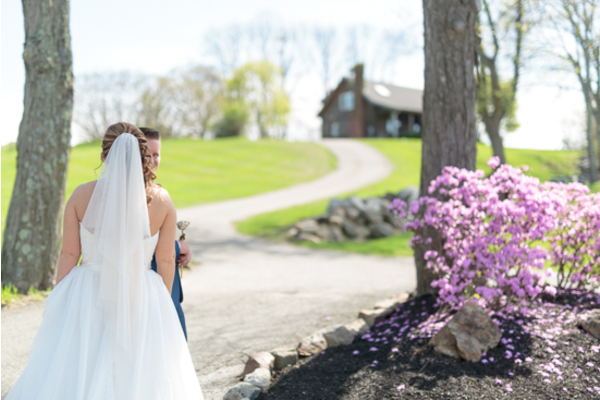 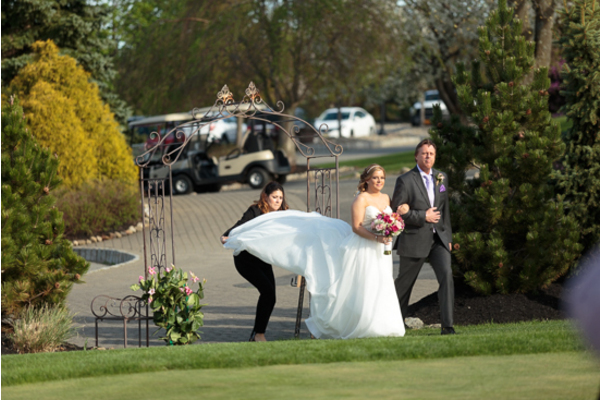 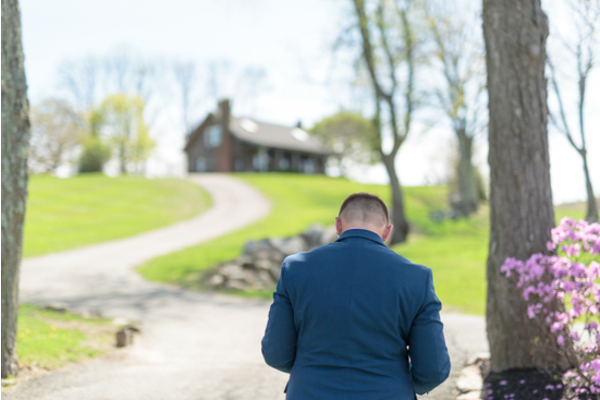 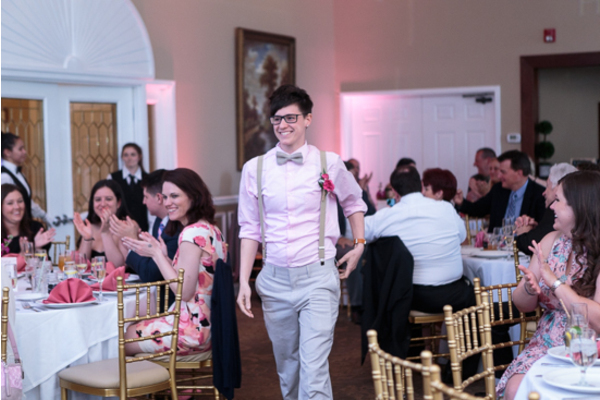 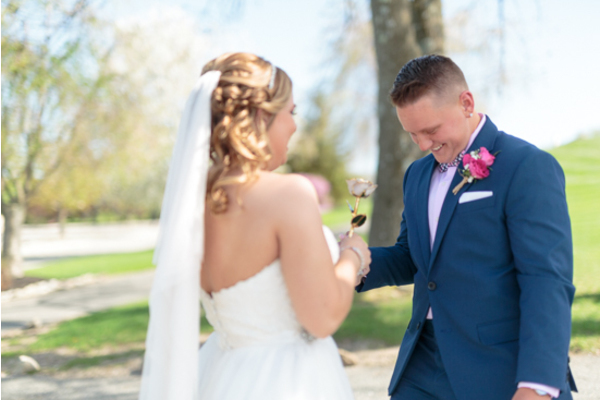 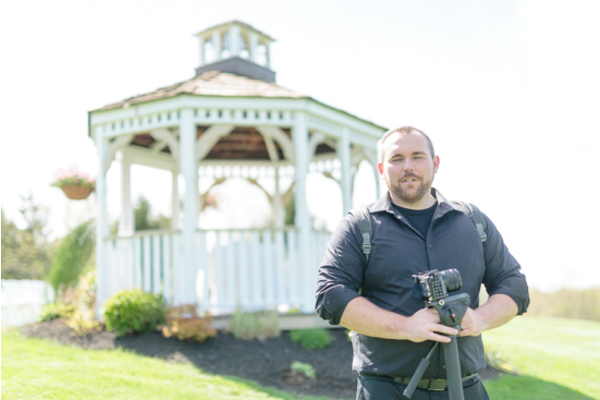 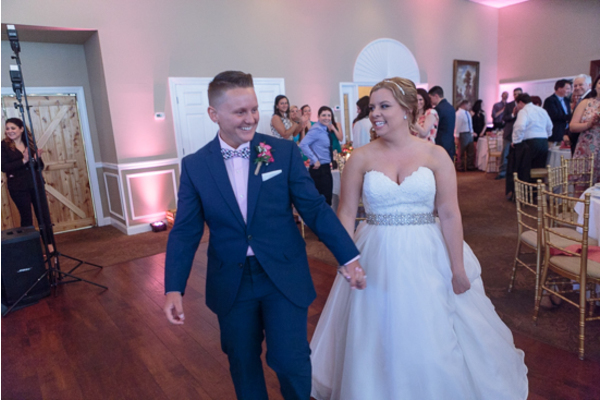 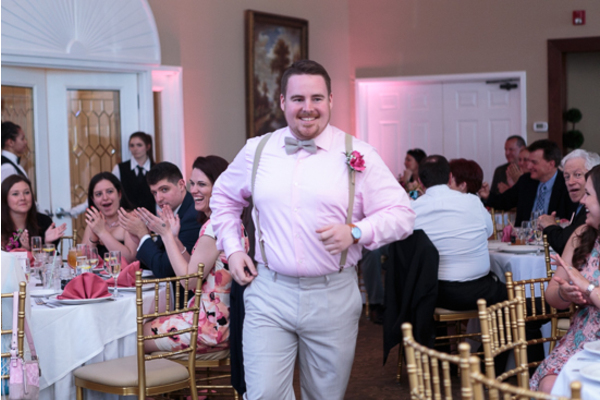 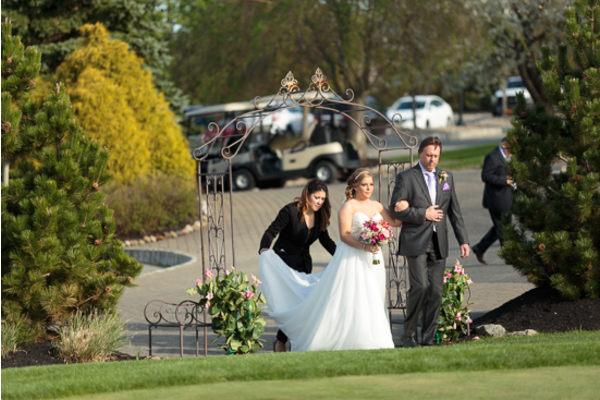 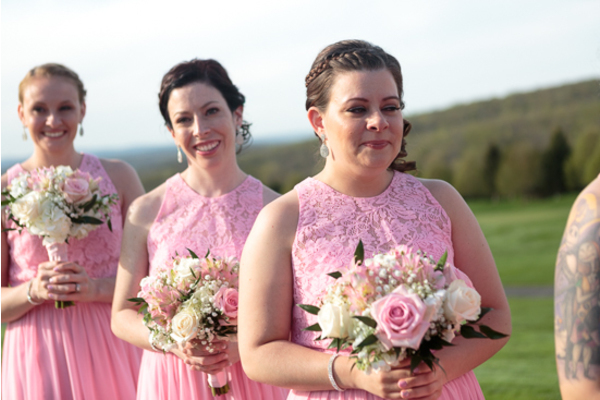 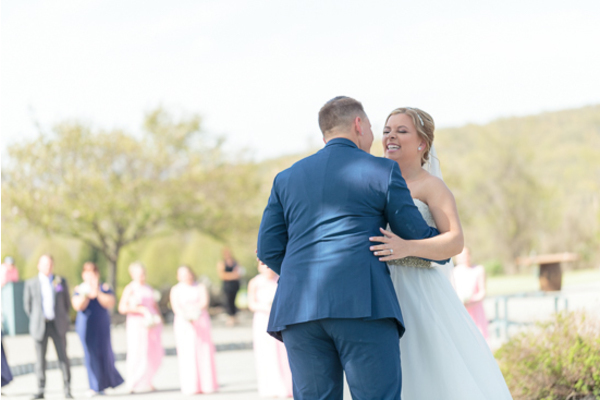 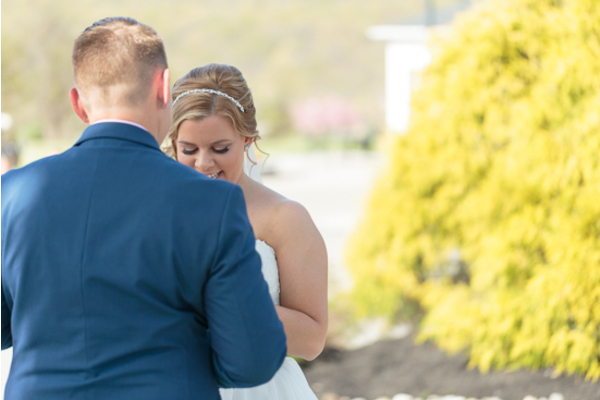 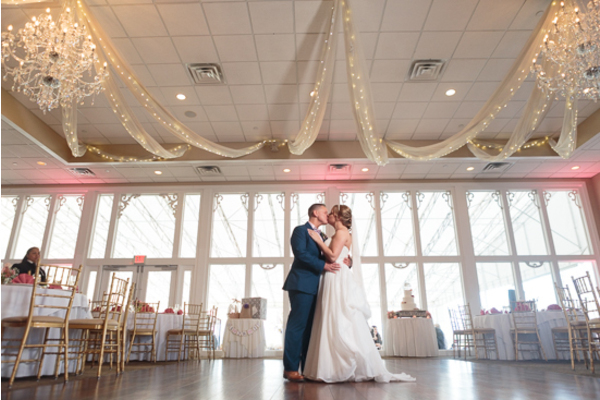 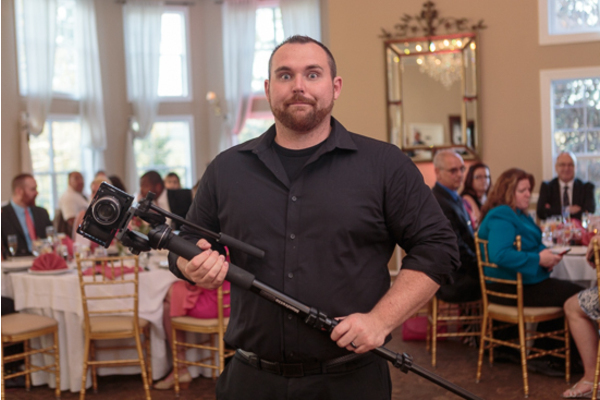 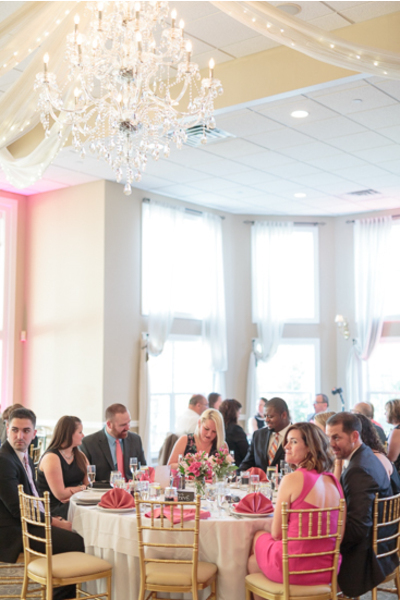 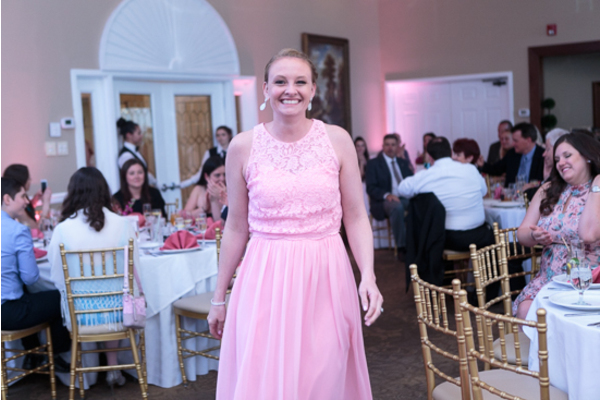 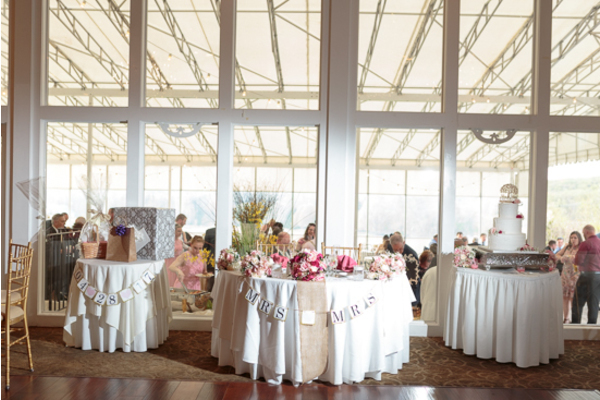 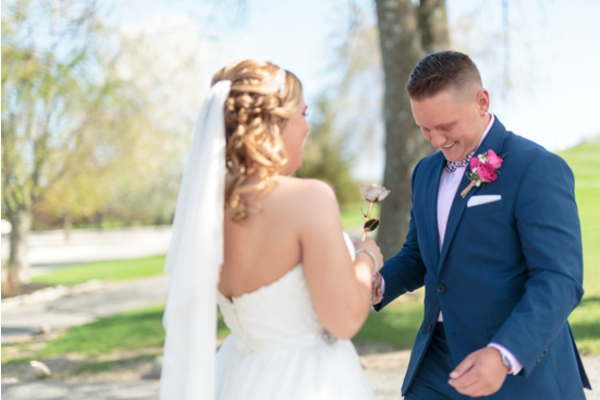 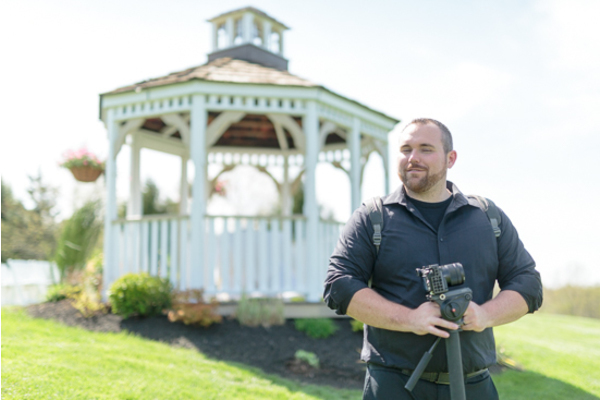 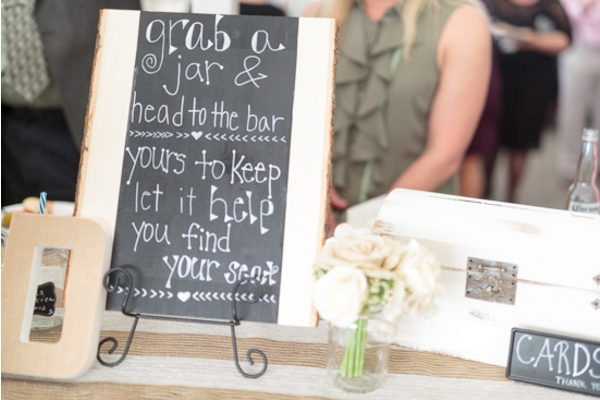 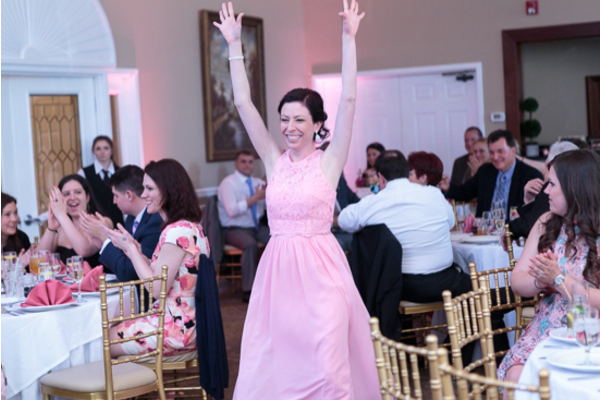 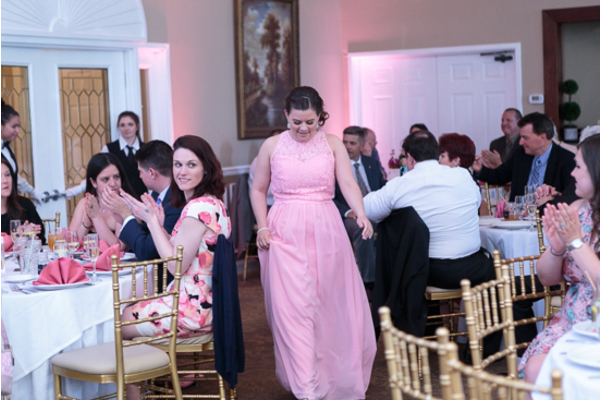 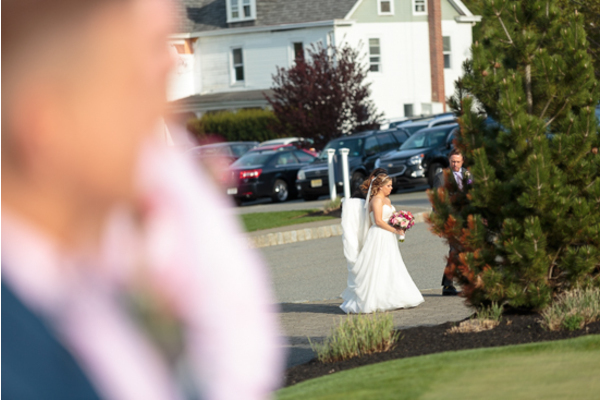 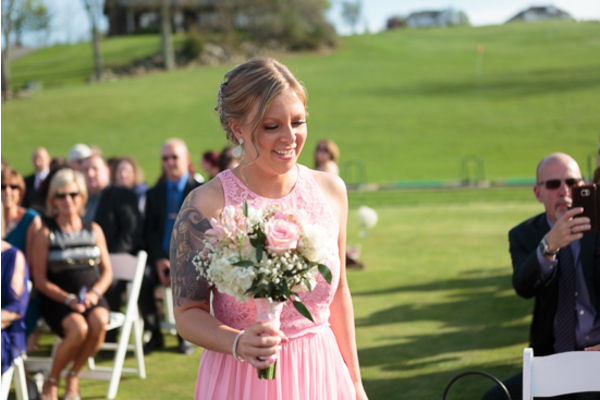 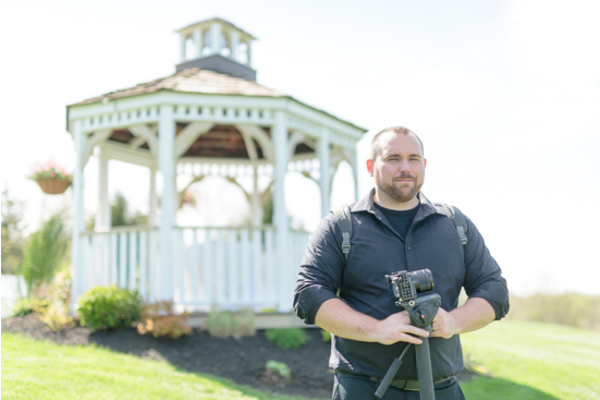 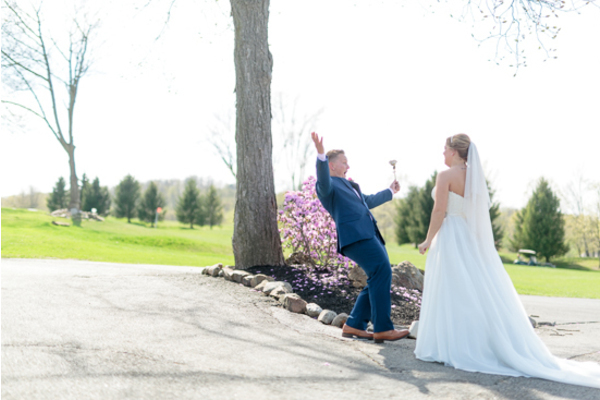 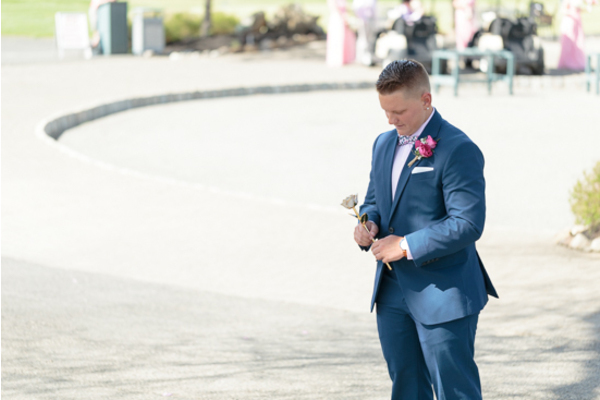 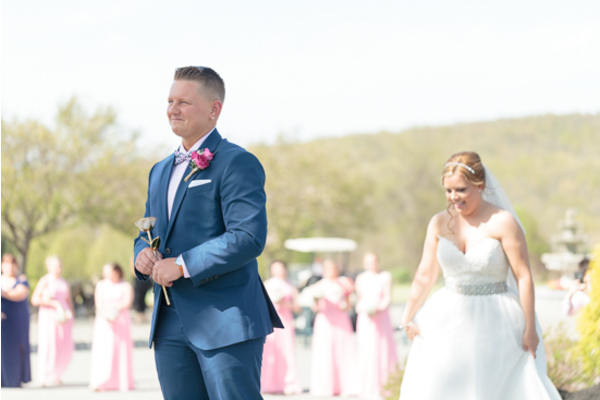 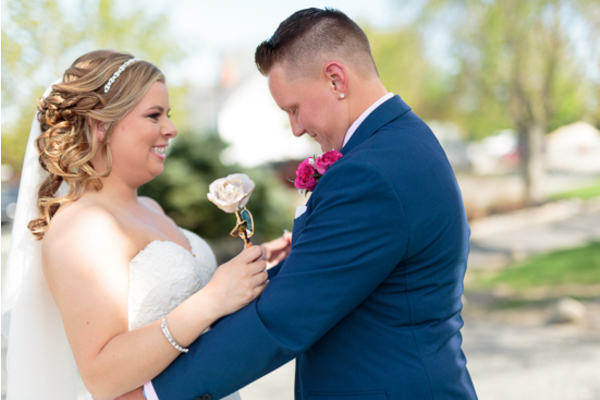 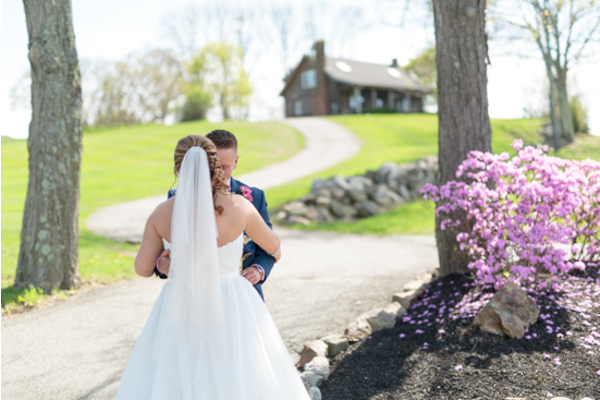 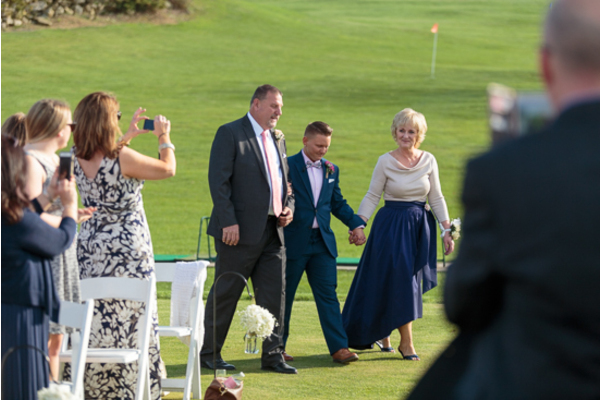 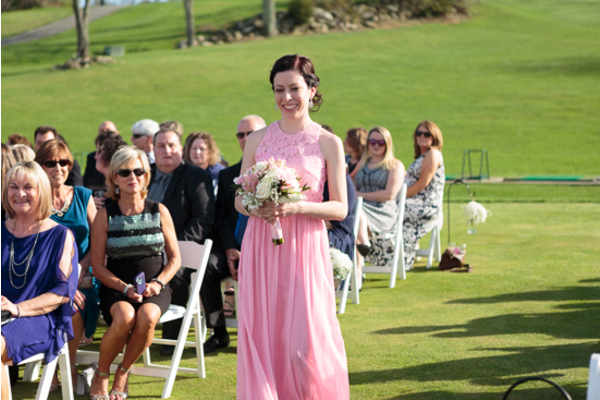 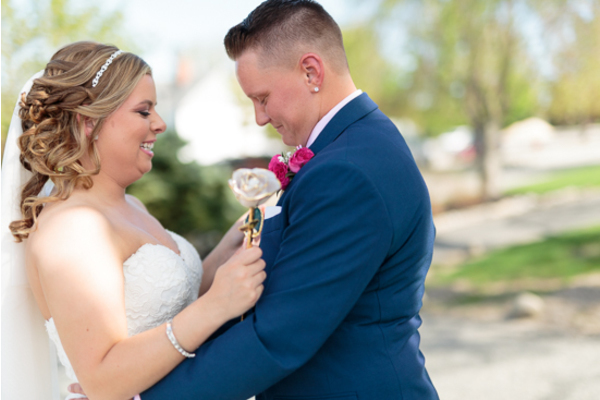 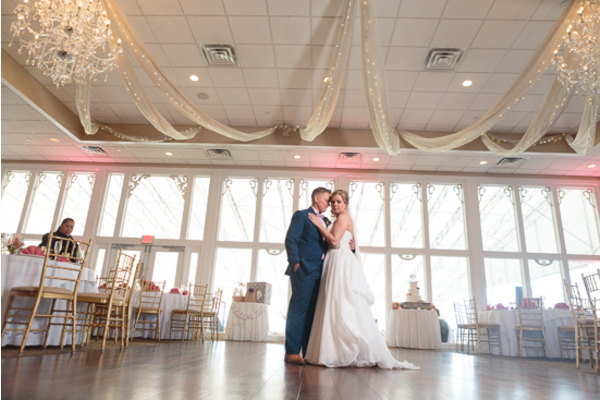 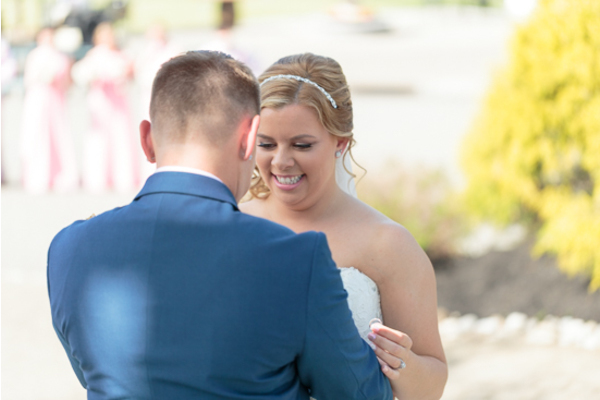 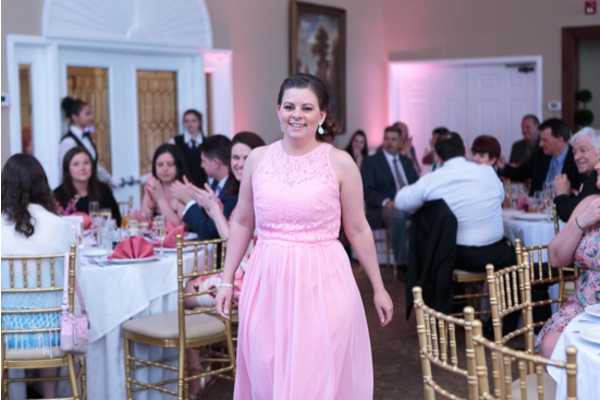 All of these moments were captured on video by our NJ Wedding Videographer. 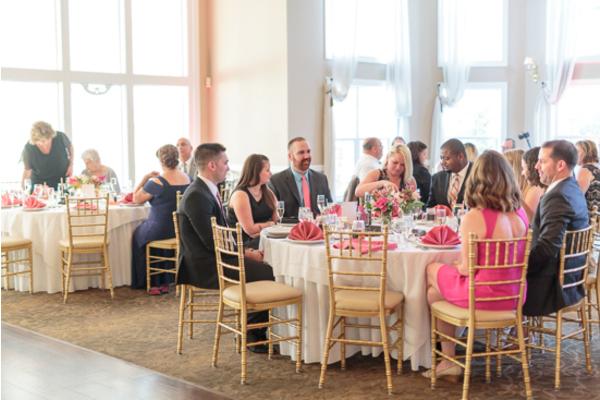 It was truly a memorable evening for everyone who attended! 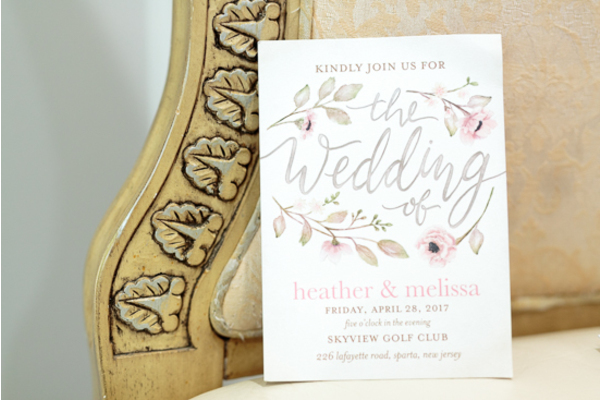 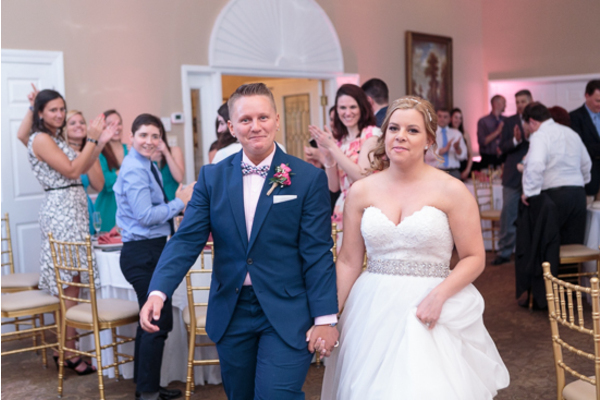 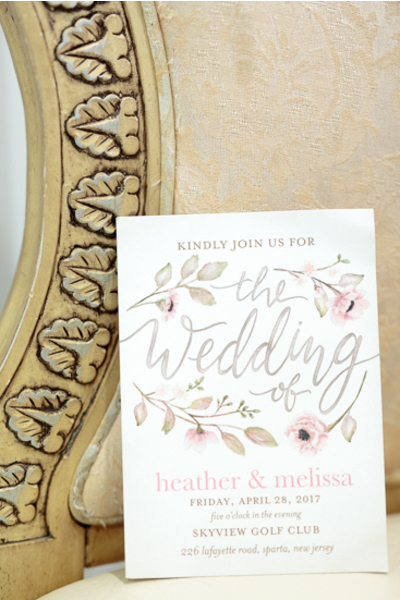 Congratulations, again to Heather and Melissa! 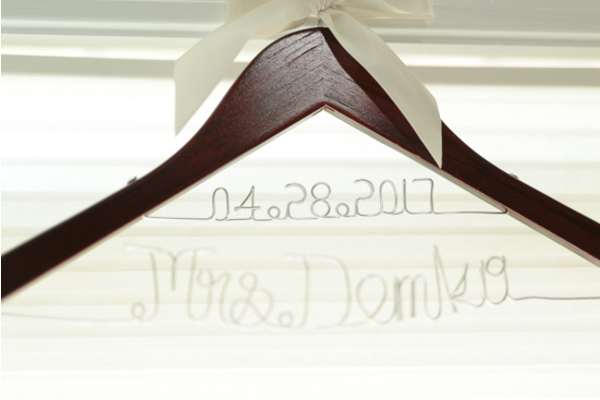 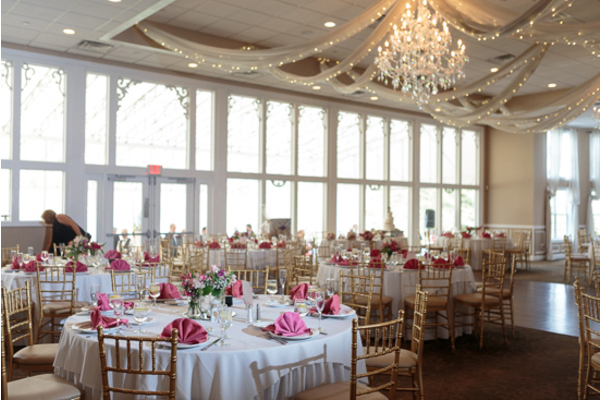 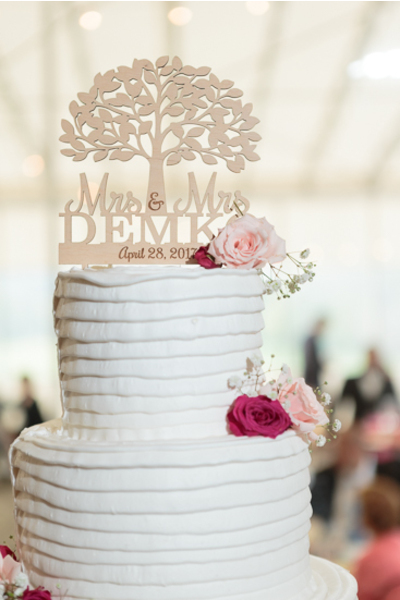 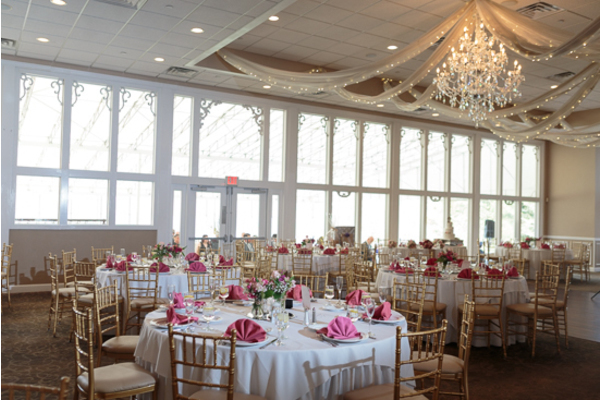 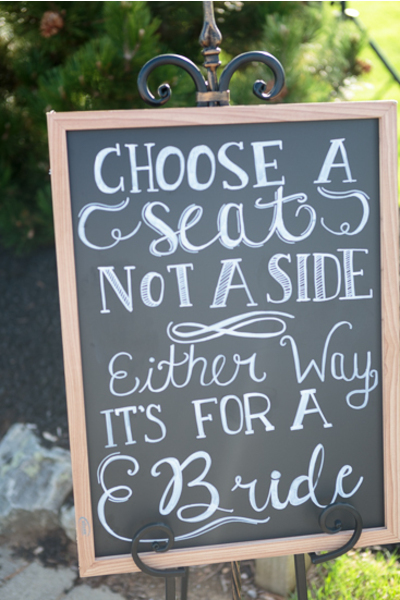 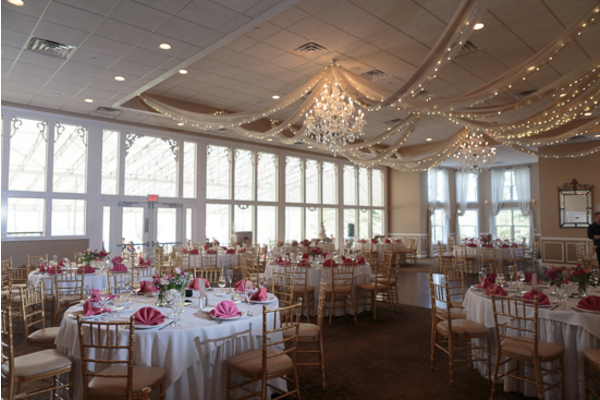 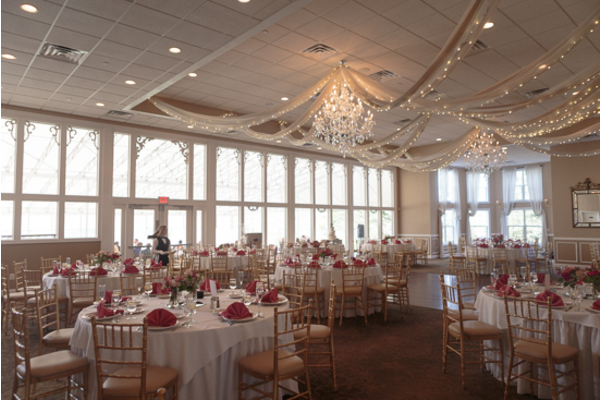 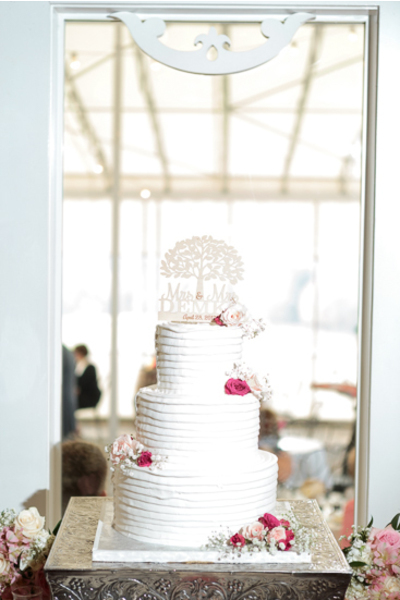 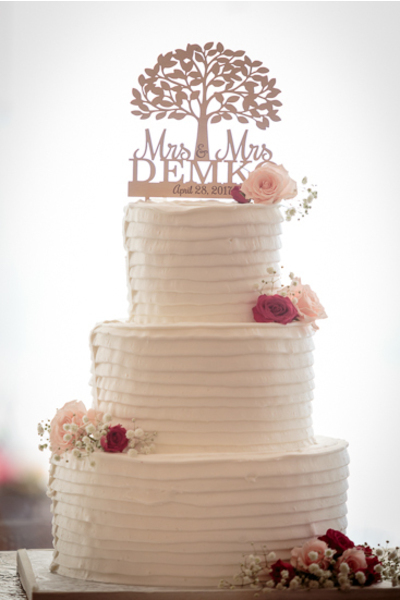 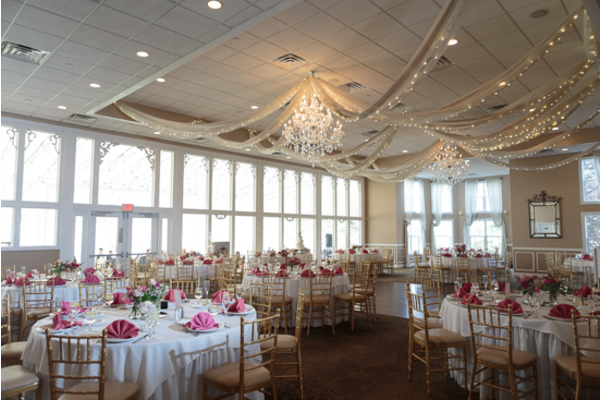 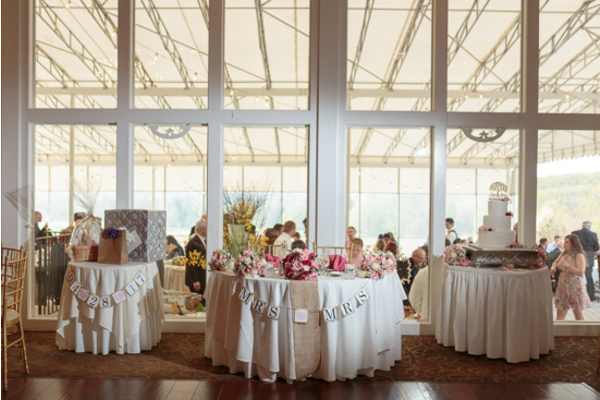 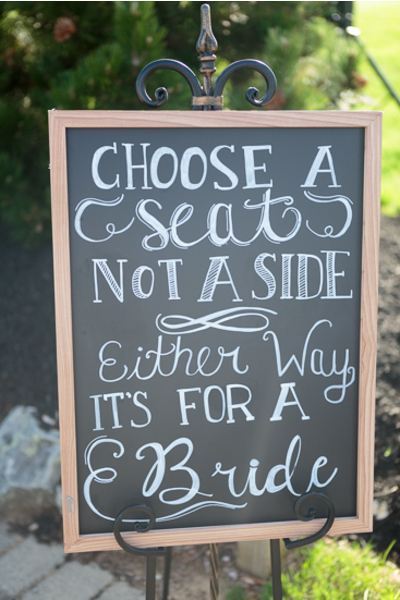 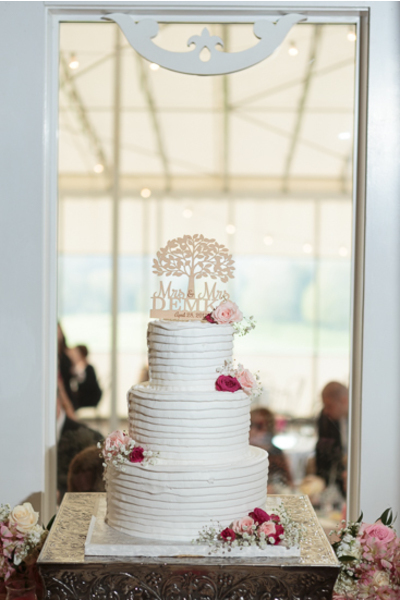 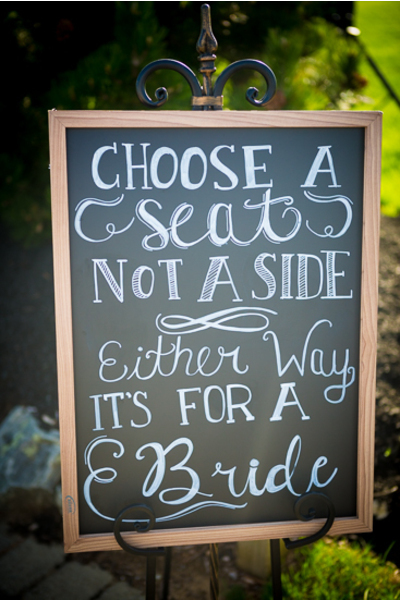 We are happy to be part of your special day!